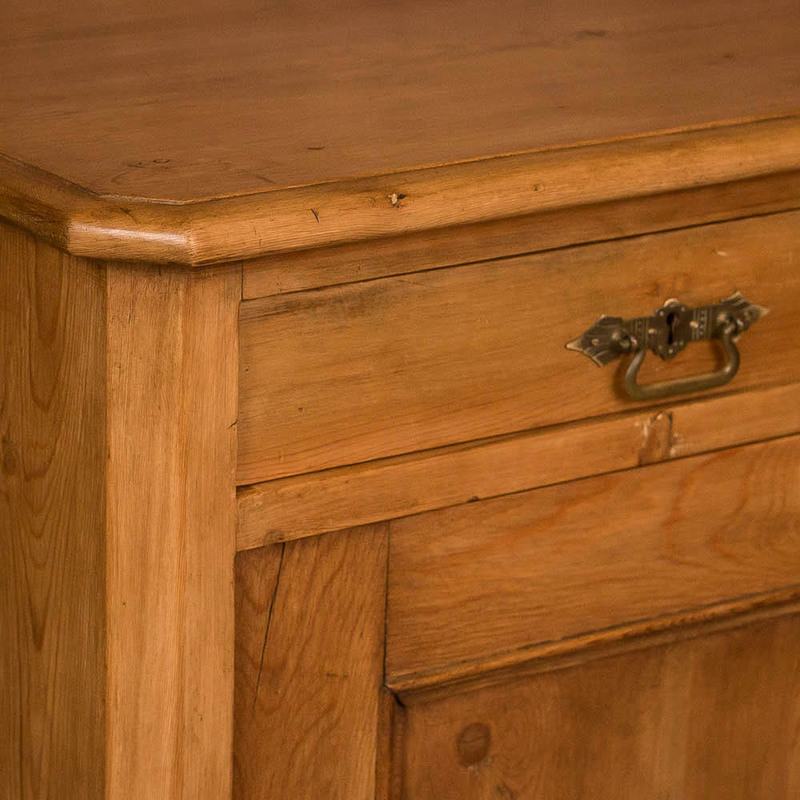 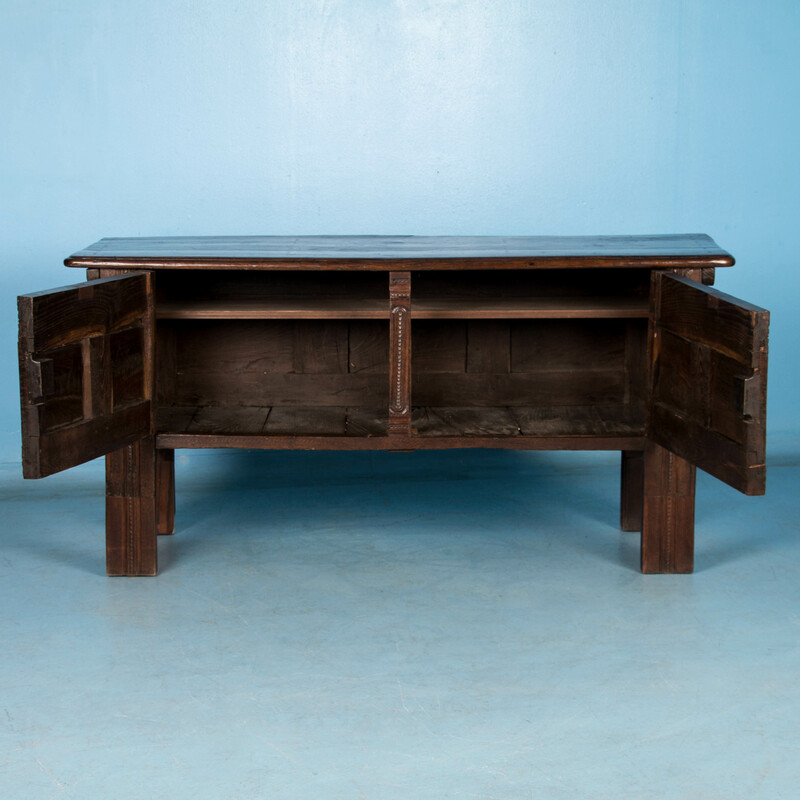 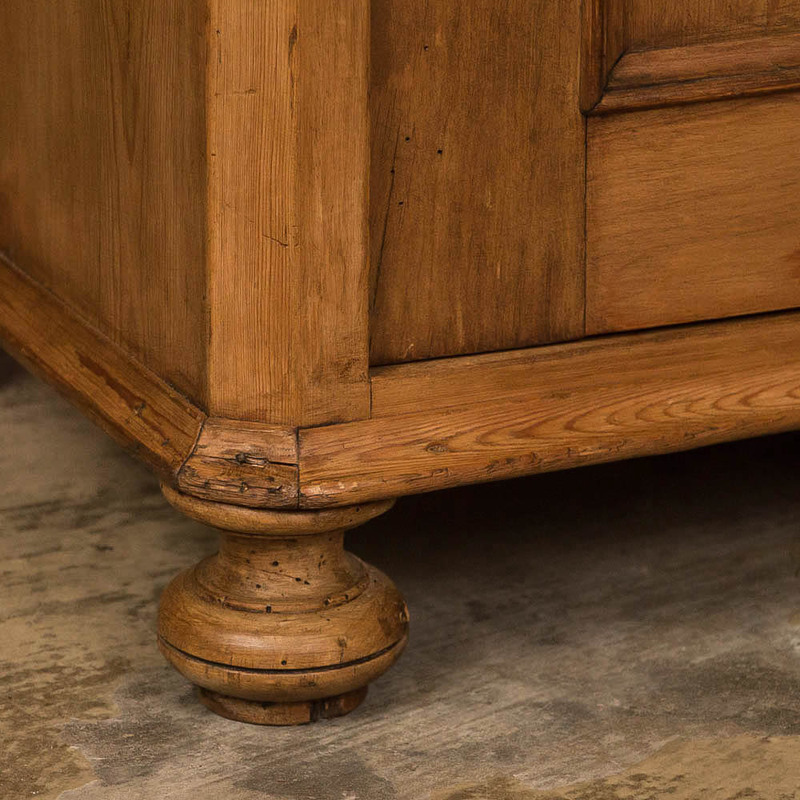 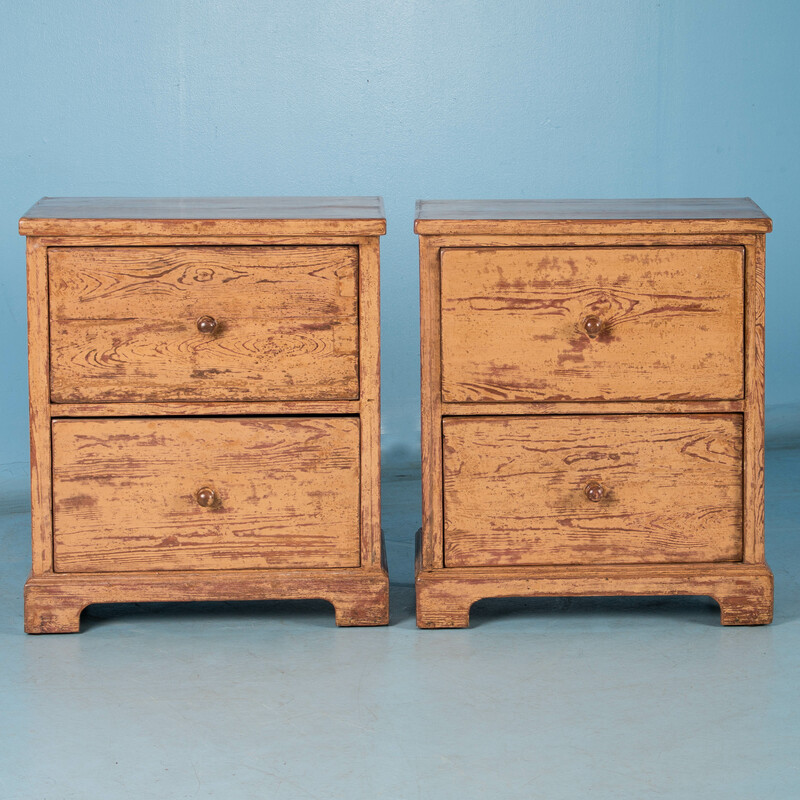 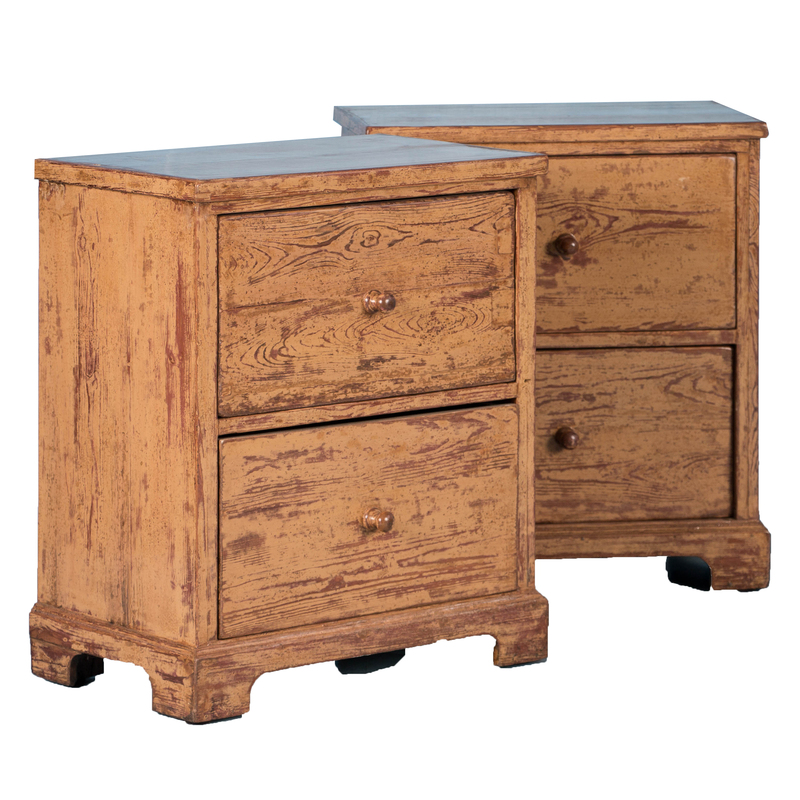 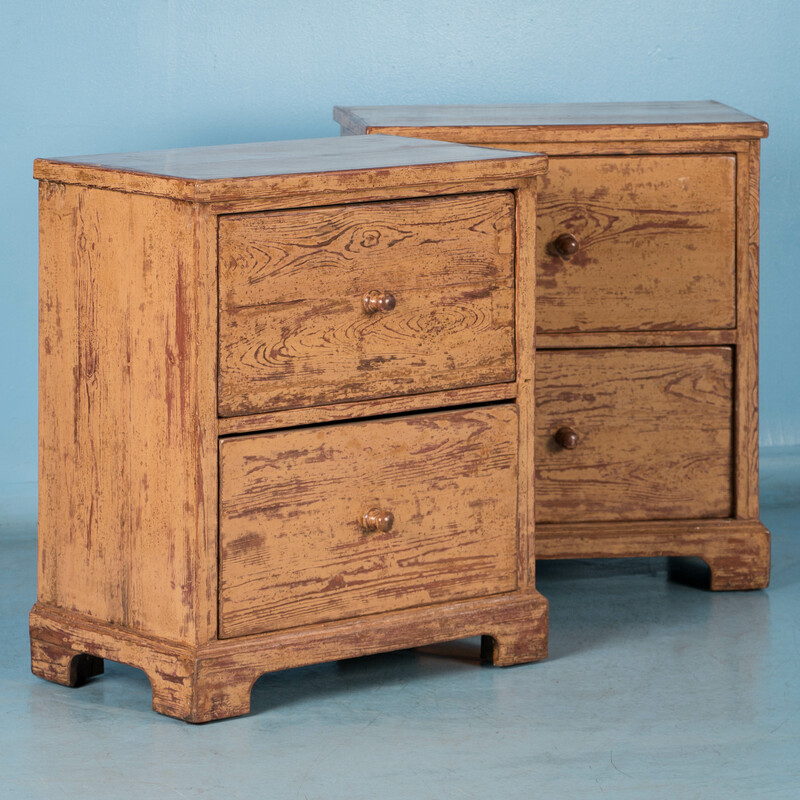 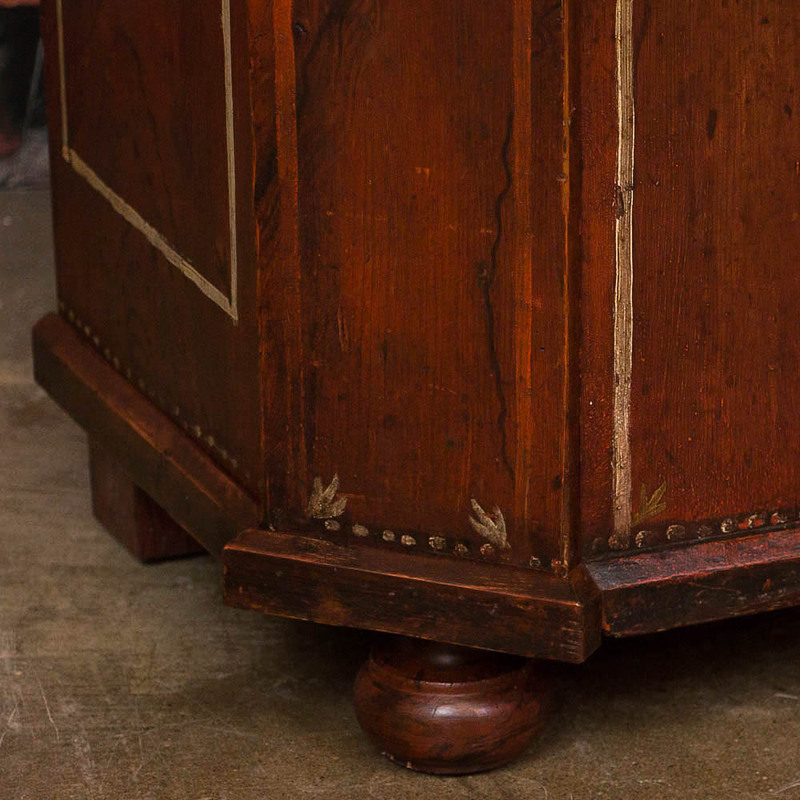 Two drawer , two door sideboard with turned columns and original brass hardware from Denmark. 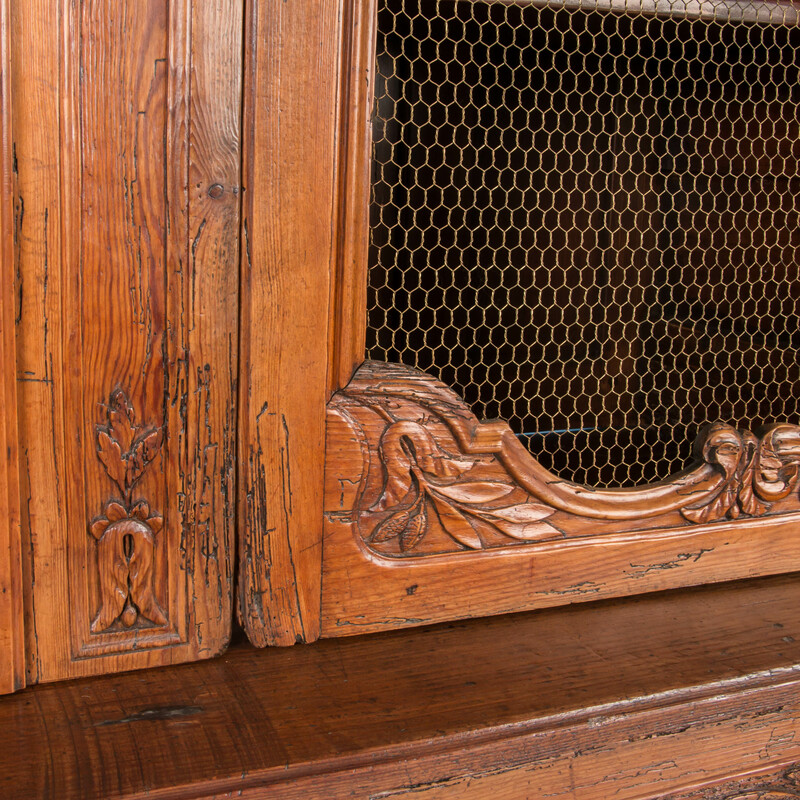 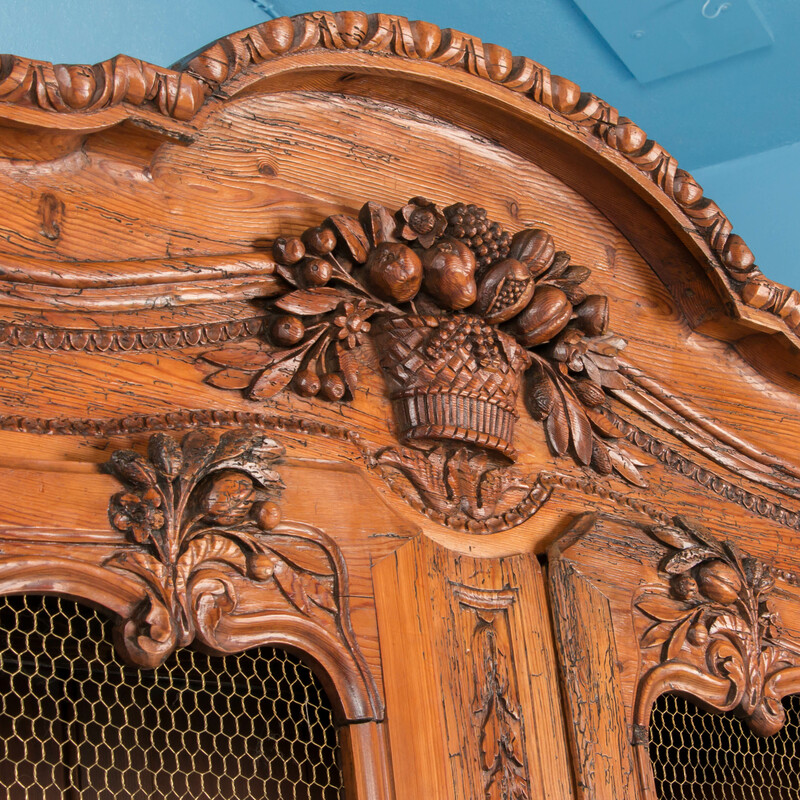 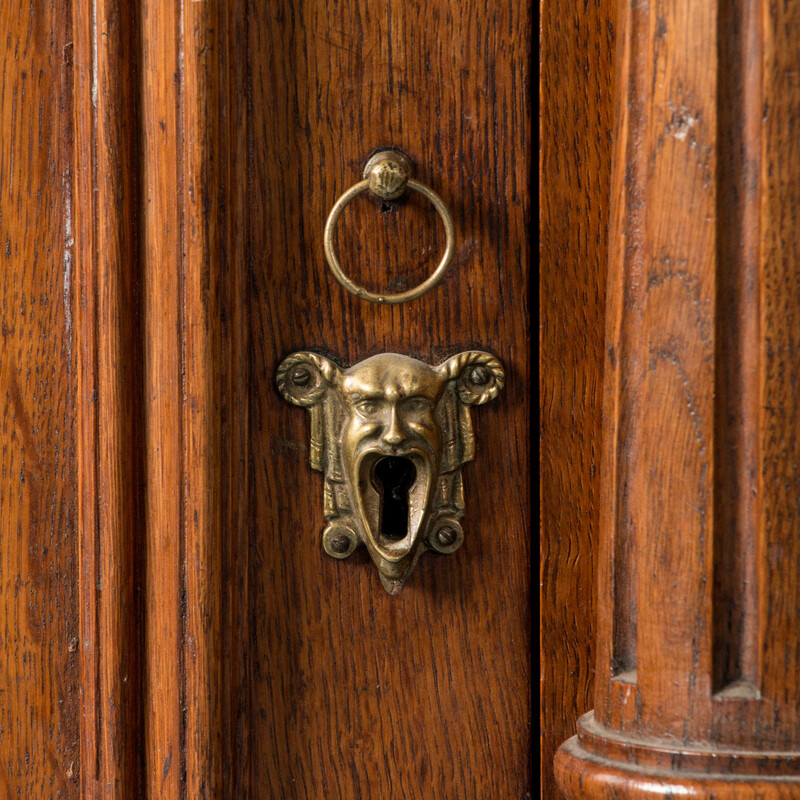 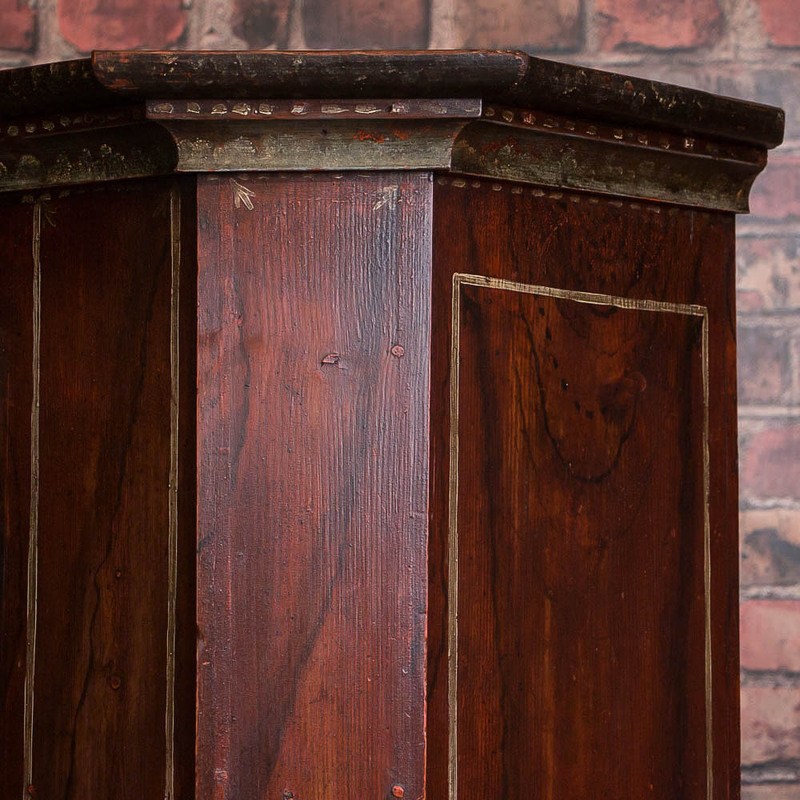 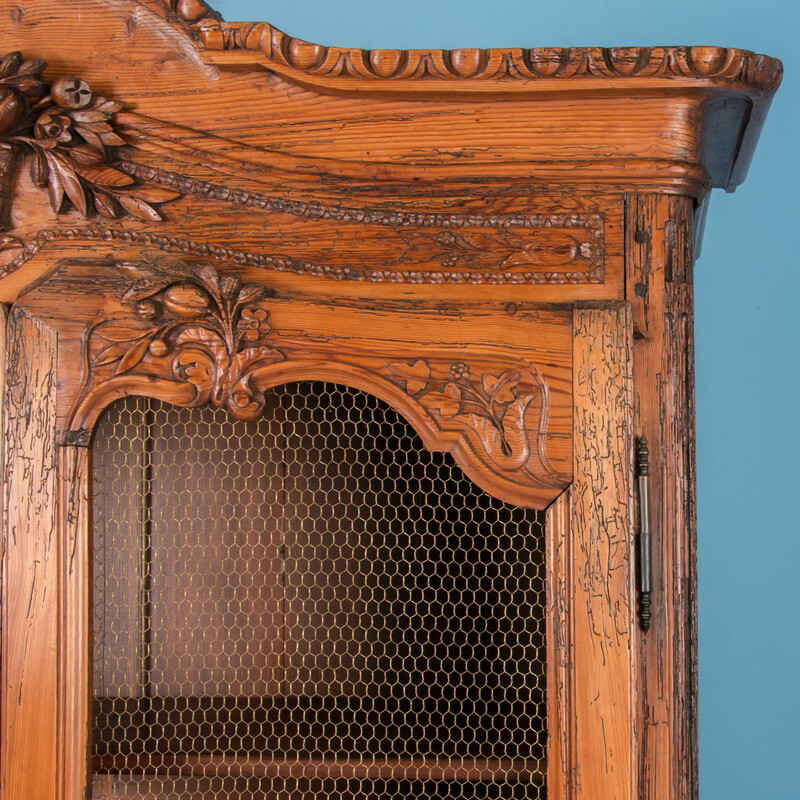 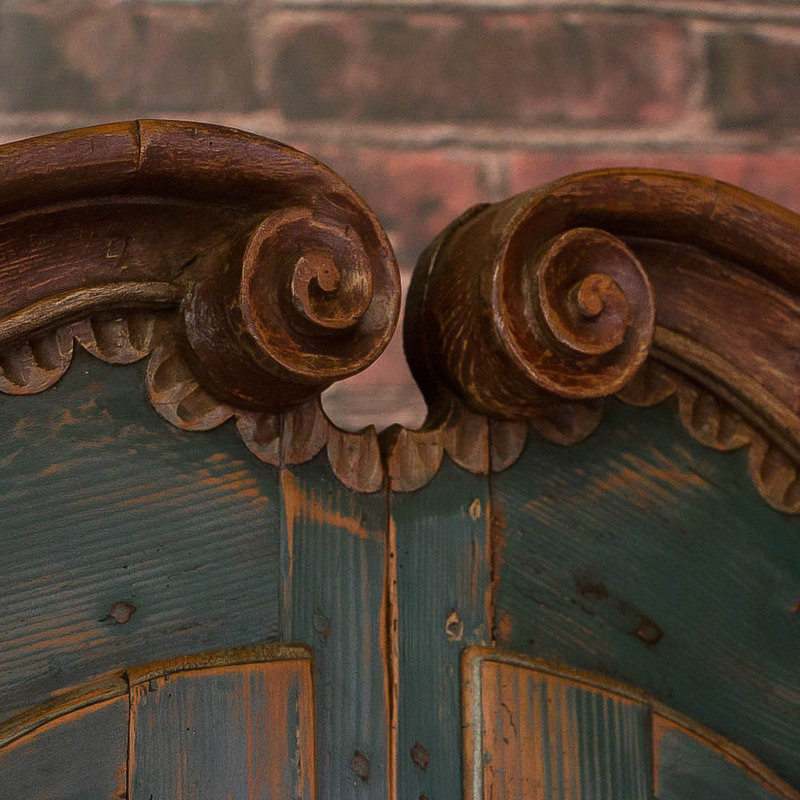 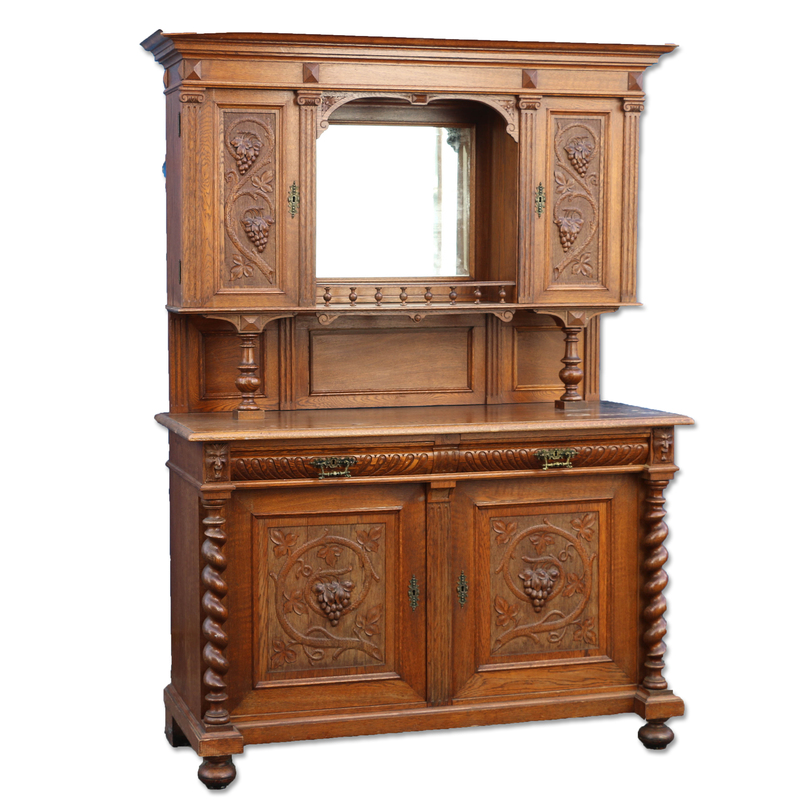 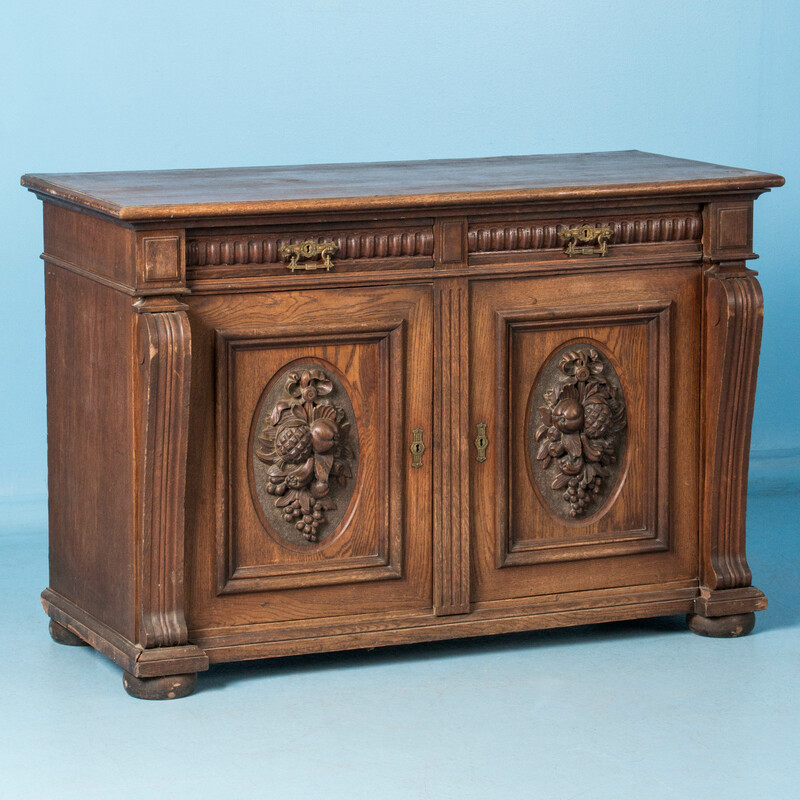 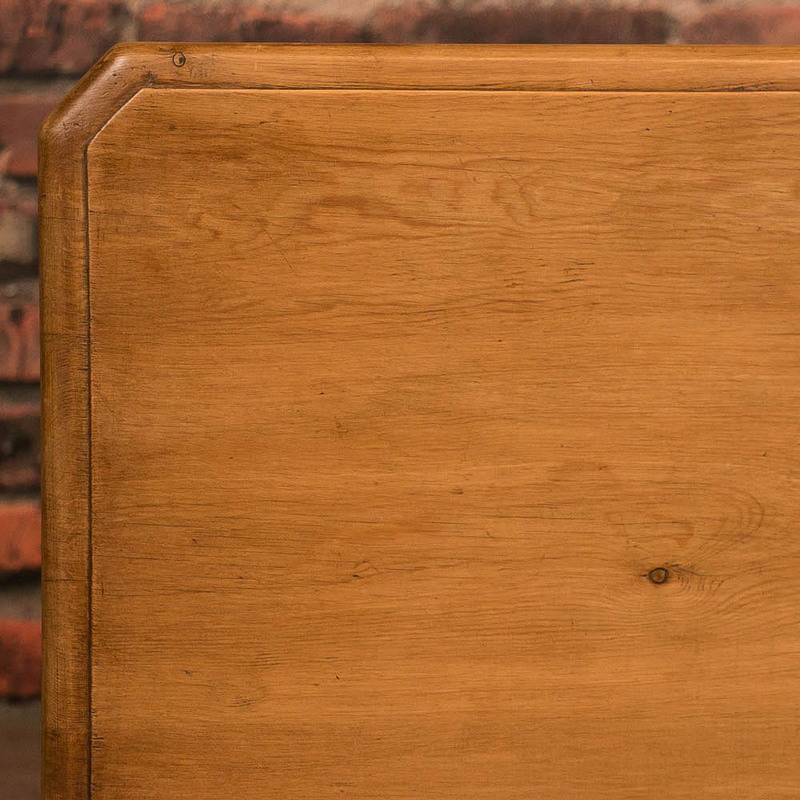 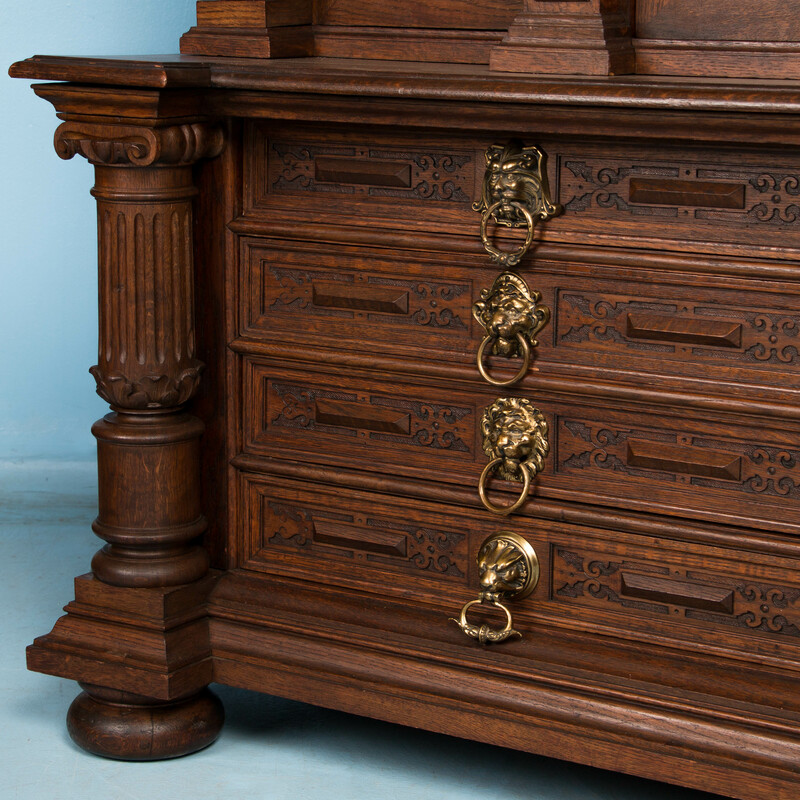 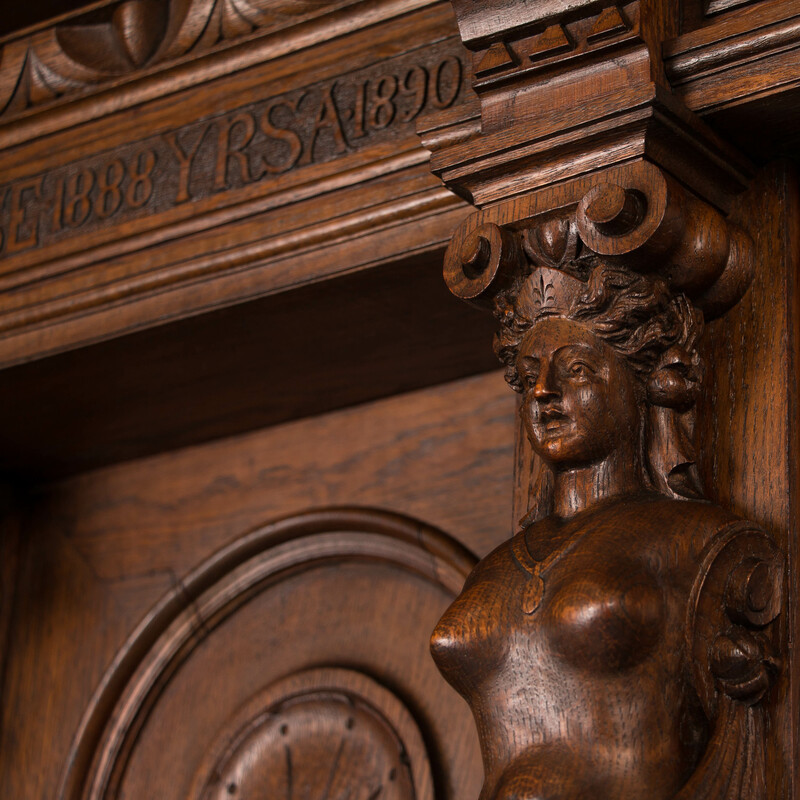 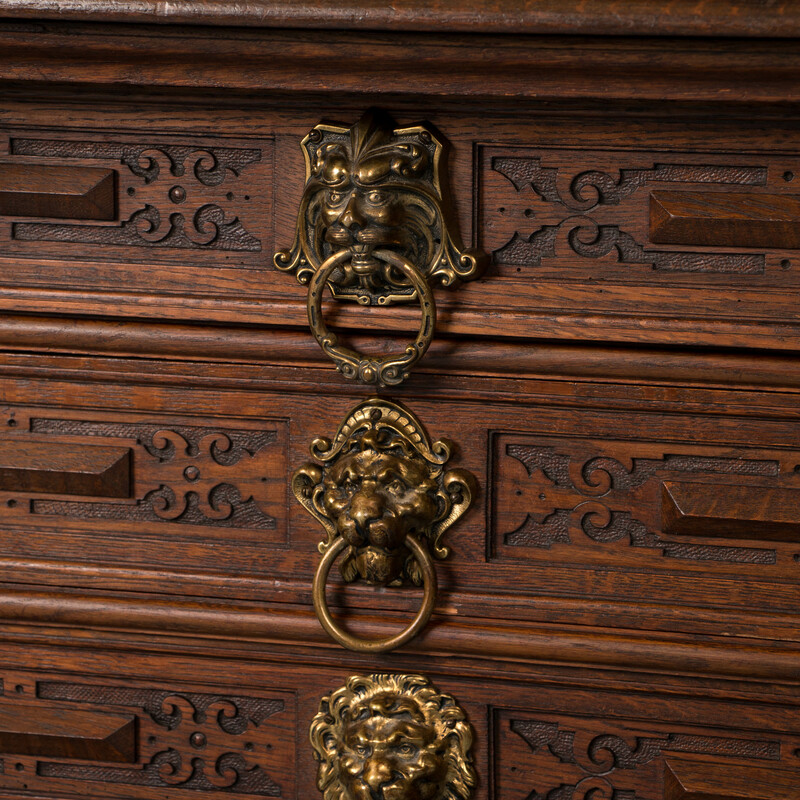 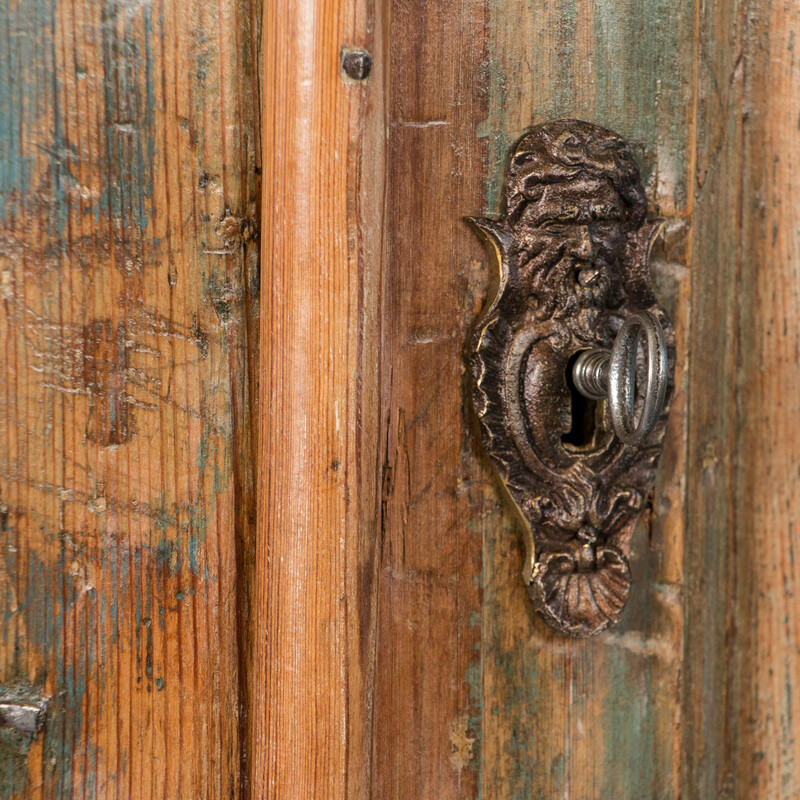 Renaissance Revival oak cabinet with original brass hardware and hand carved oval panels. 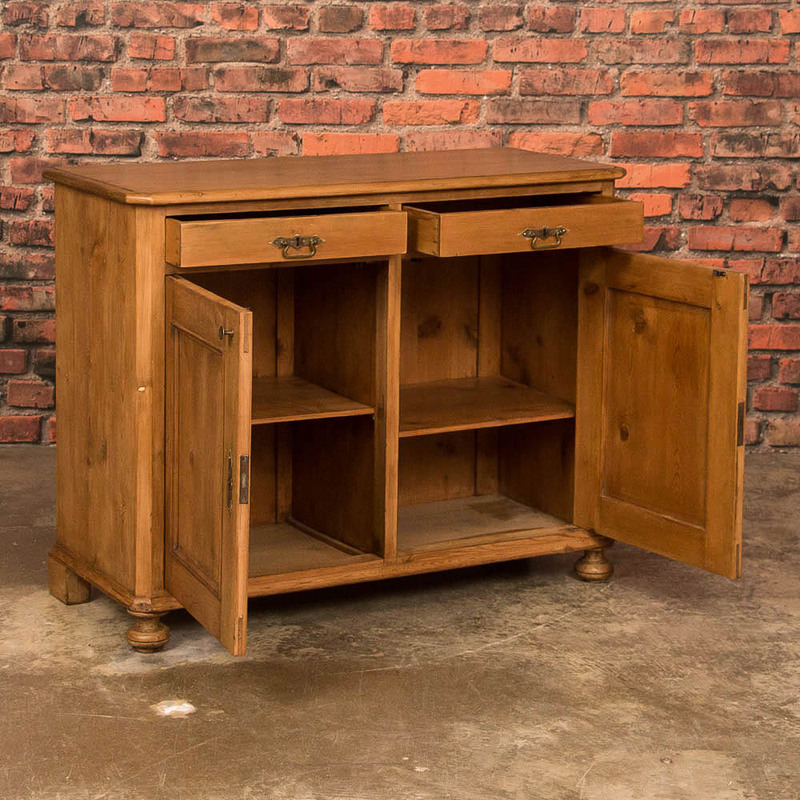 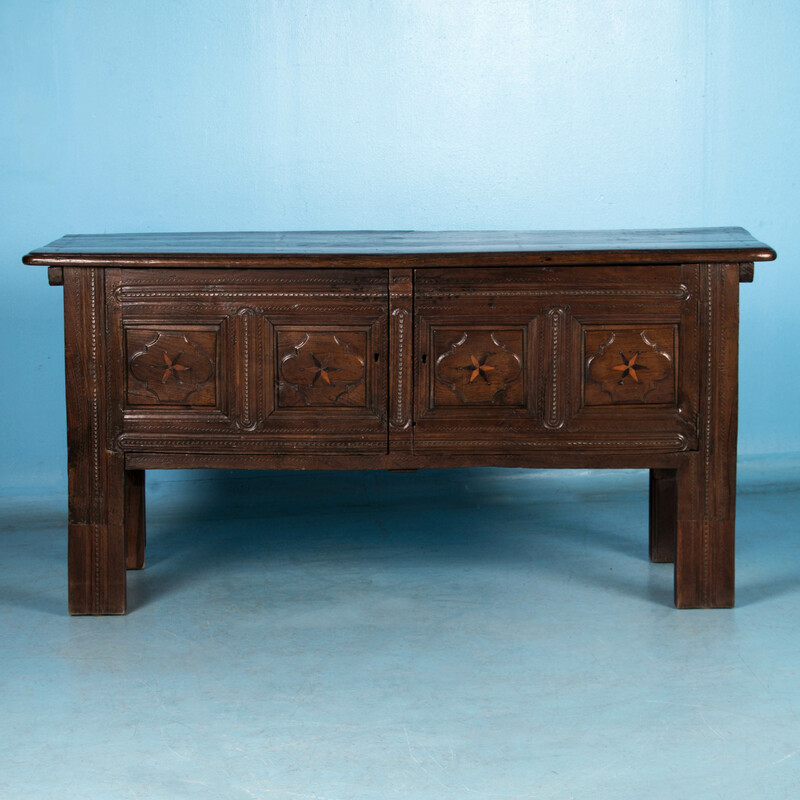 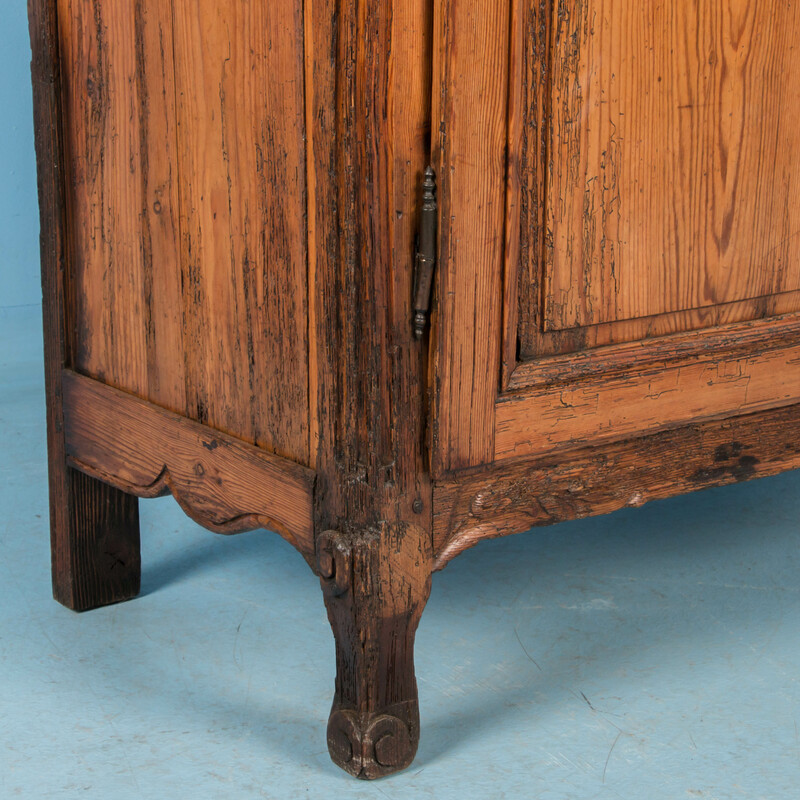 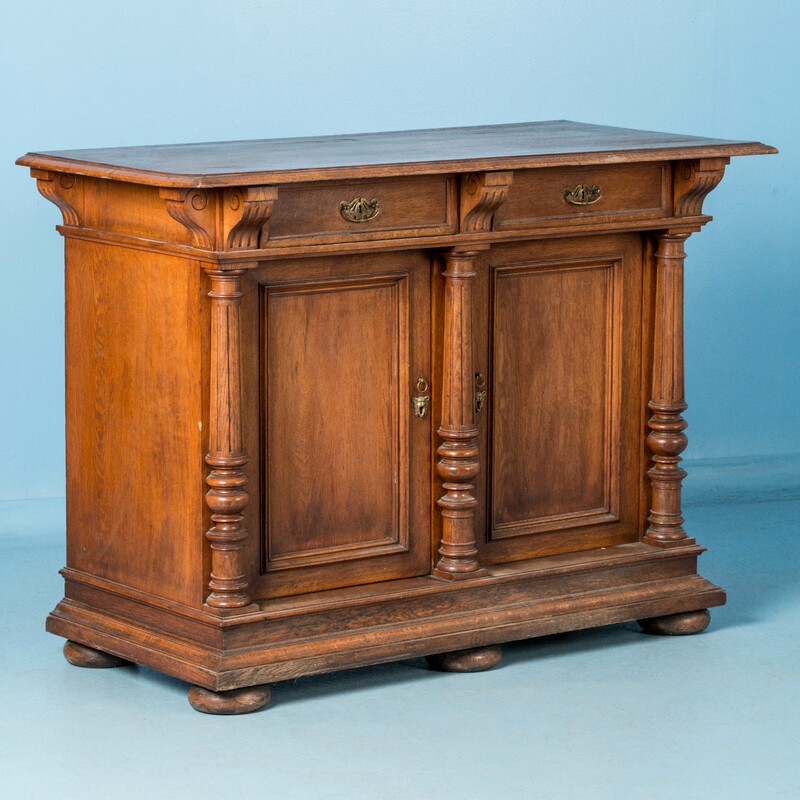 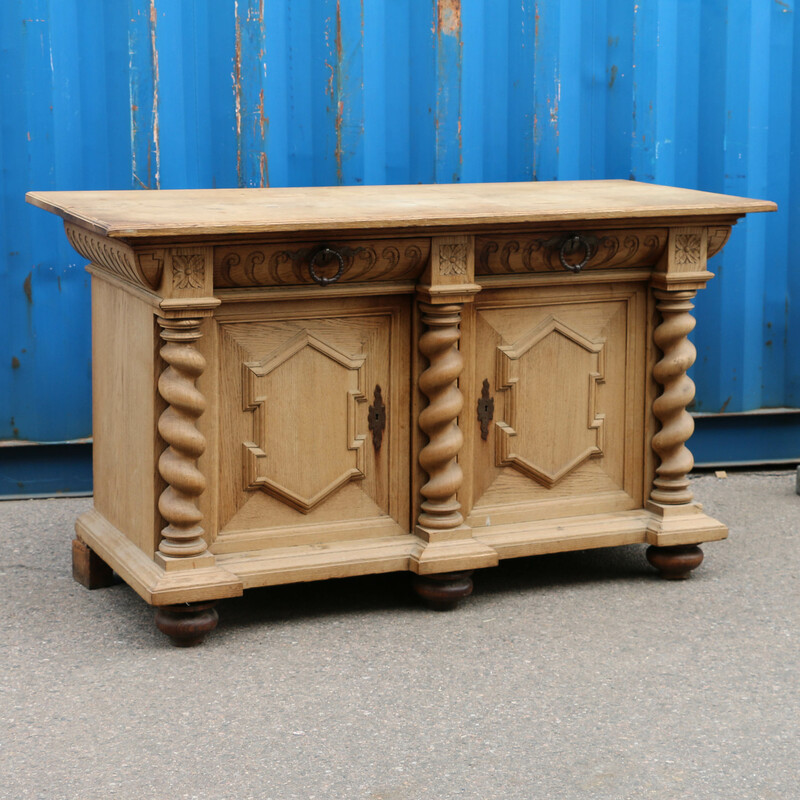 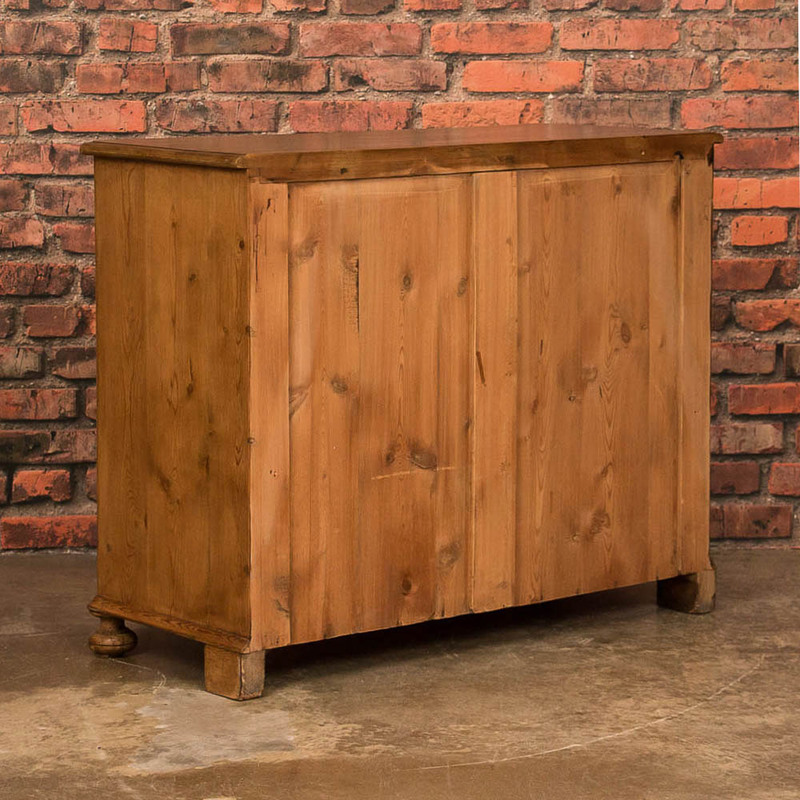 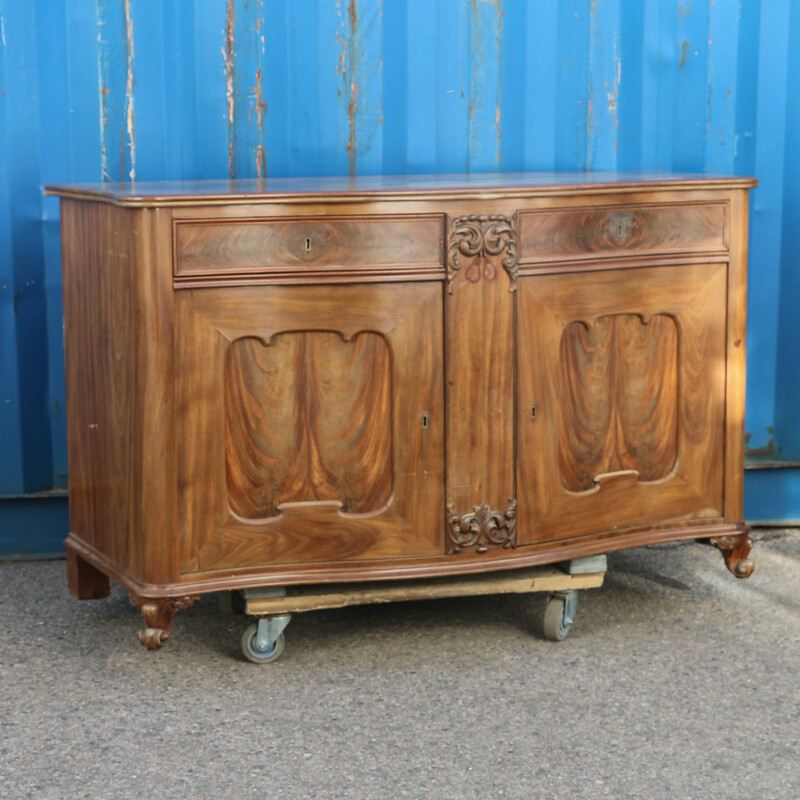 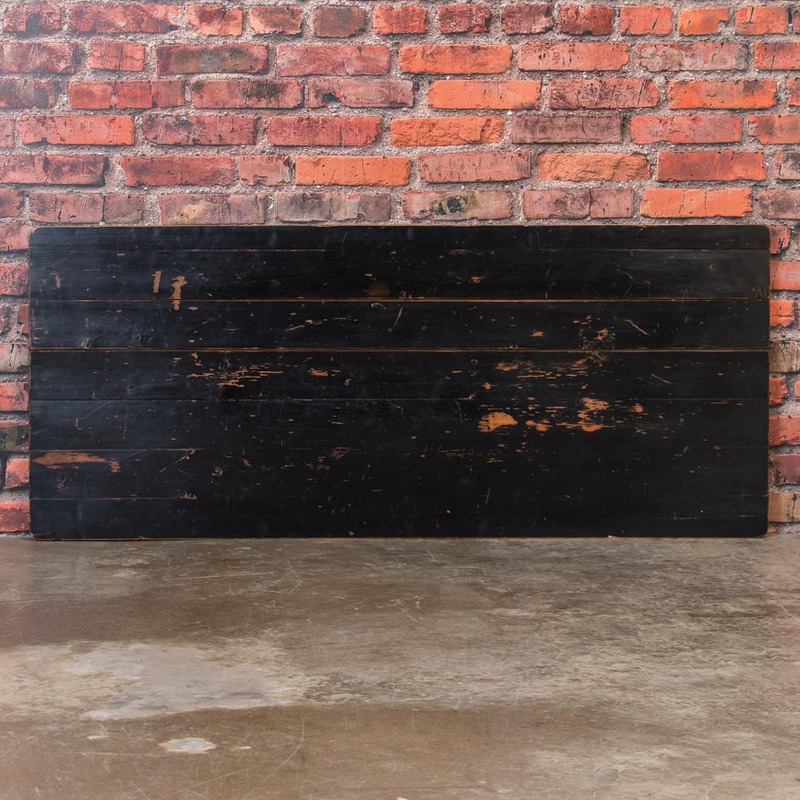 Antique Danish sideboard with turned columns separating 3 locking cupboard doors. 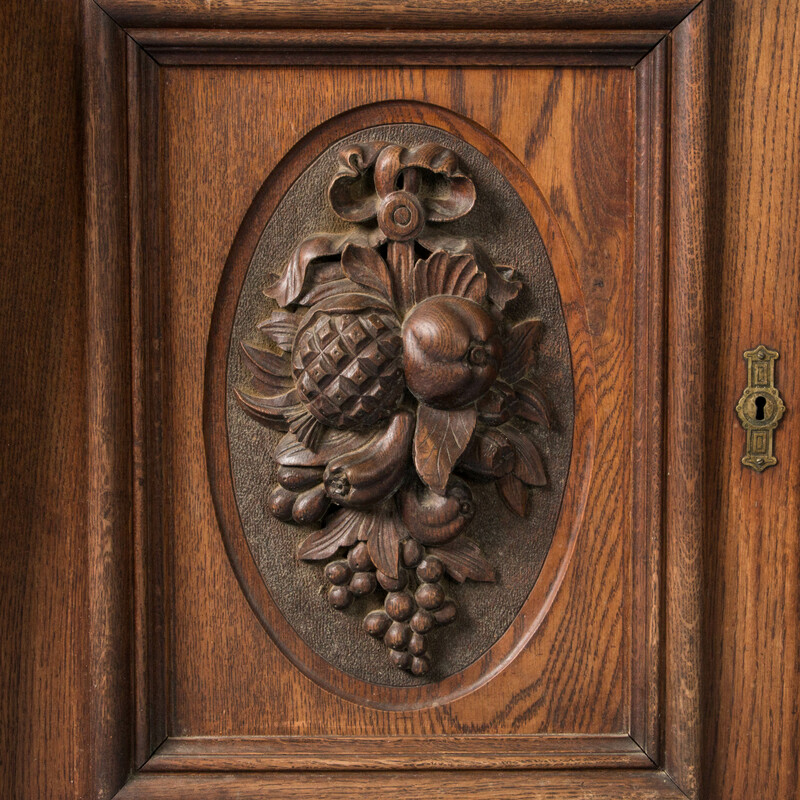 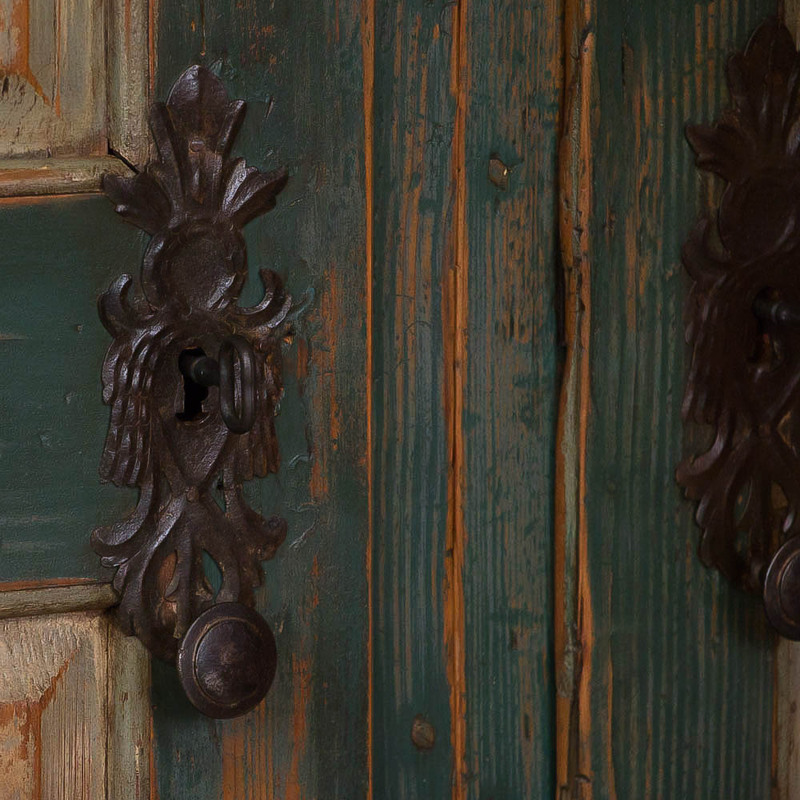 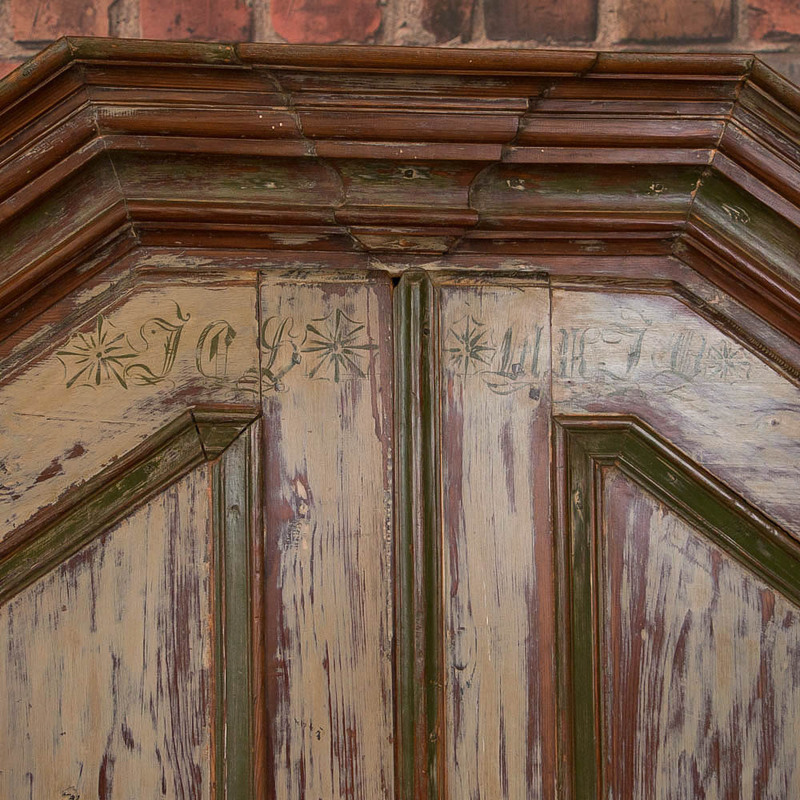 Each door is carved in relief with a pair of figures under an arch. 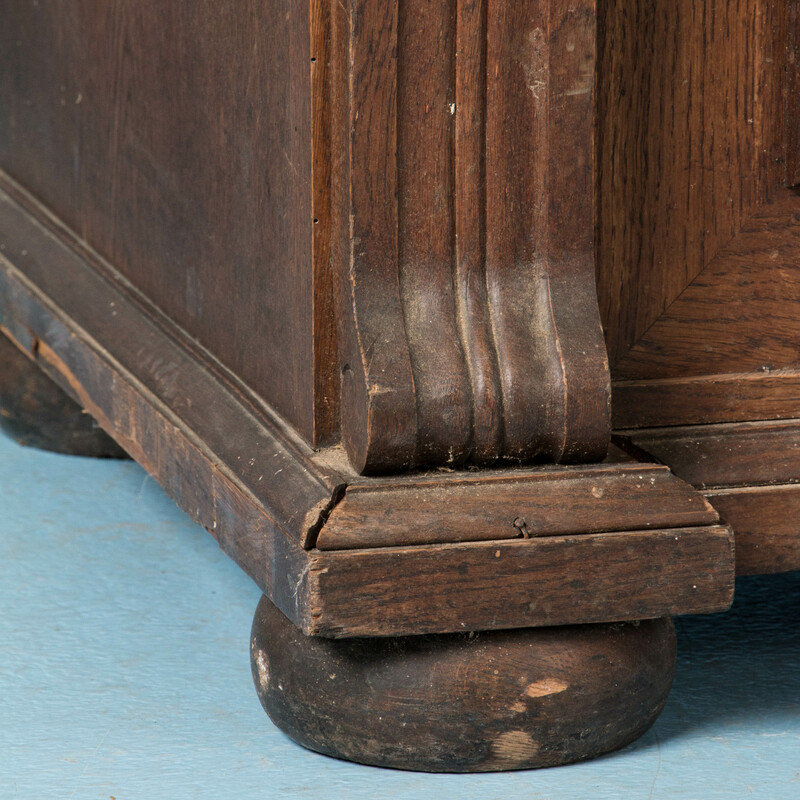 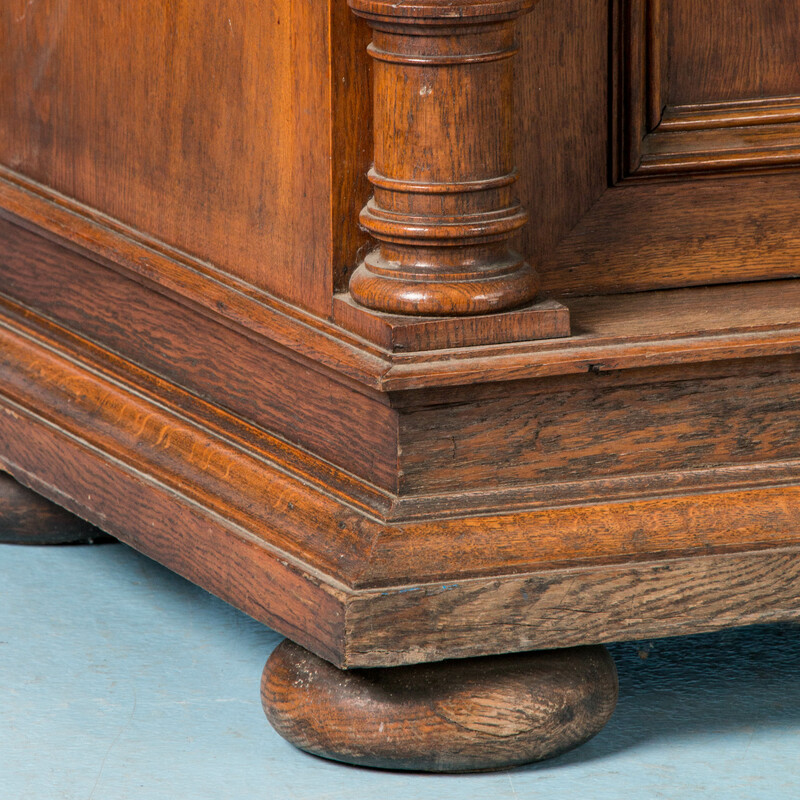 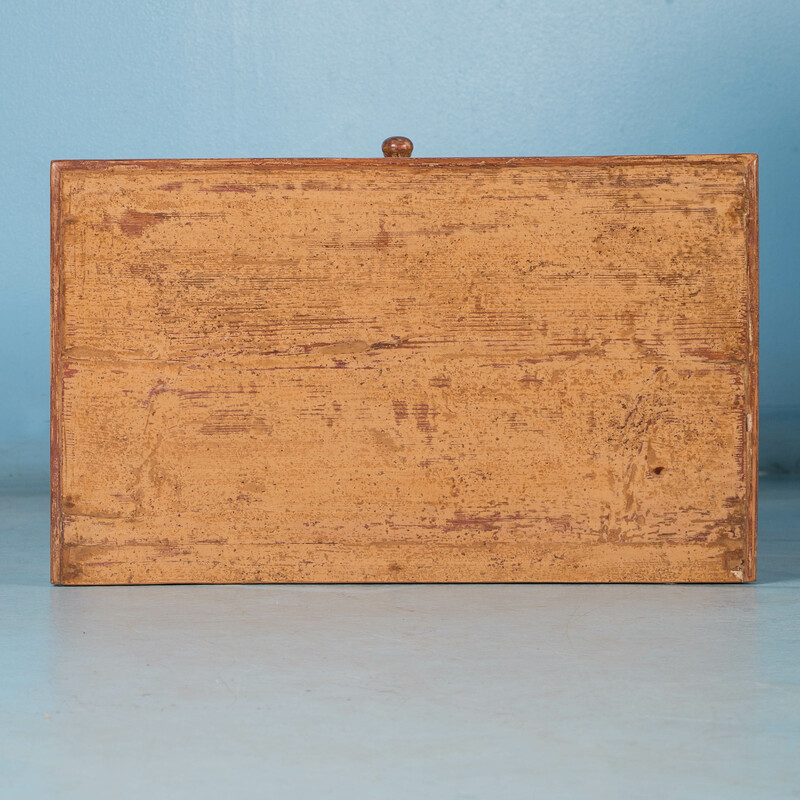 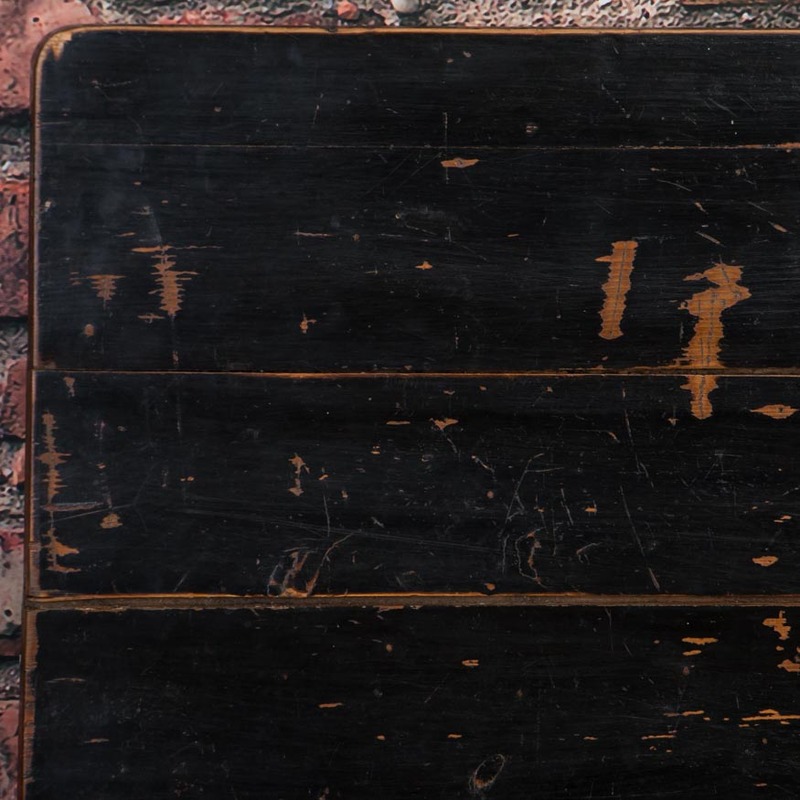 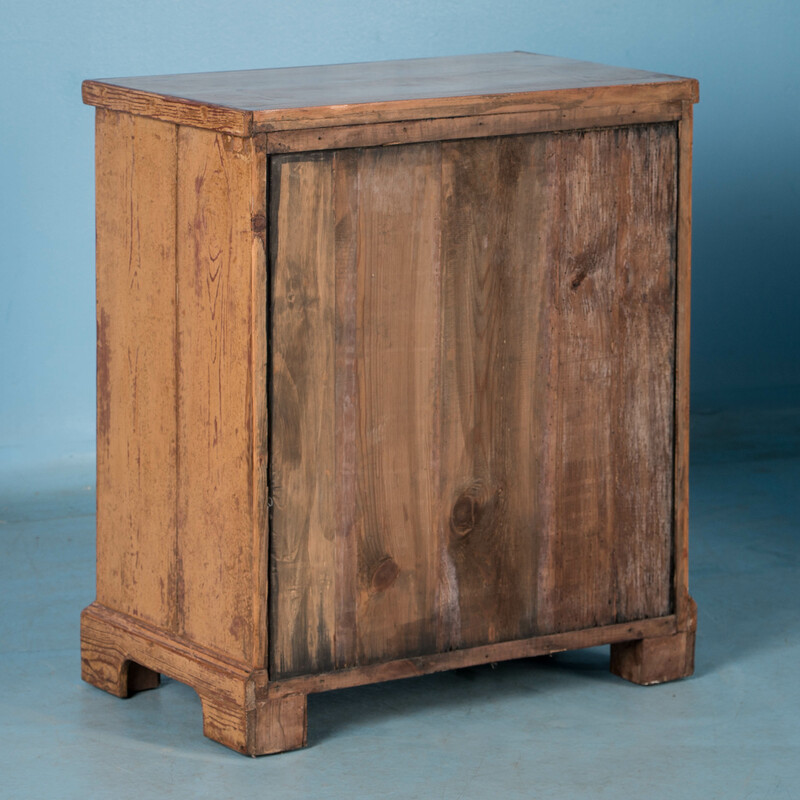 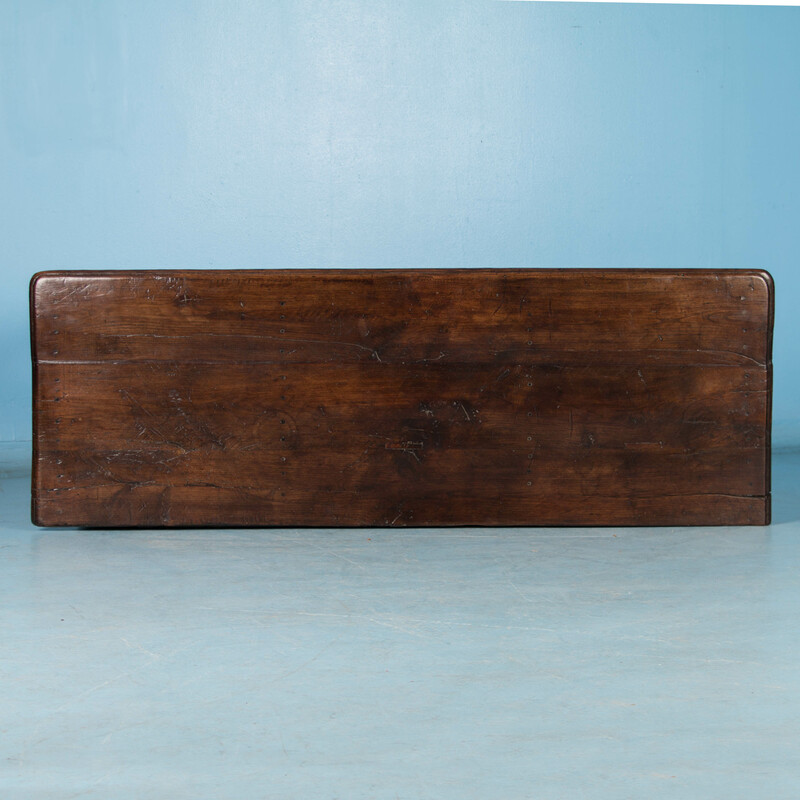 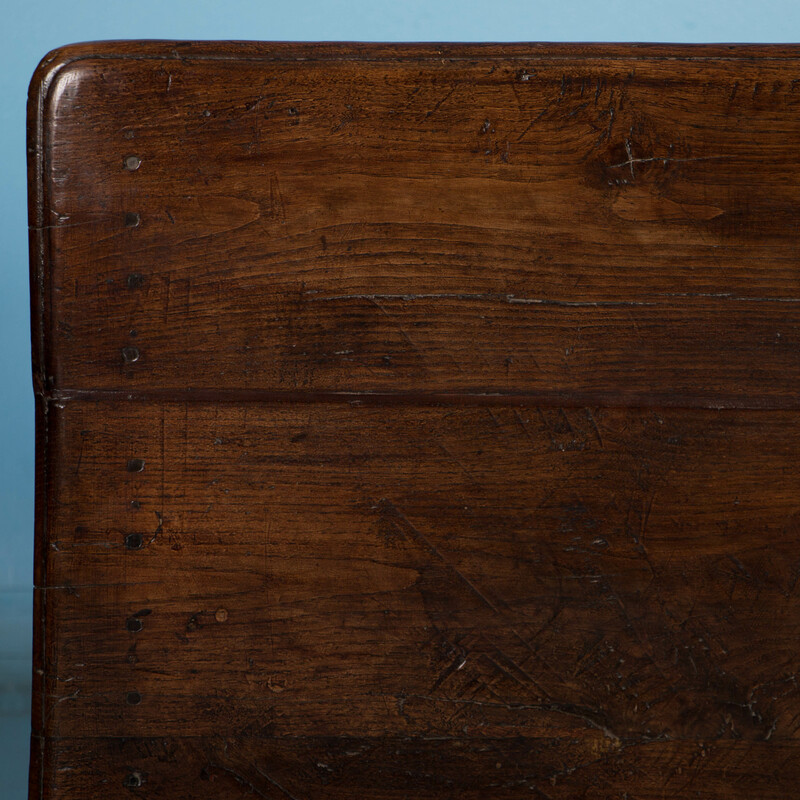 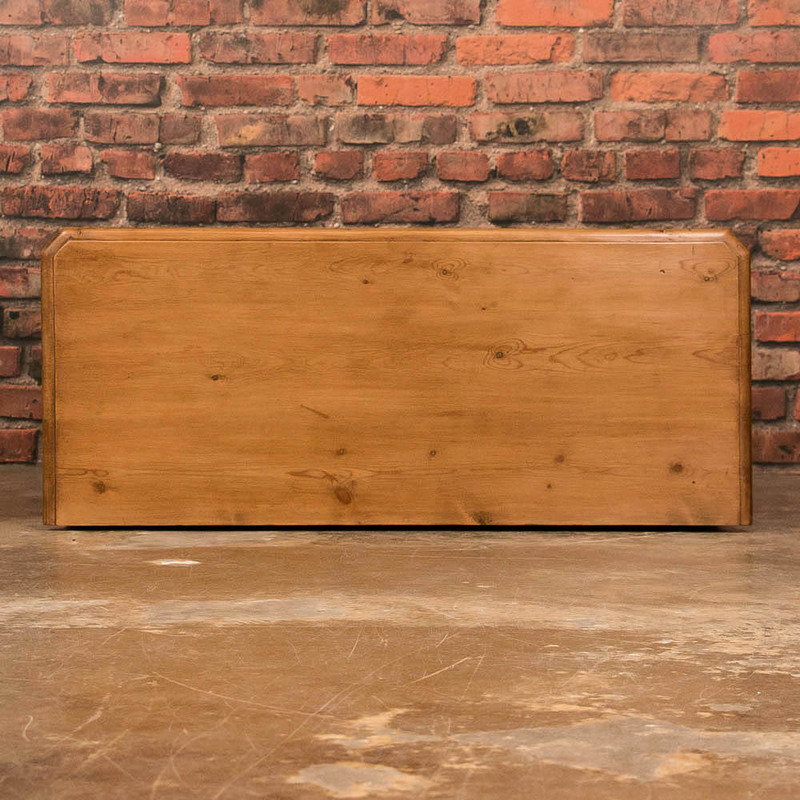 The case rests on bun feet and is made of solid oak. 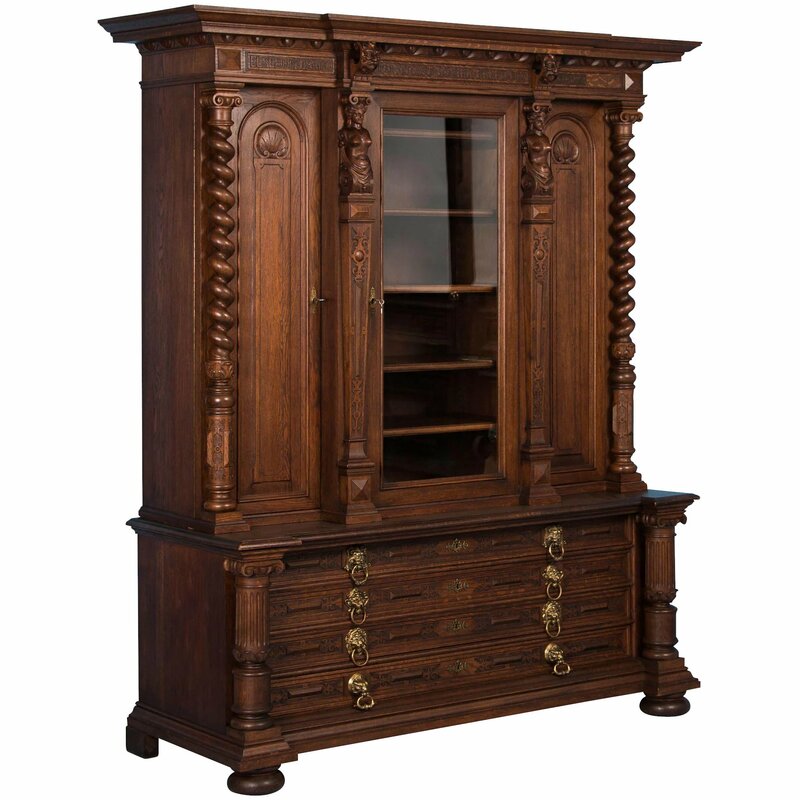 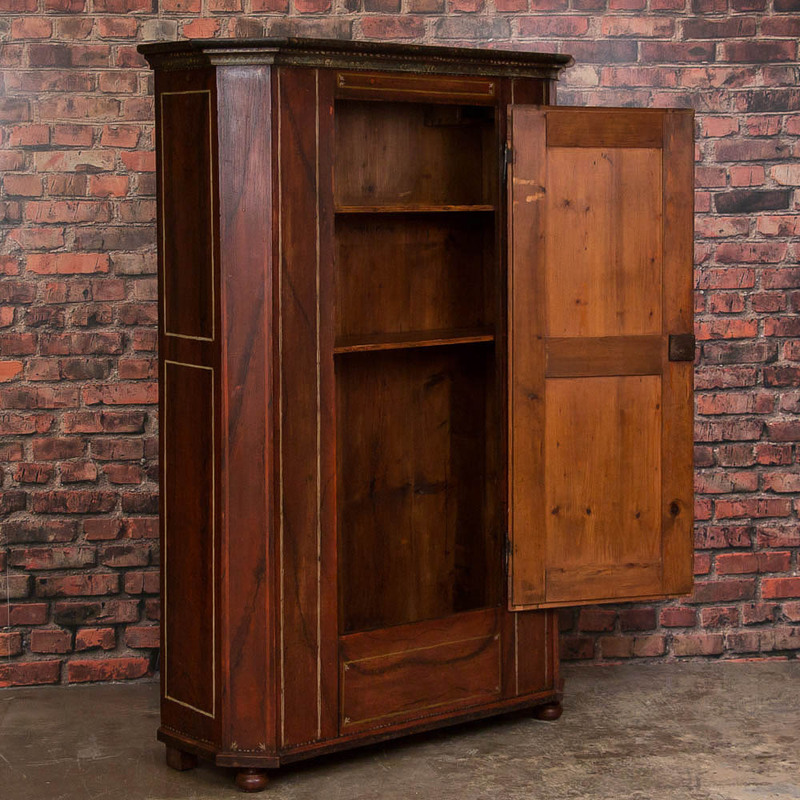 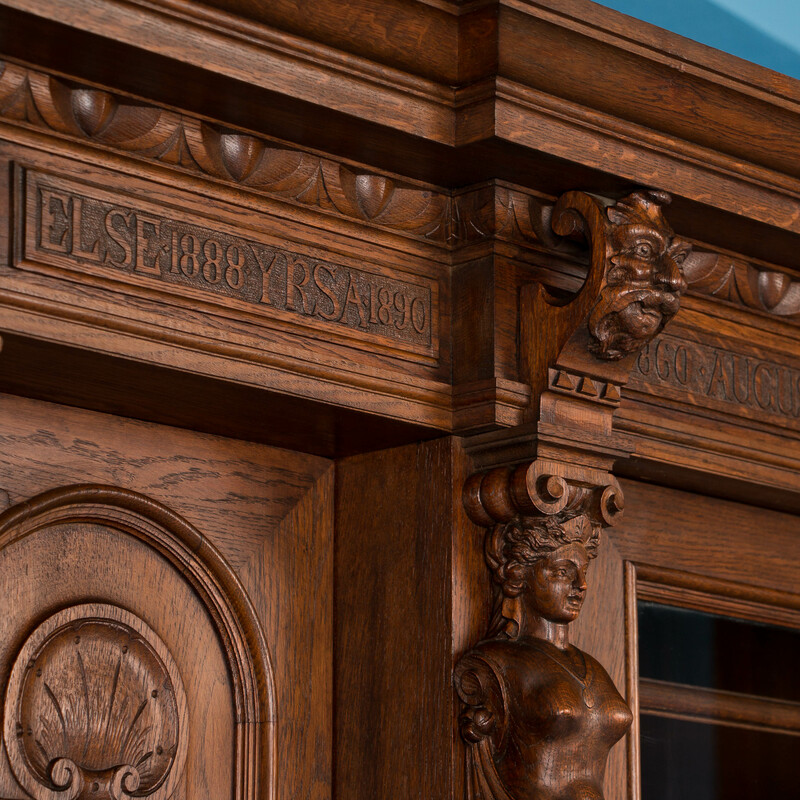 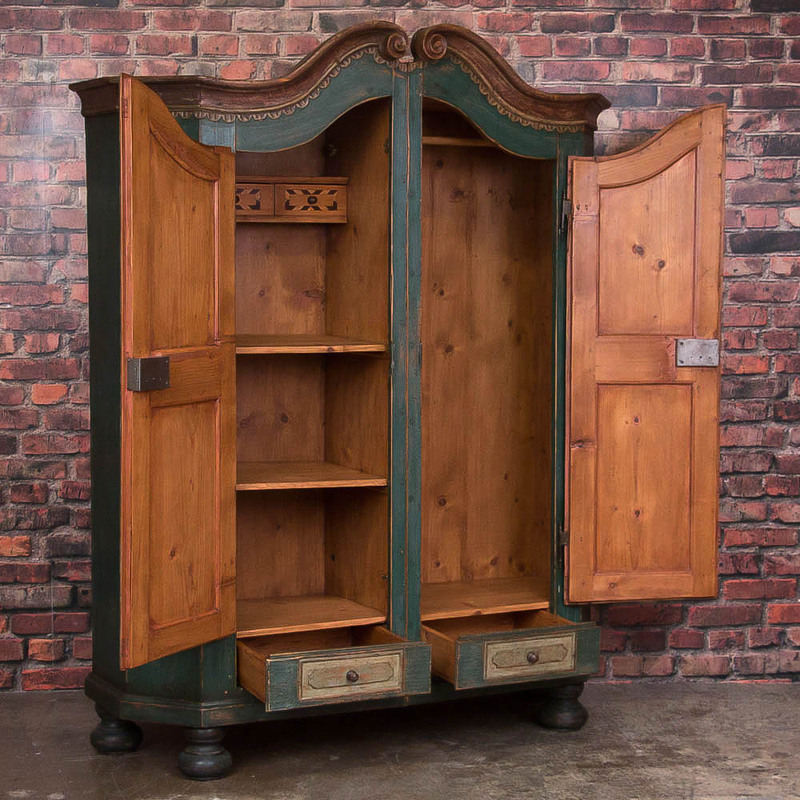 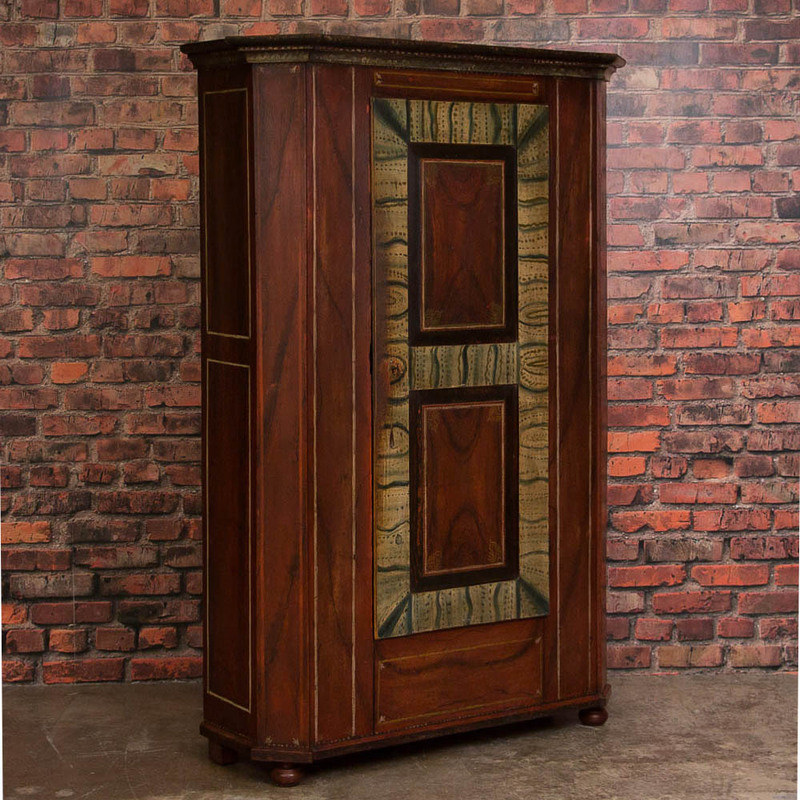 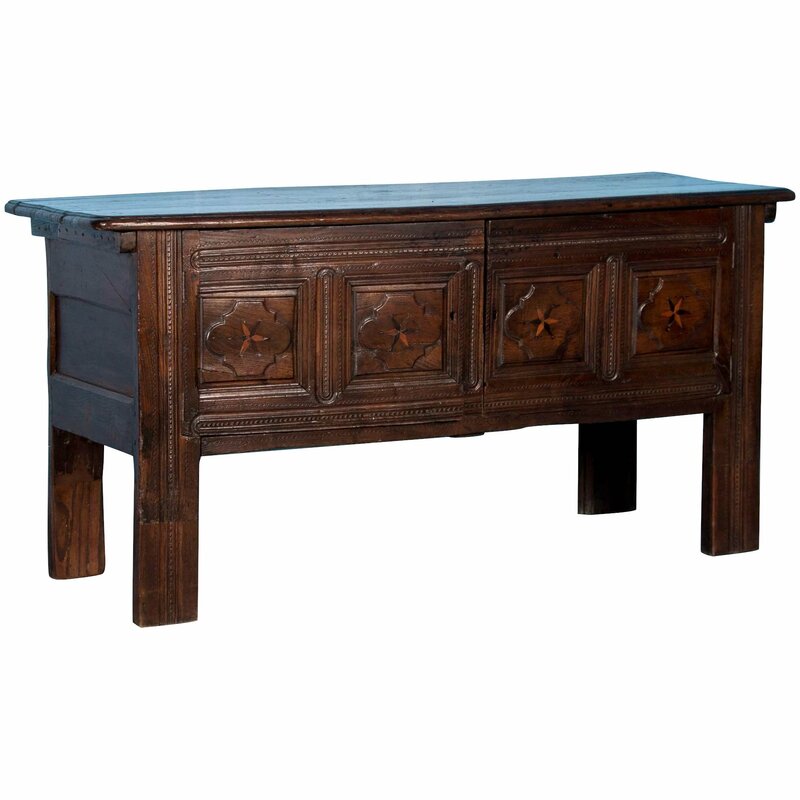 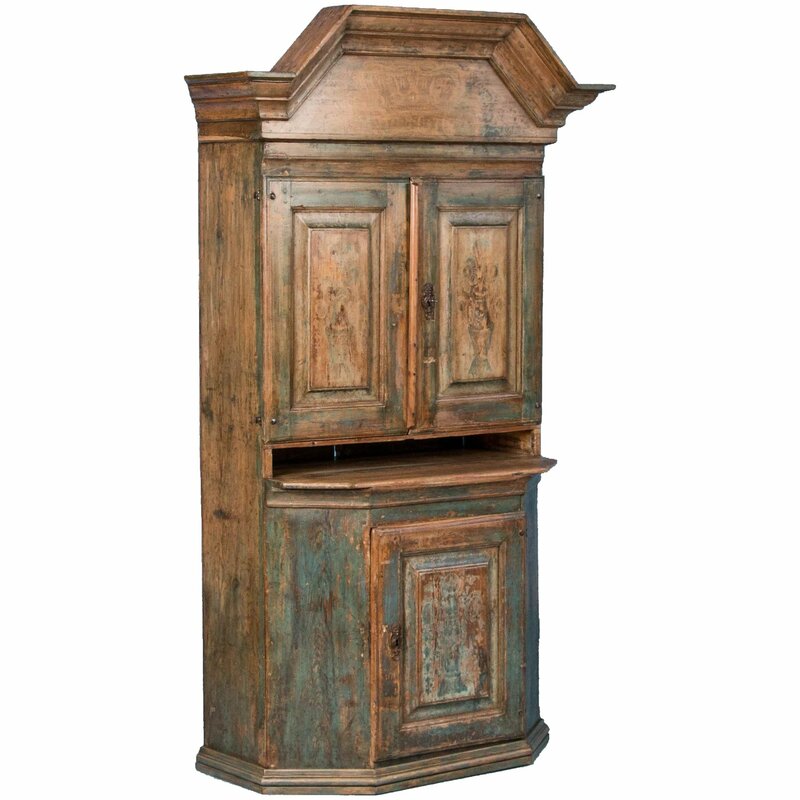 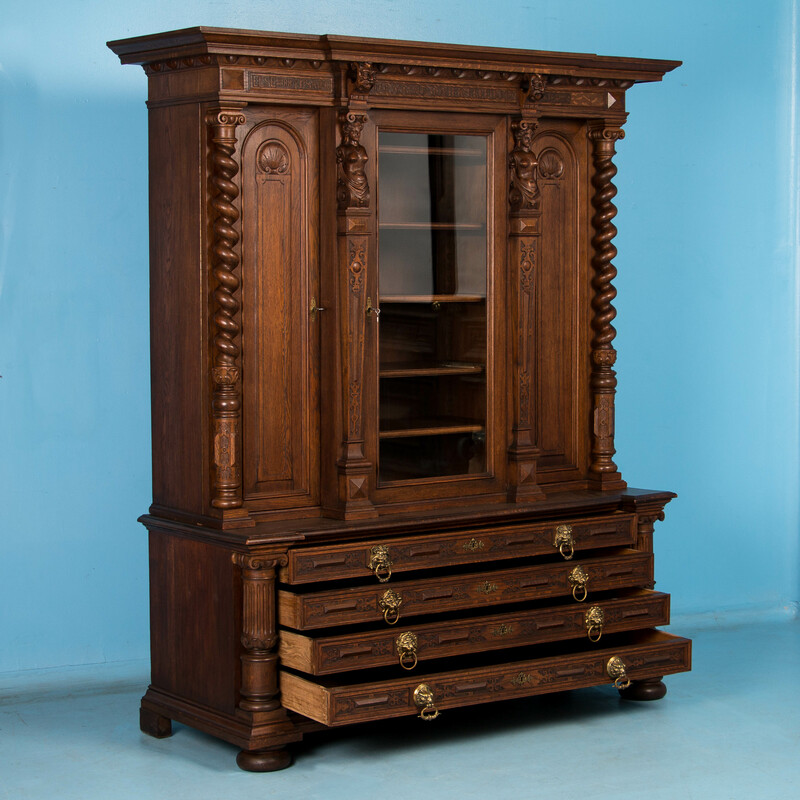 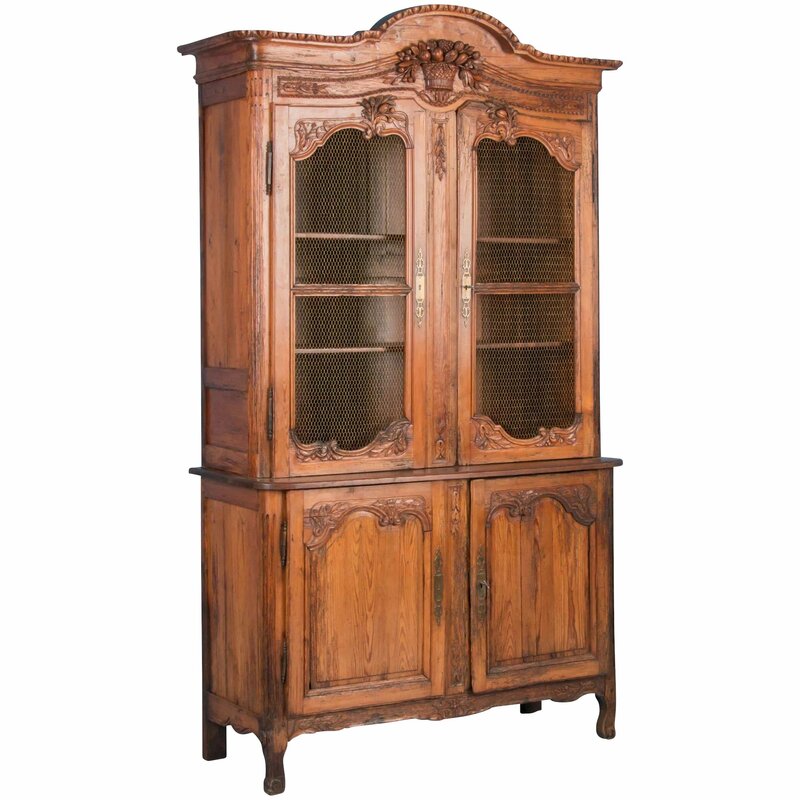 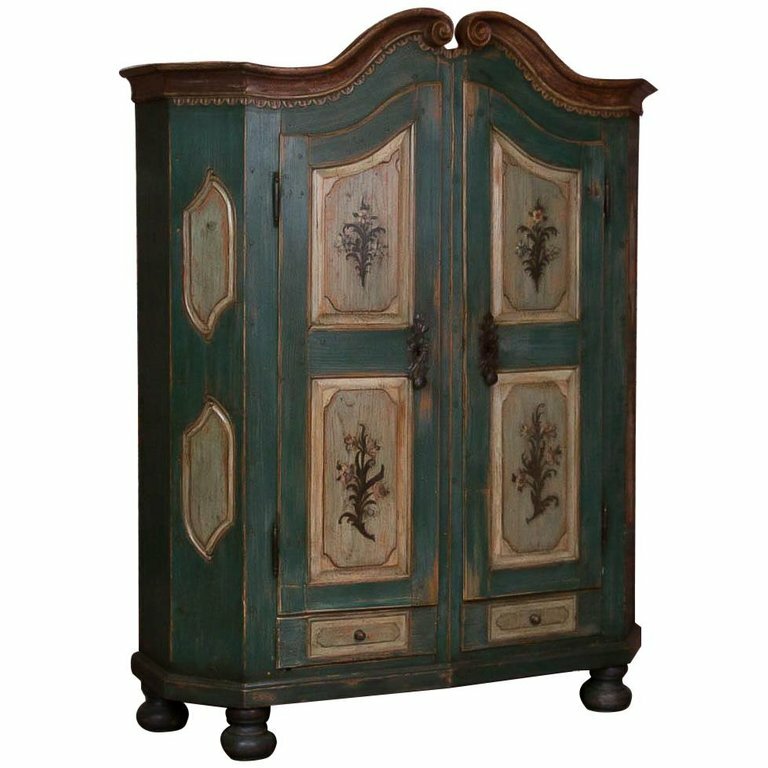 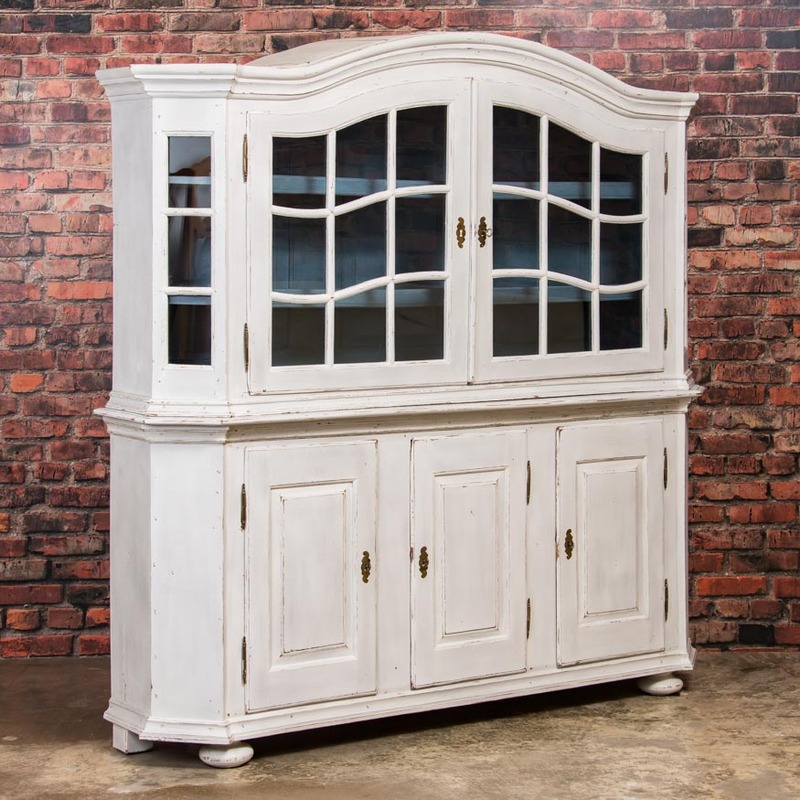 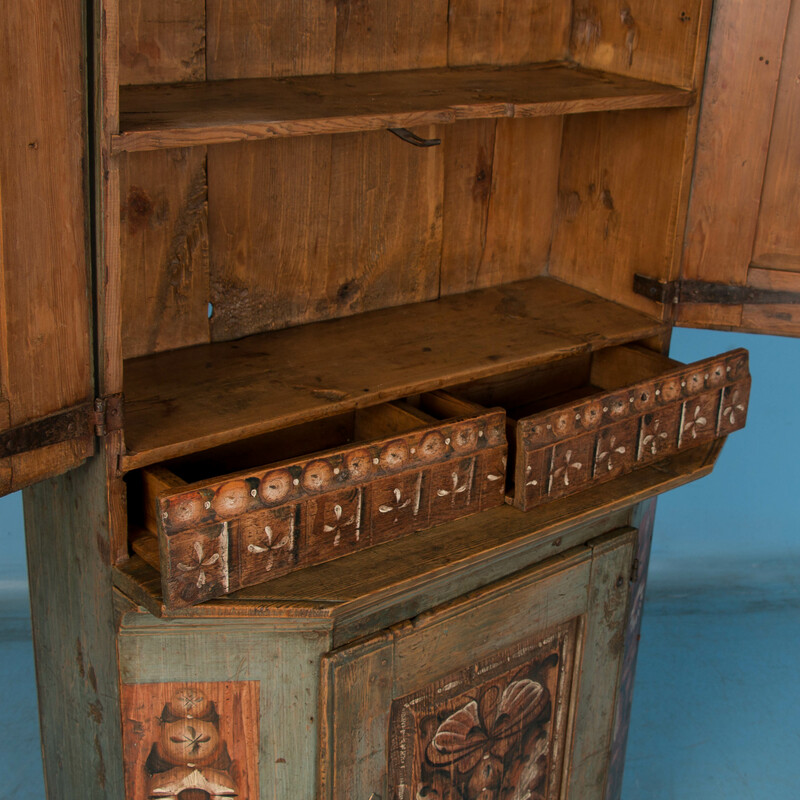 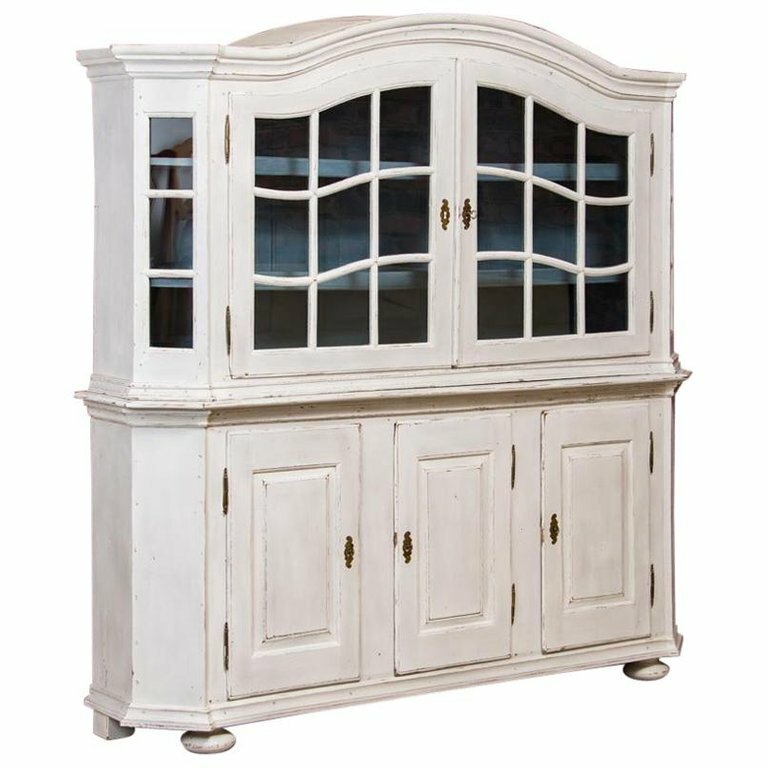 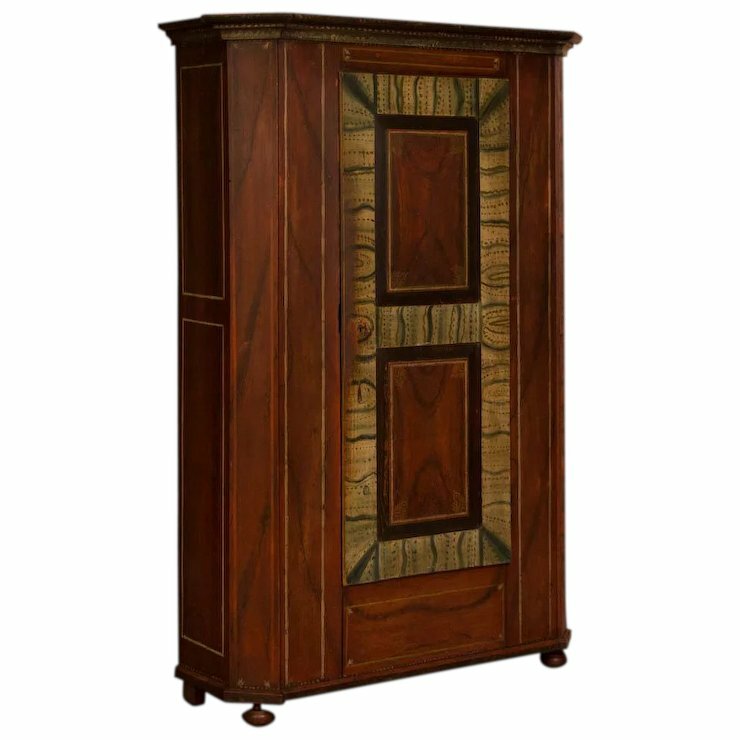 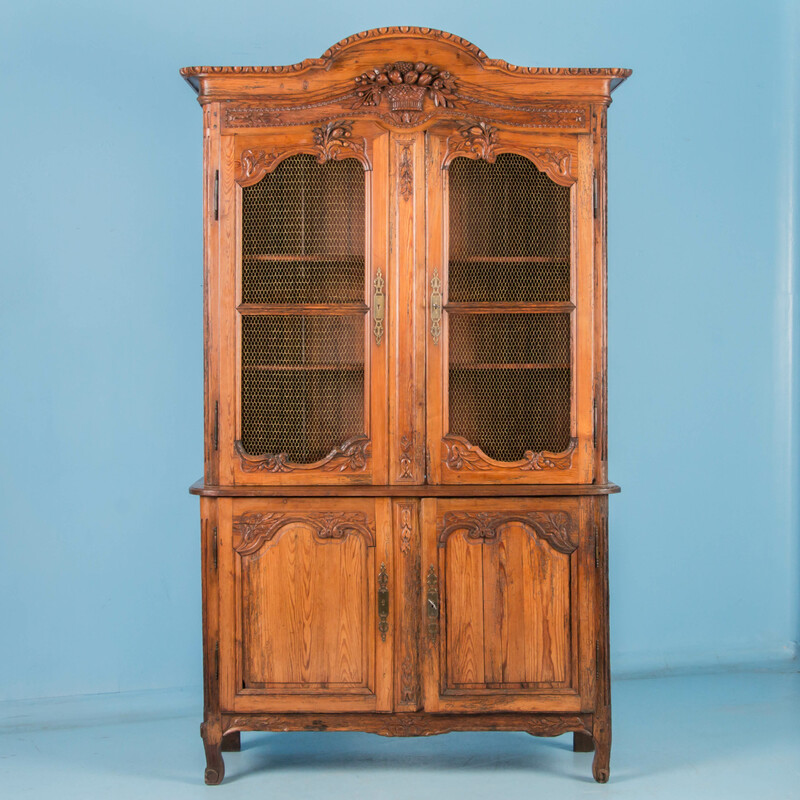 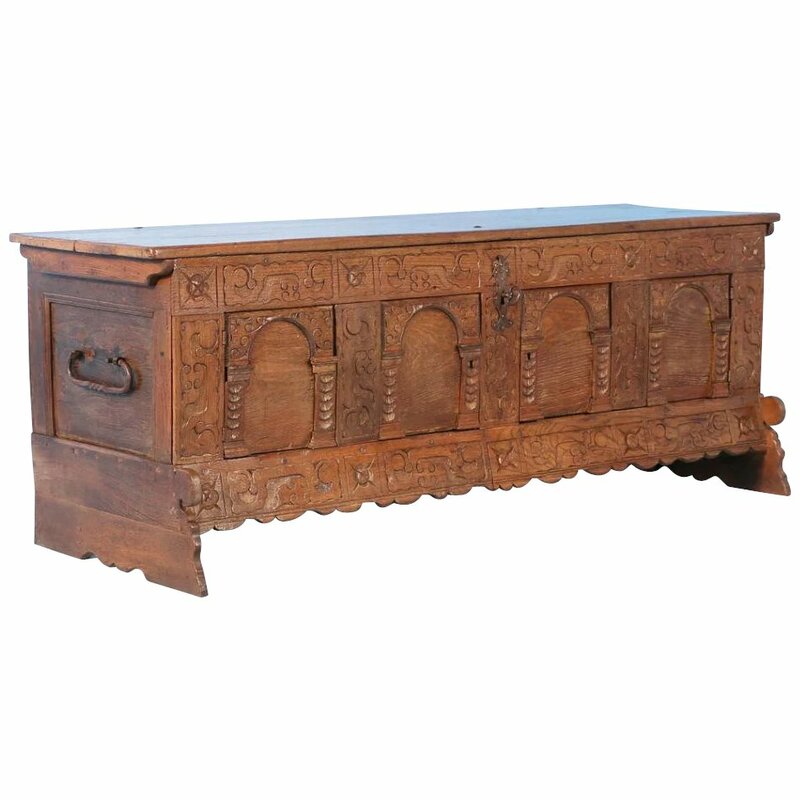 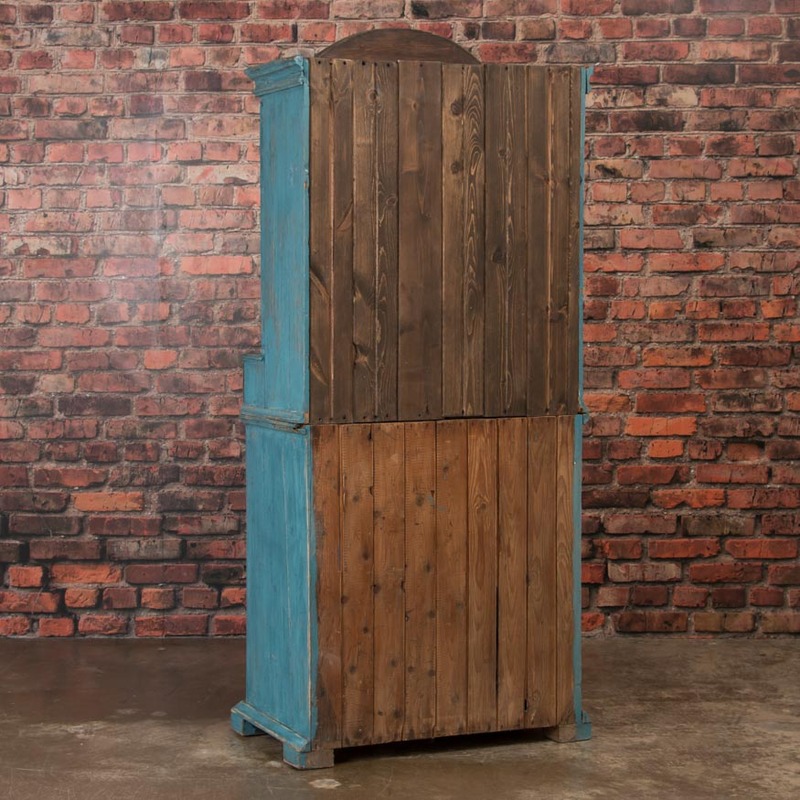 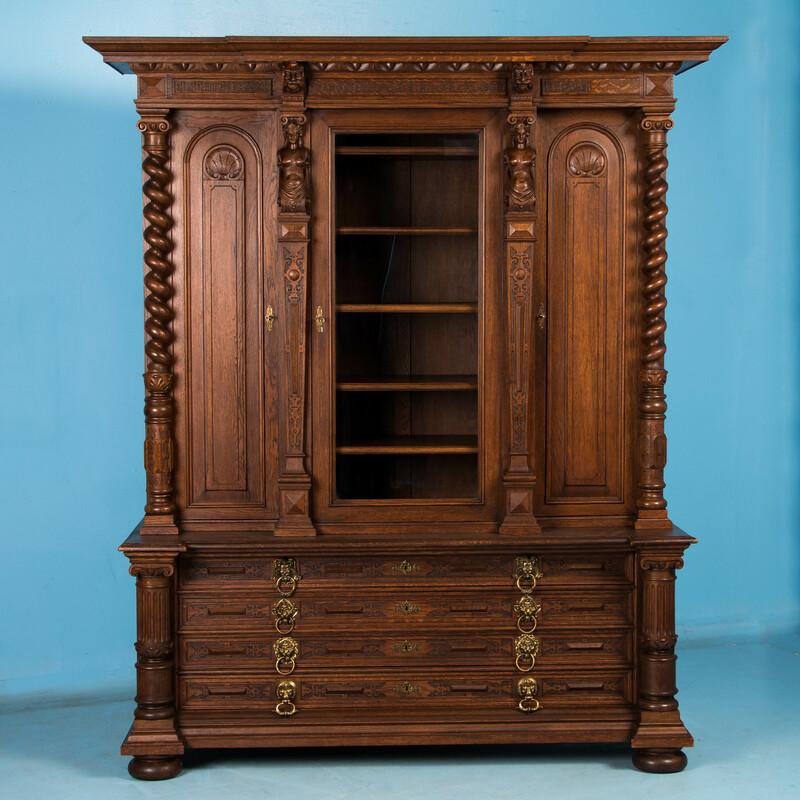 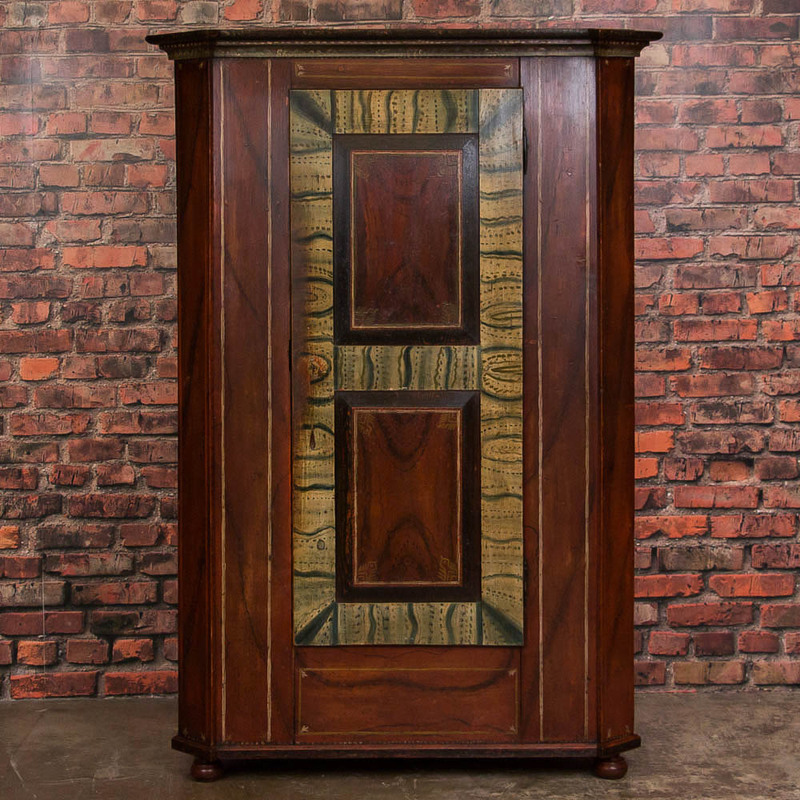 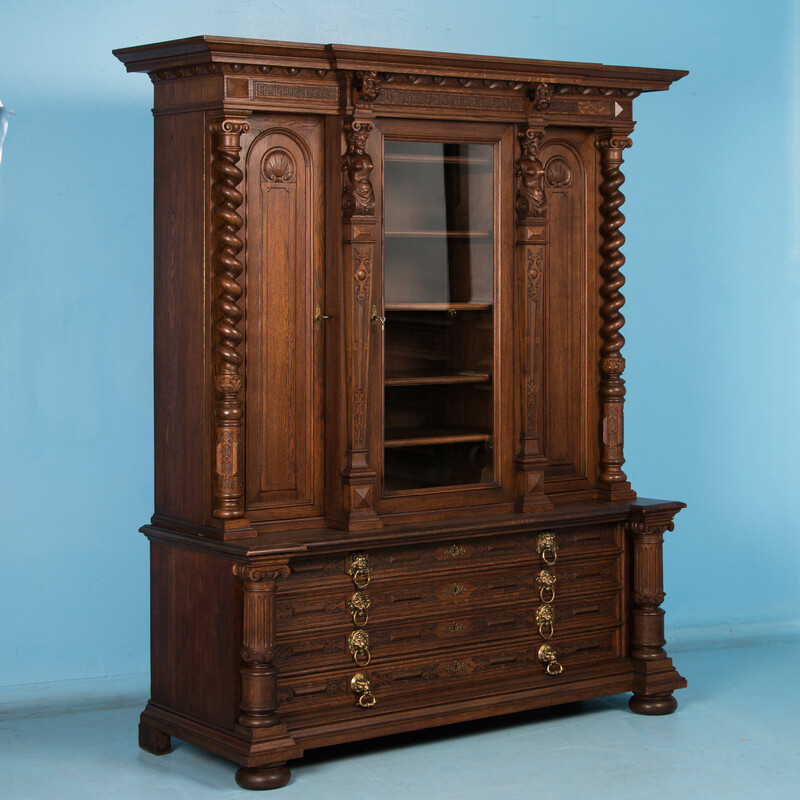 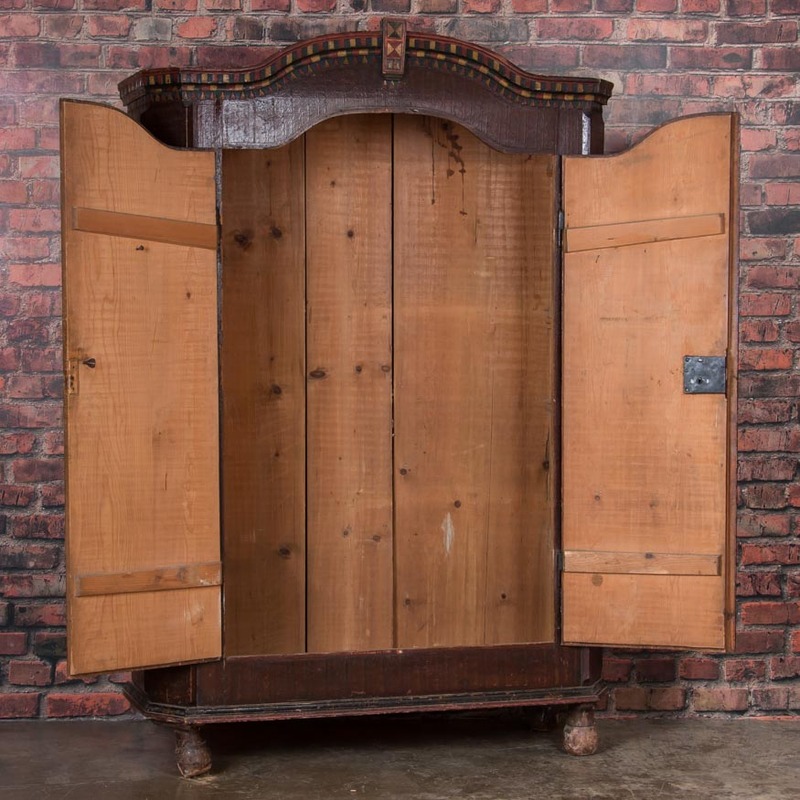 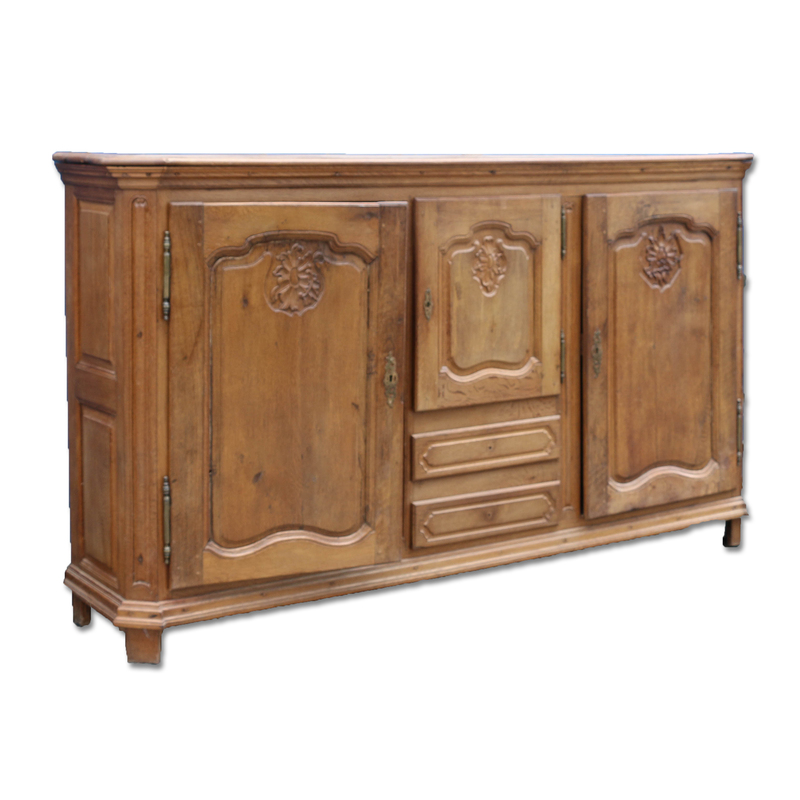 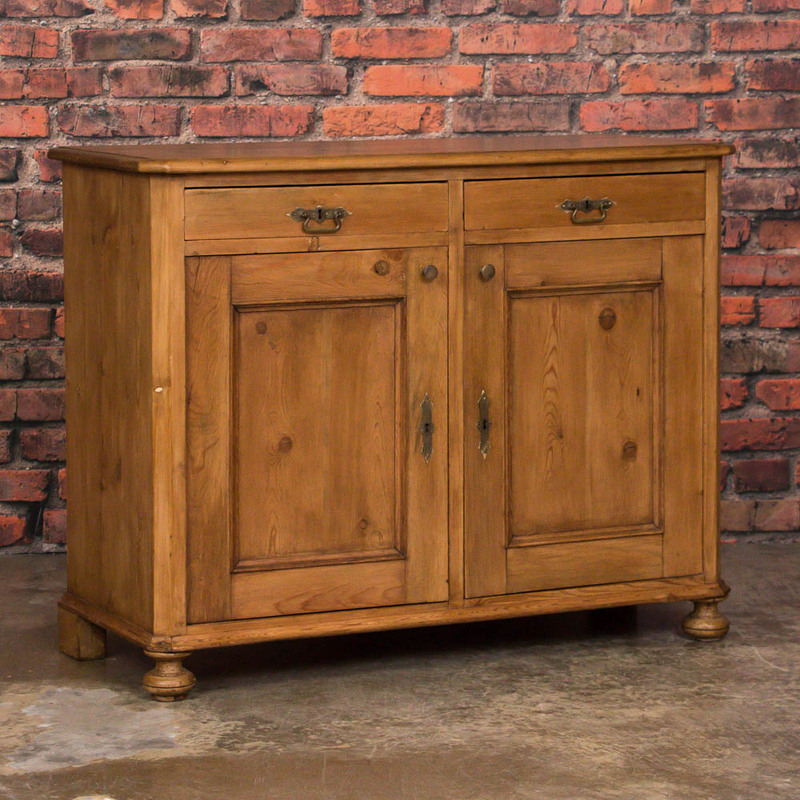 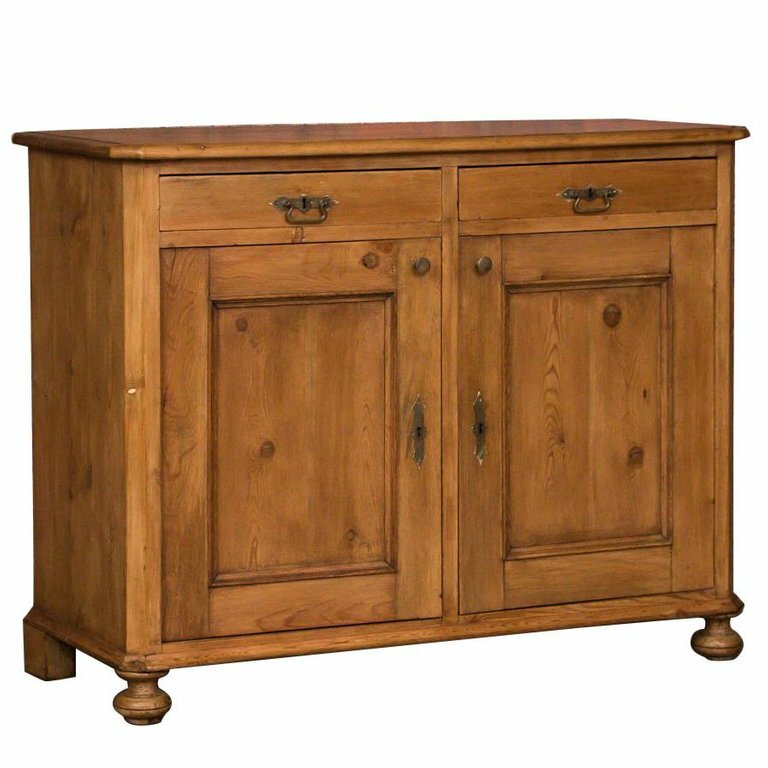 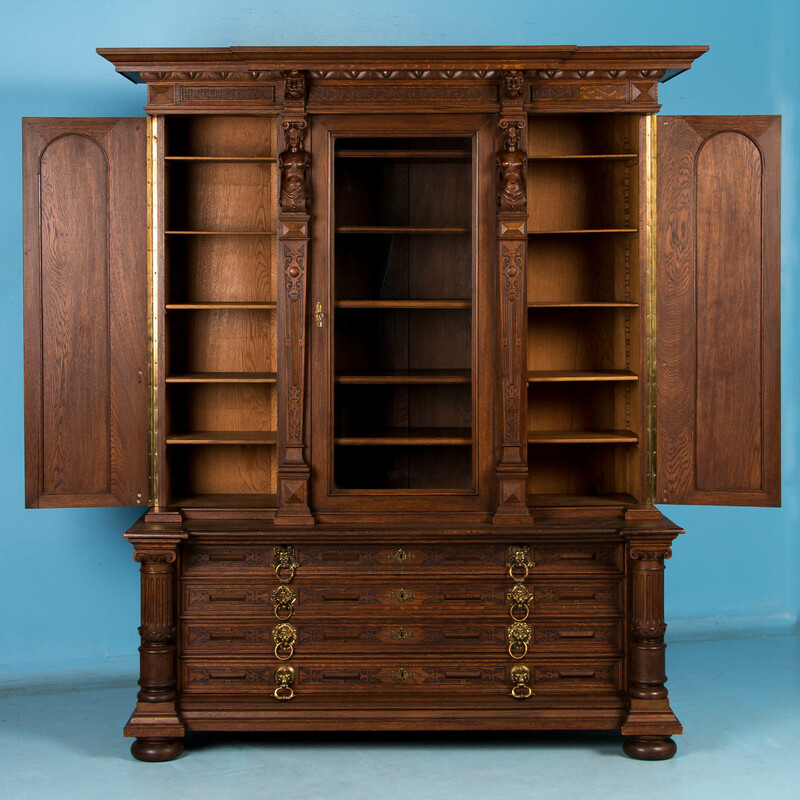 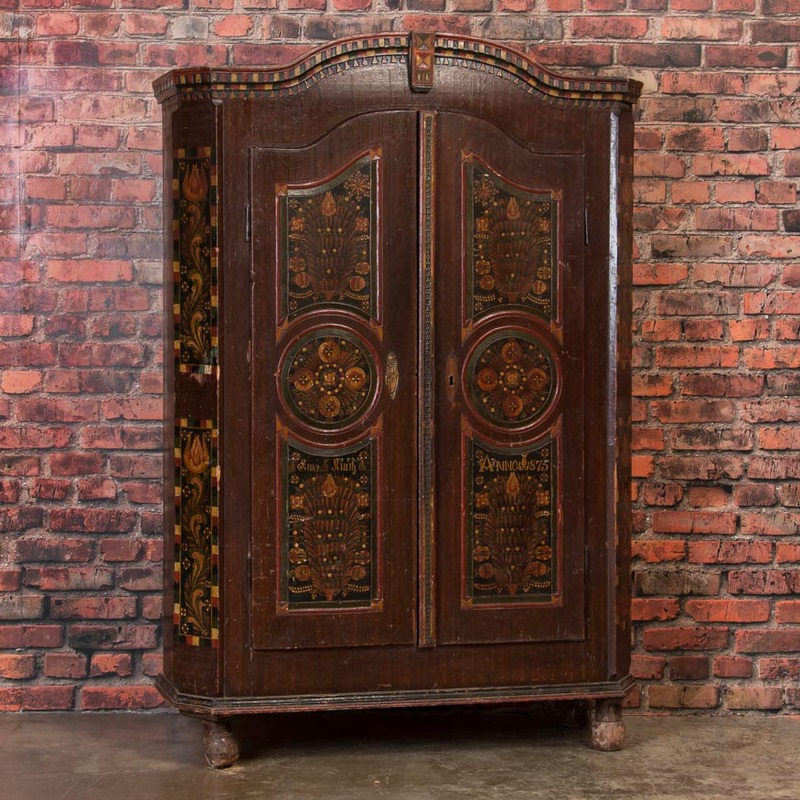 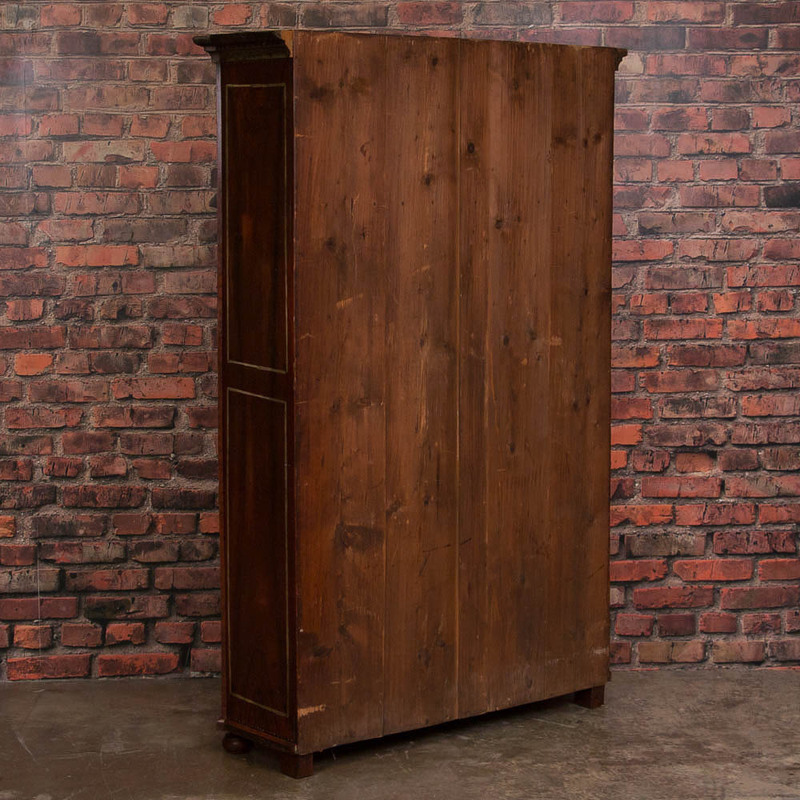 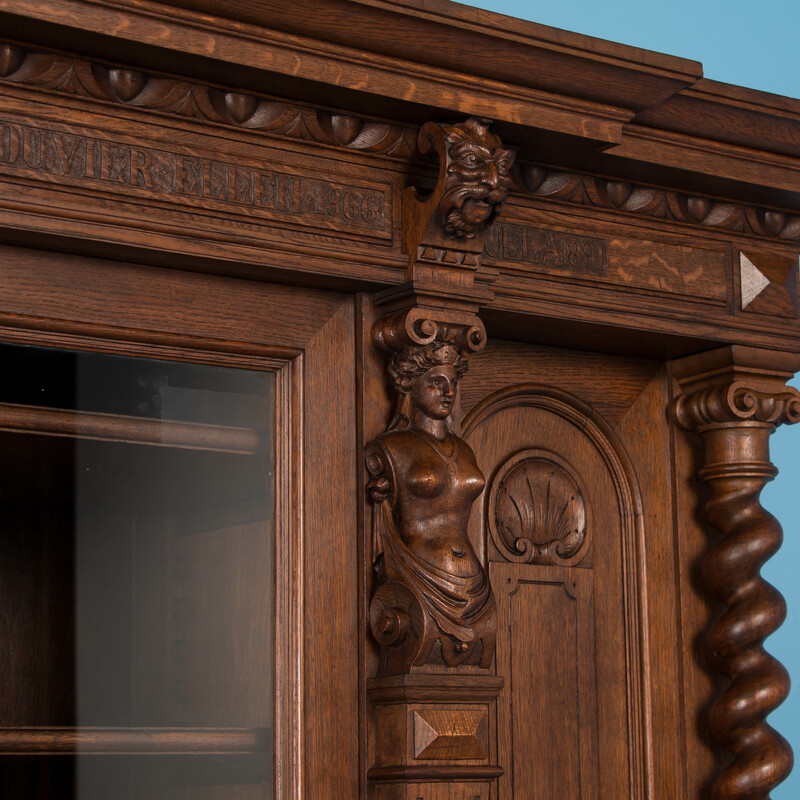 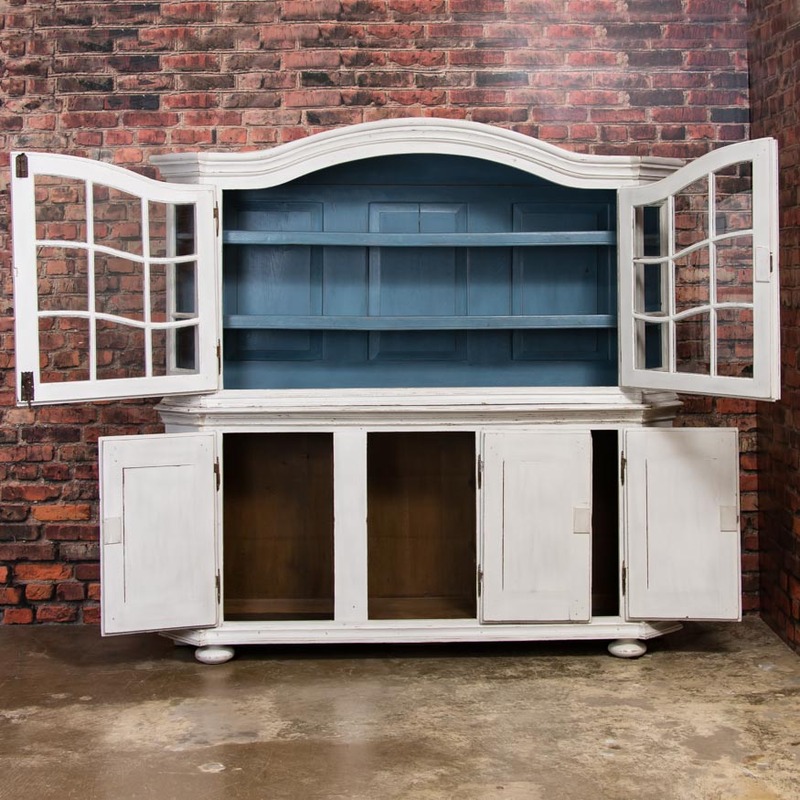 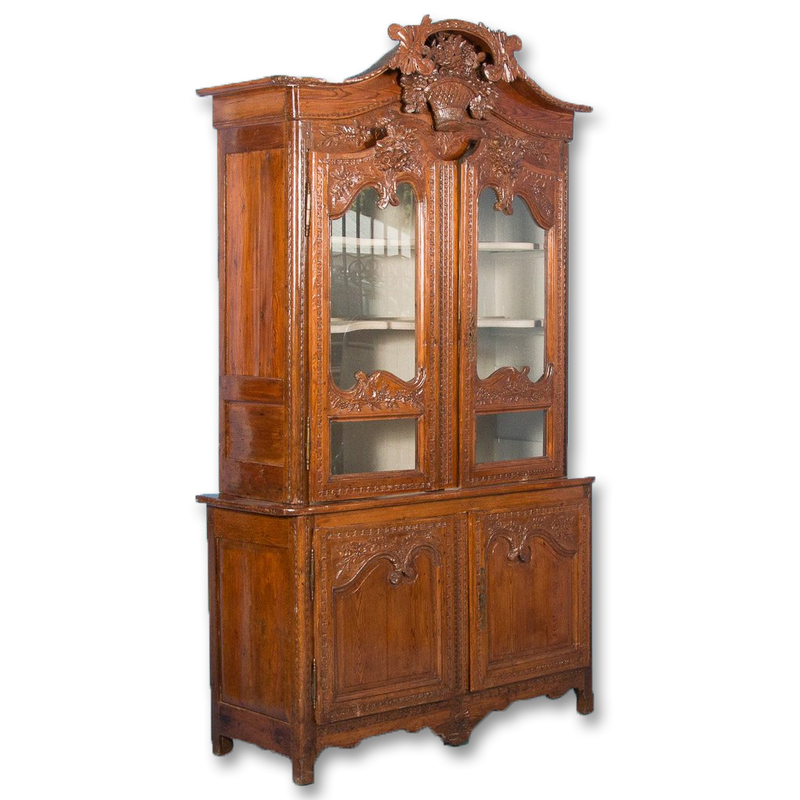 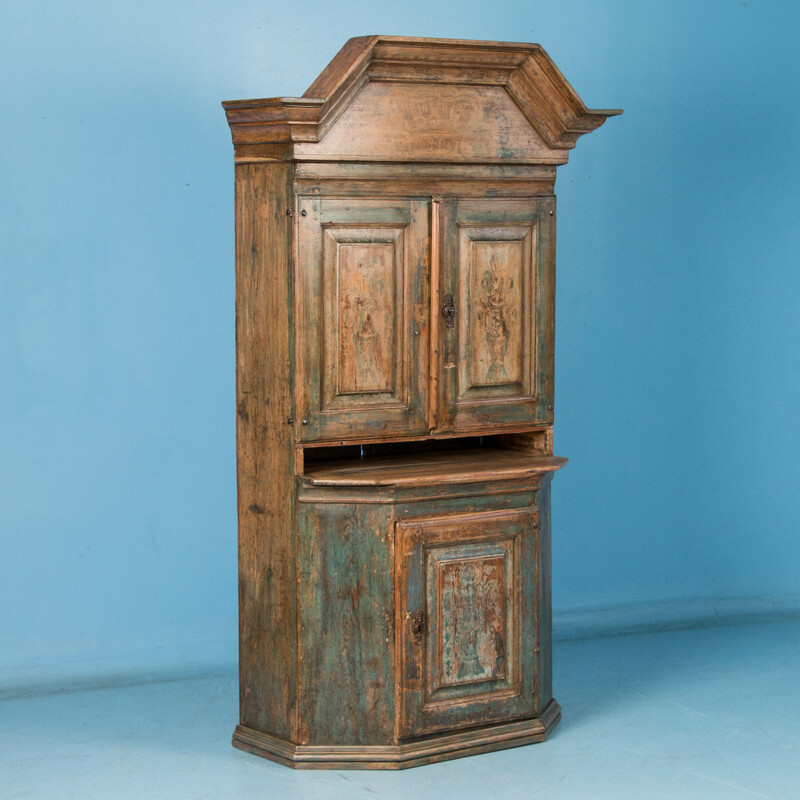 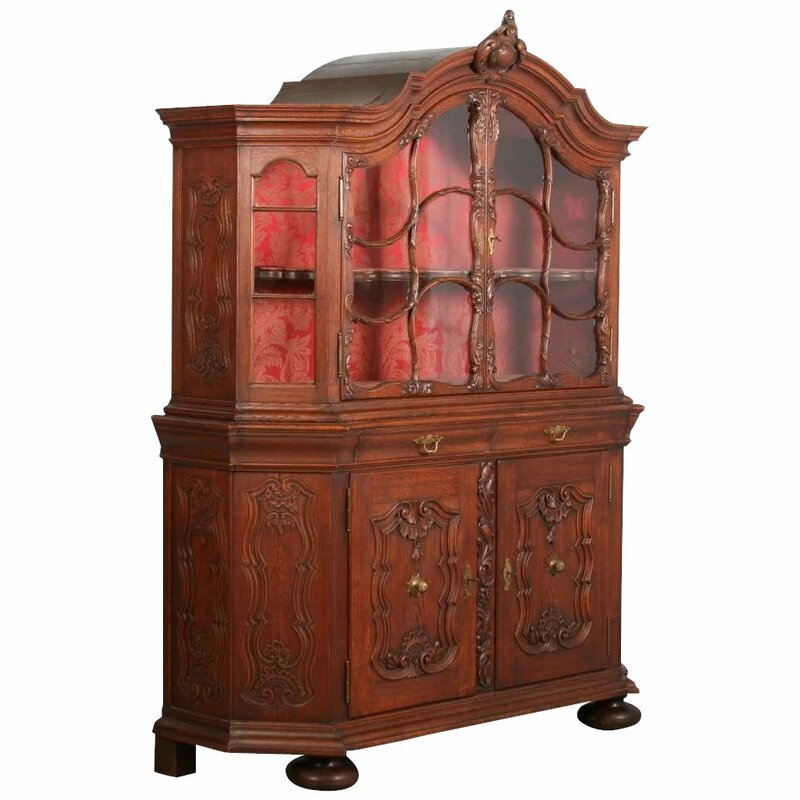 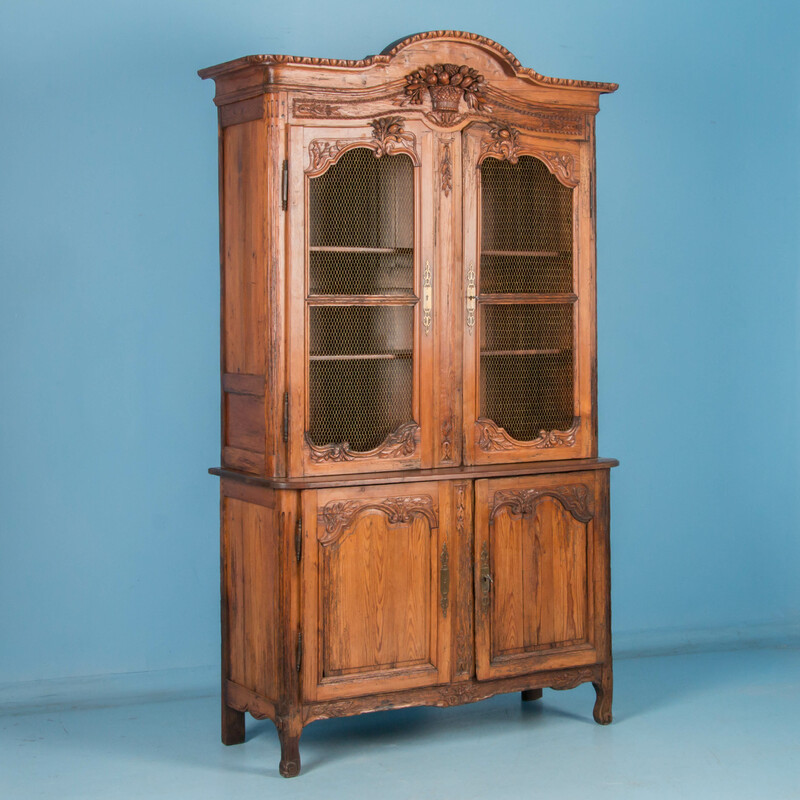 The four carved front panels, are actually 2 hinged cabinet doors with ample storage within. 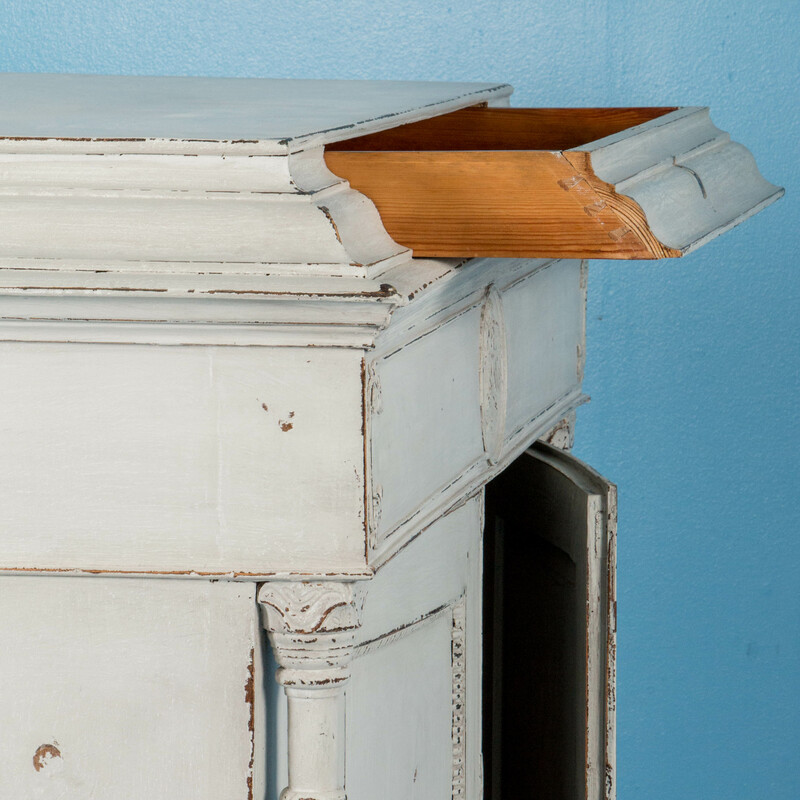 The hinged lid opens to reveal a small utility box and a shallow 6" deep space. 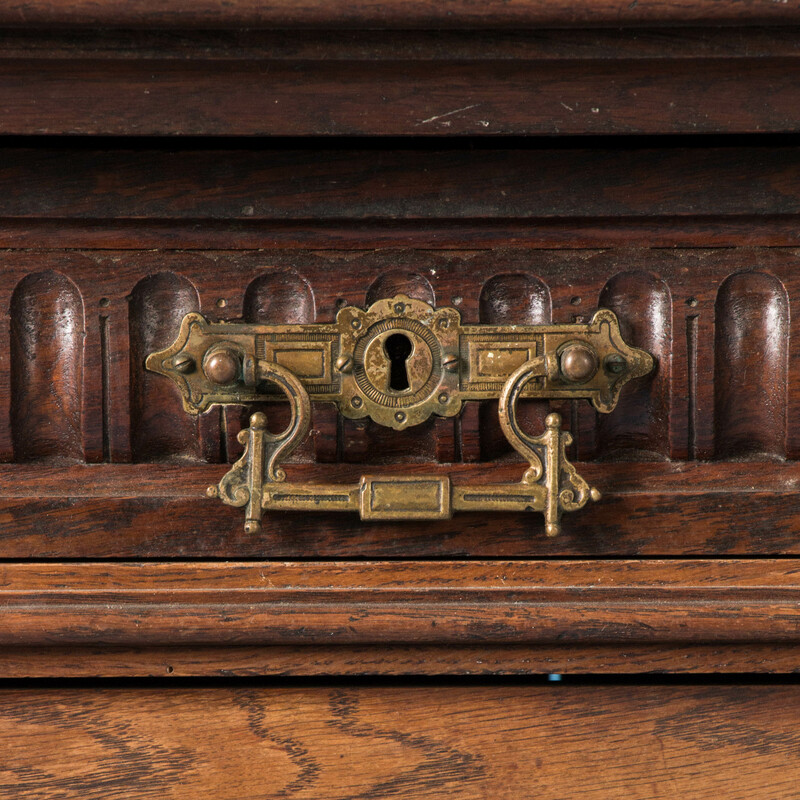 The hardware is all original including the key. 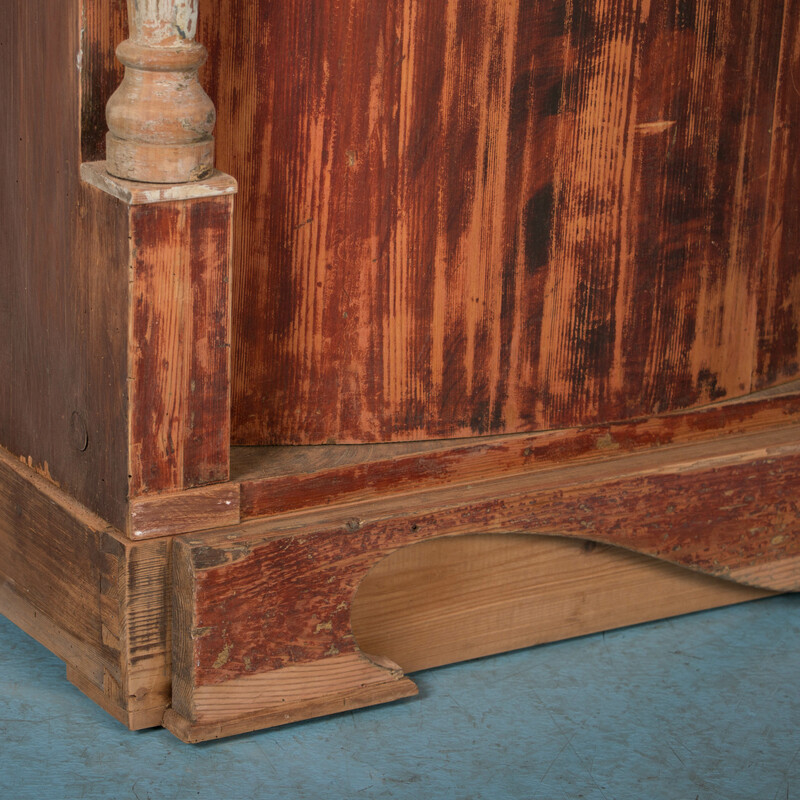 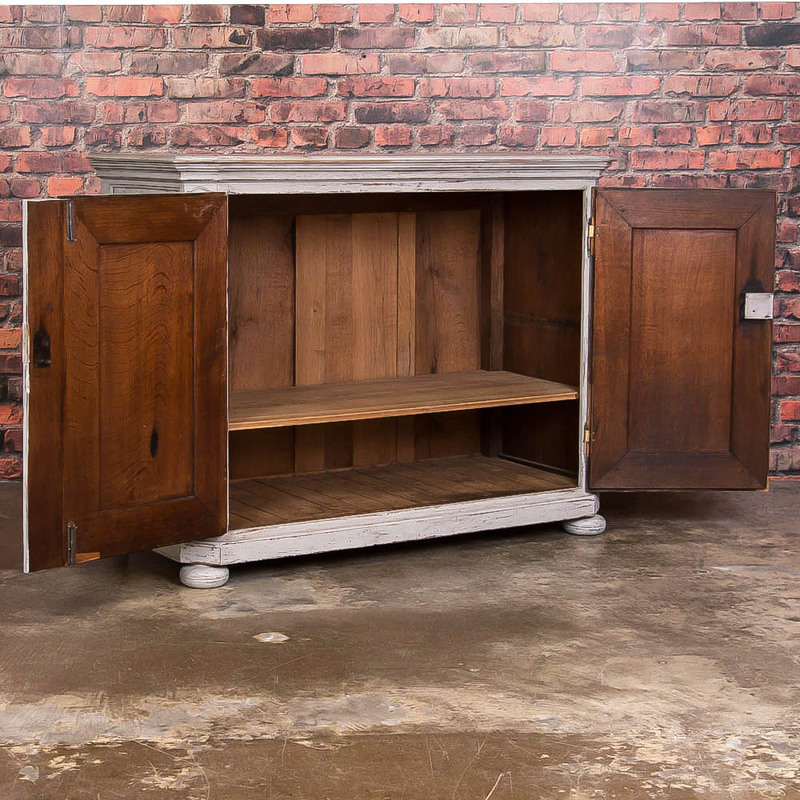 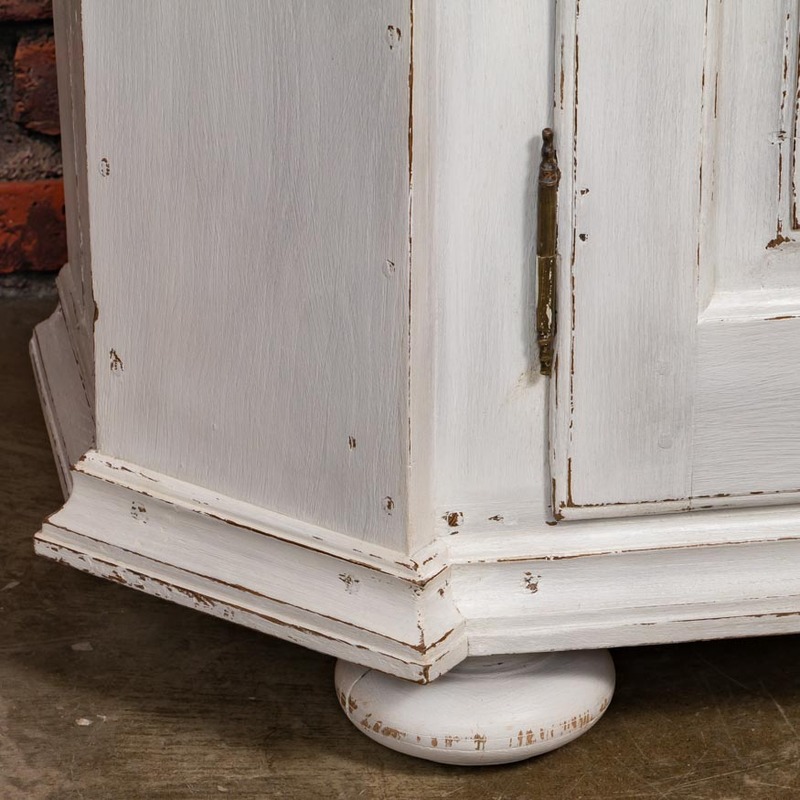 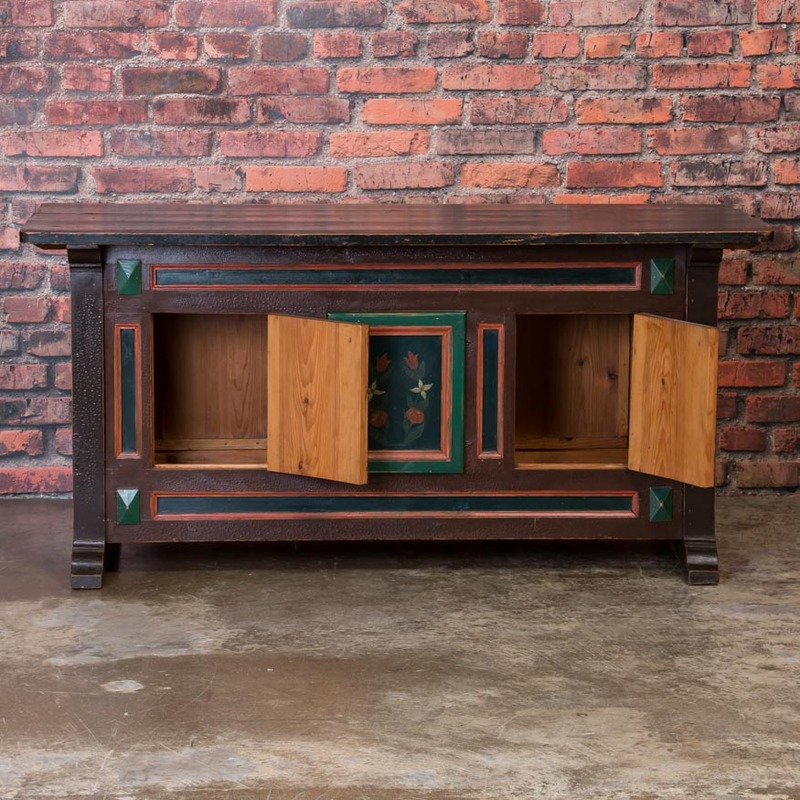 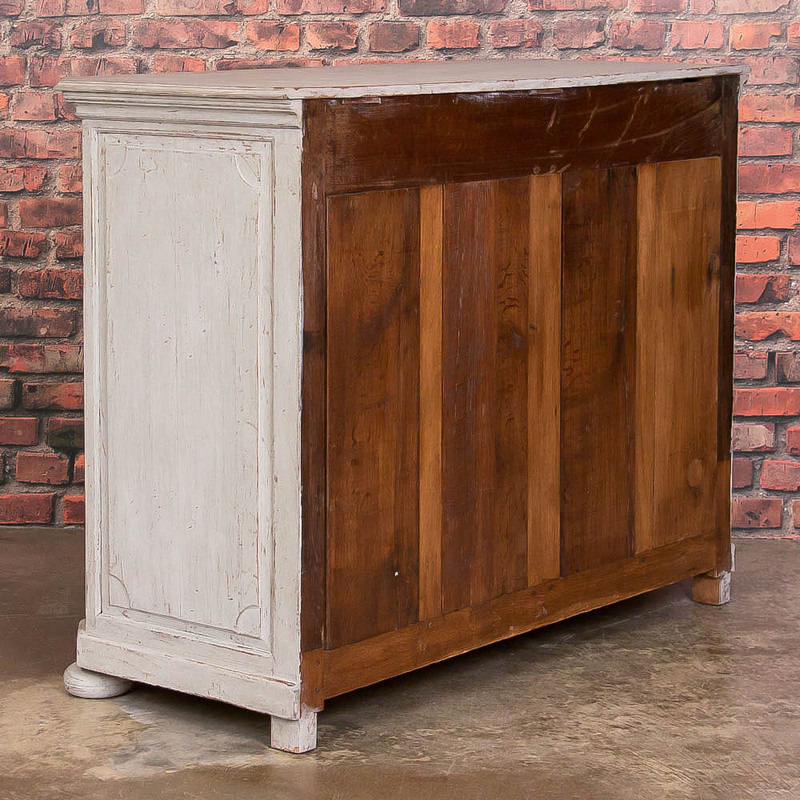 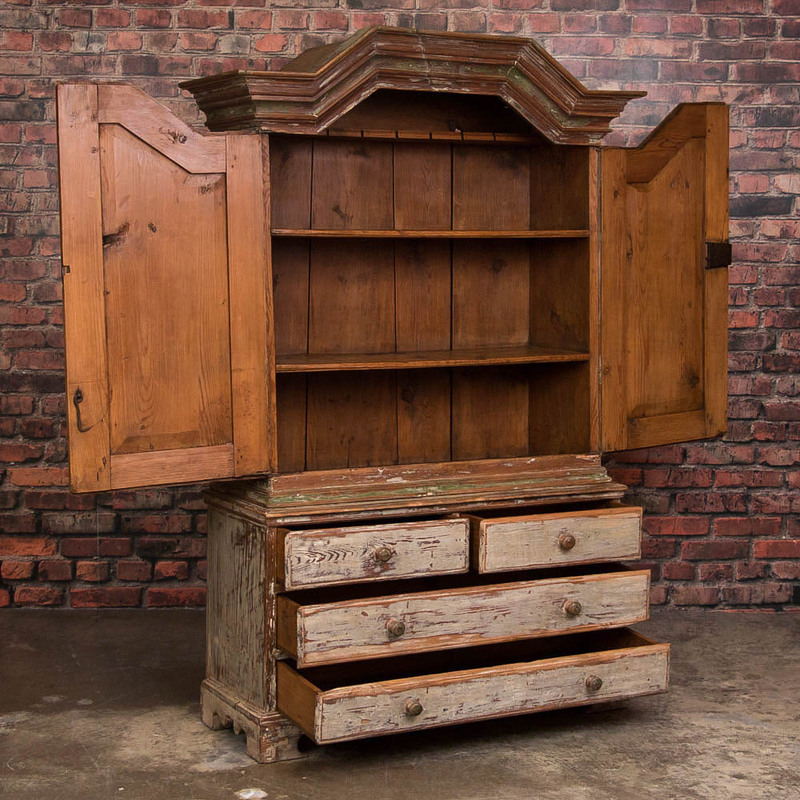 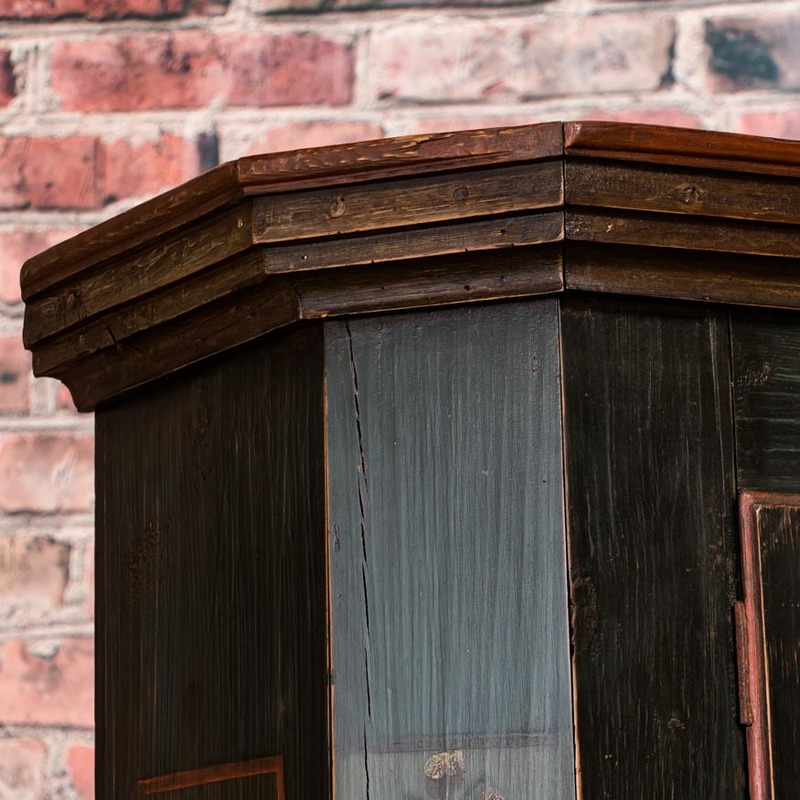 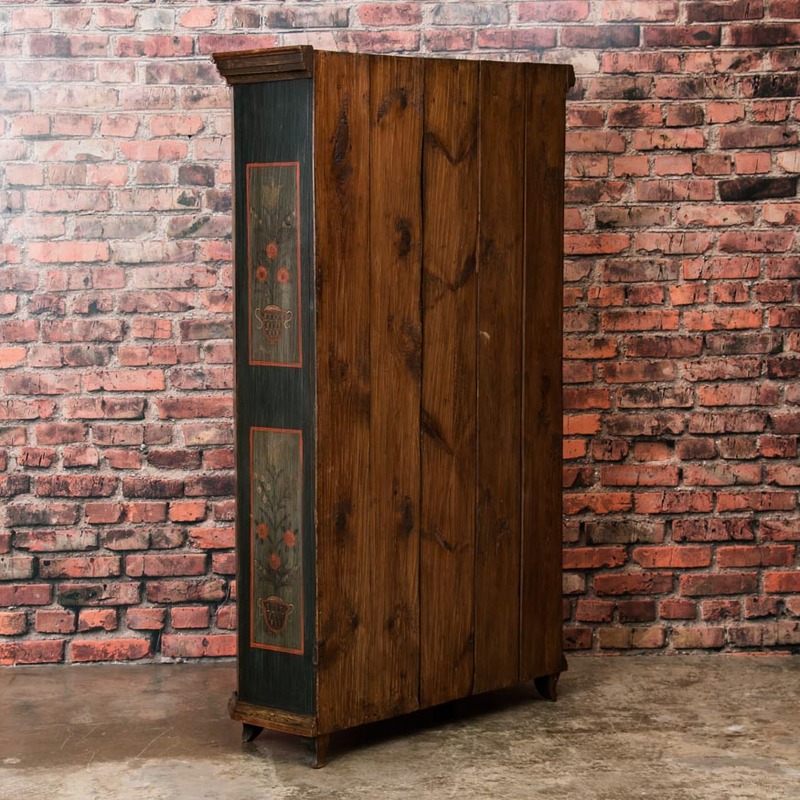 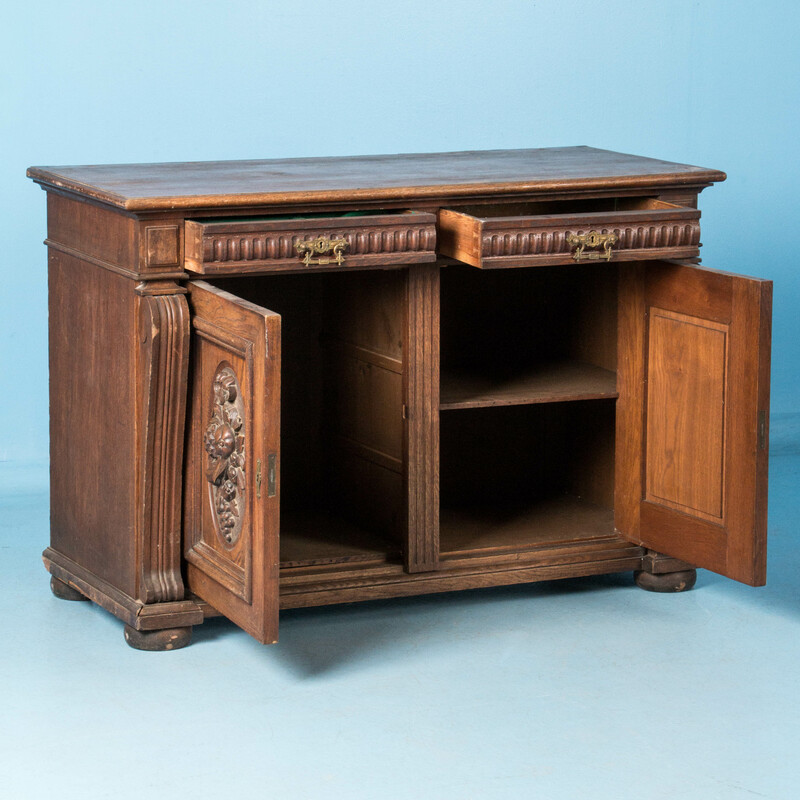 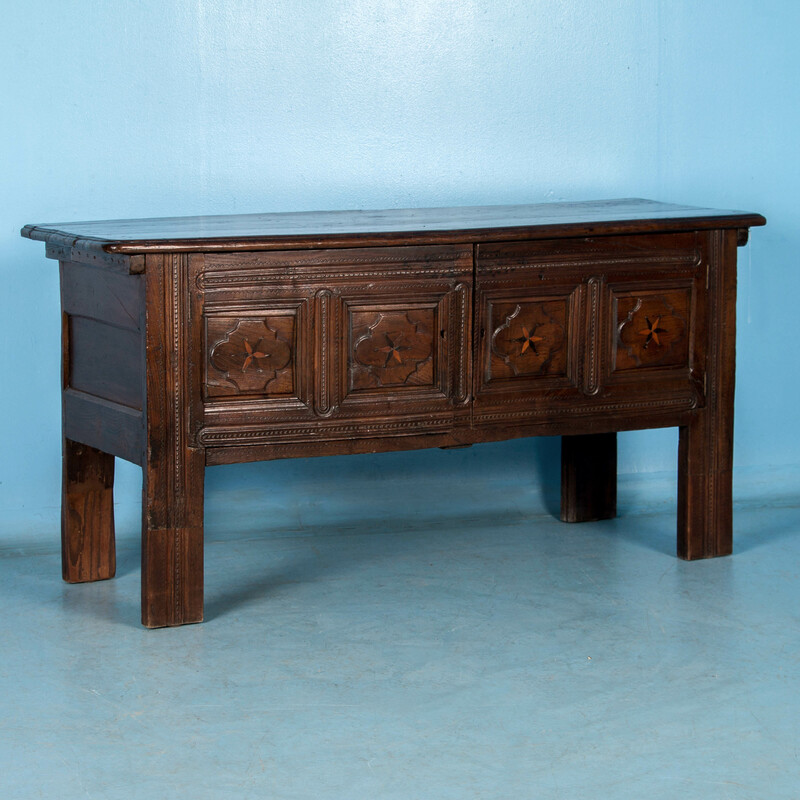 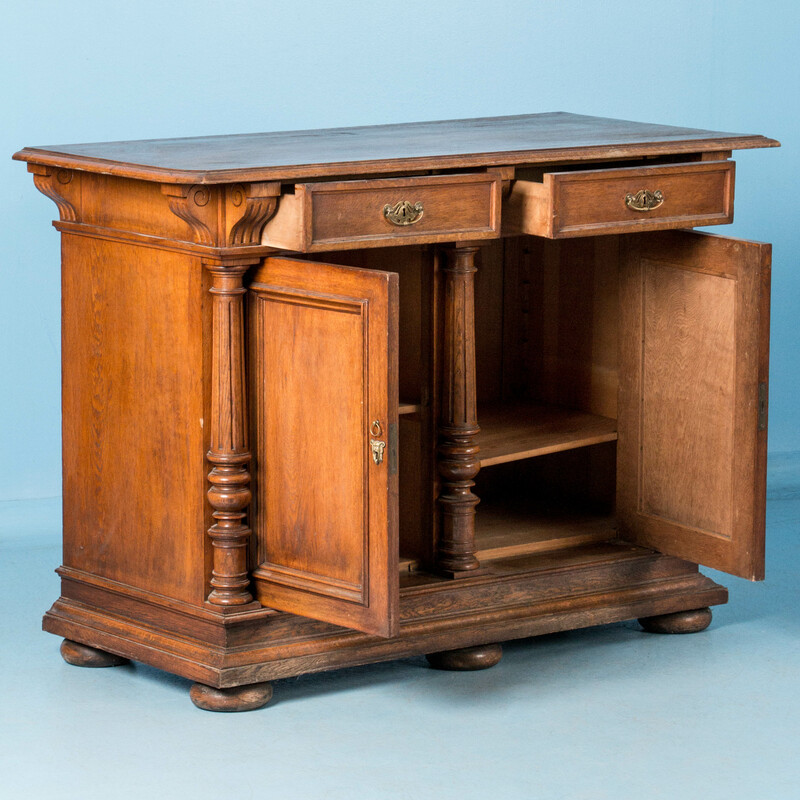 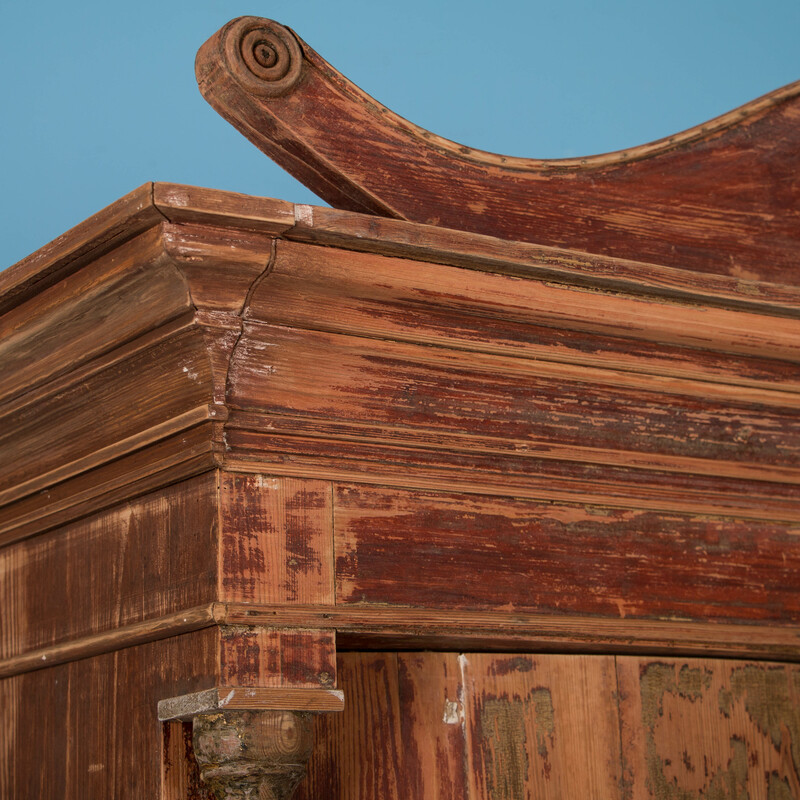 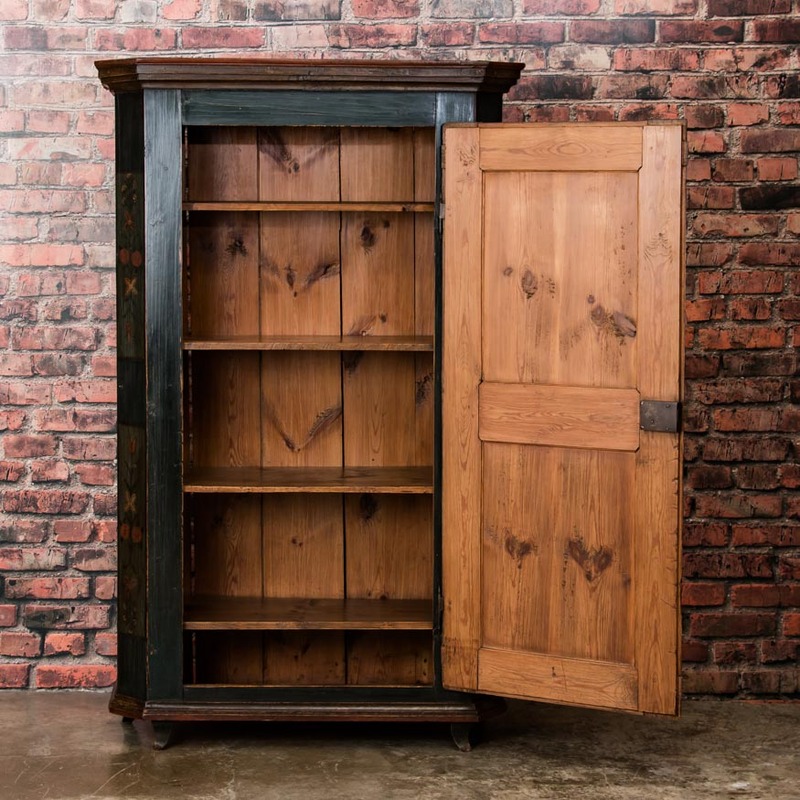 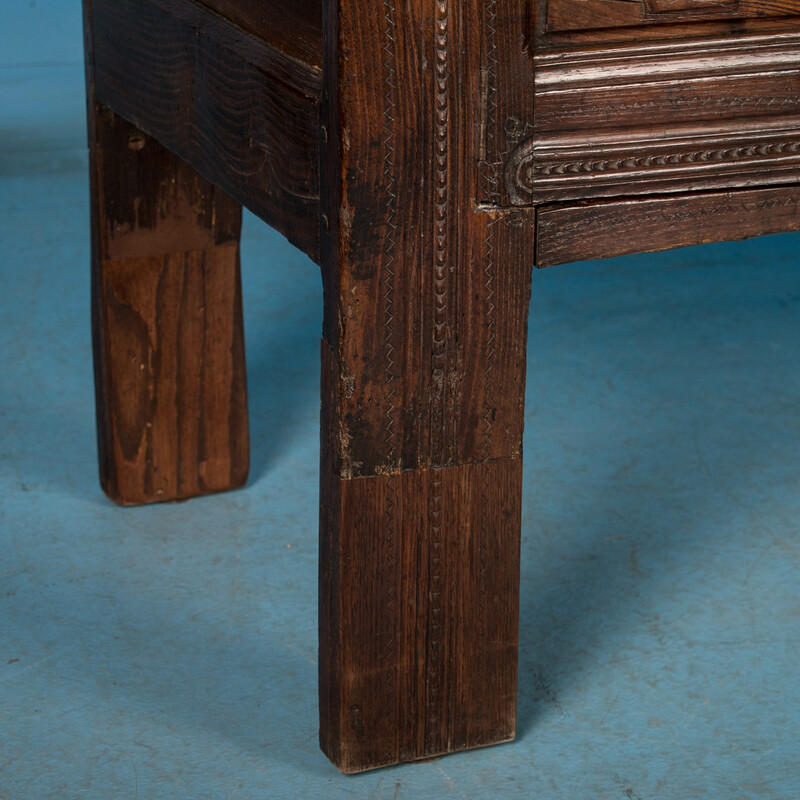 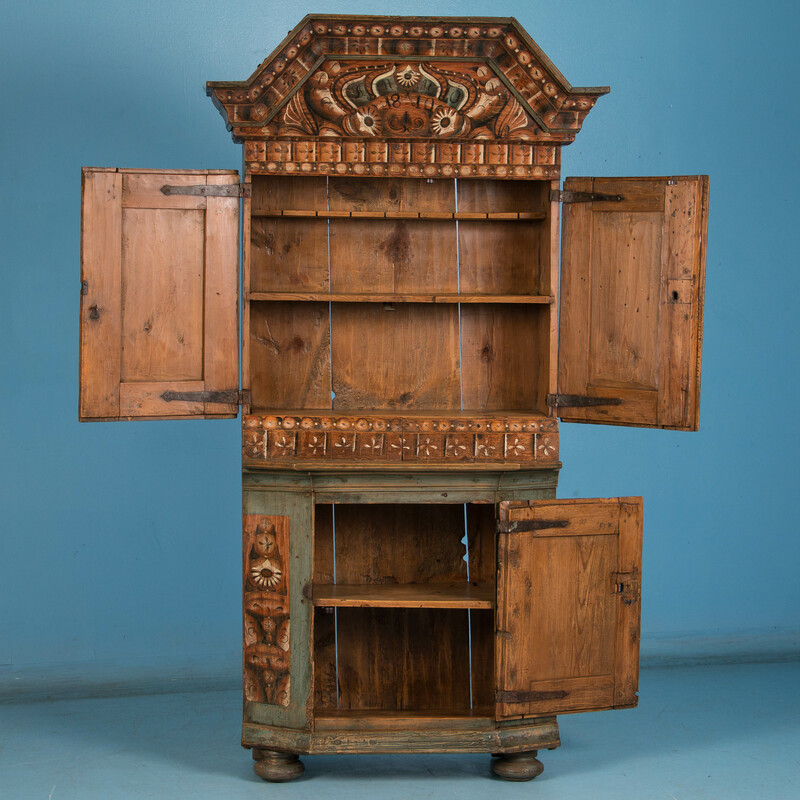 The cabinet is in 2 pieces - the bottom with 3 dovetailed drawers on bracket feet and the top comprising 2 doors with raised panels with a bold carved diamond pattern. 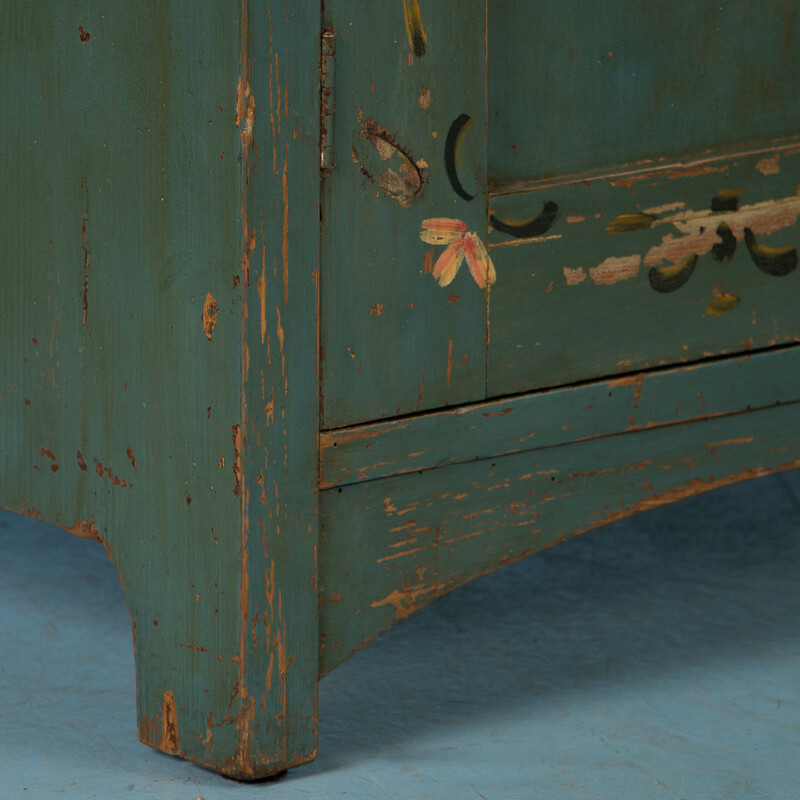 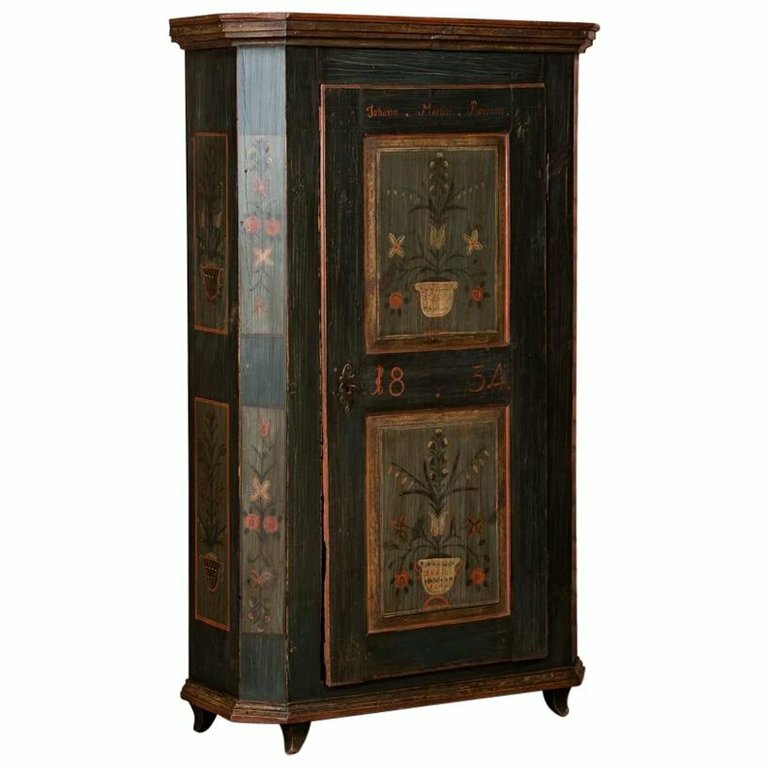 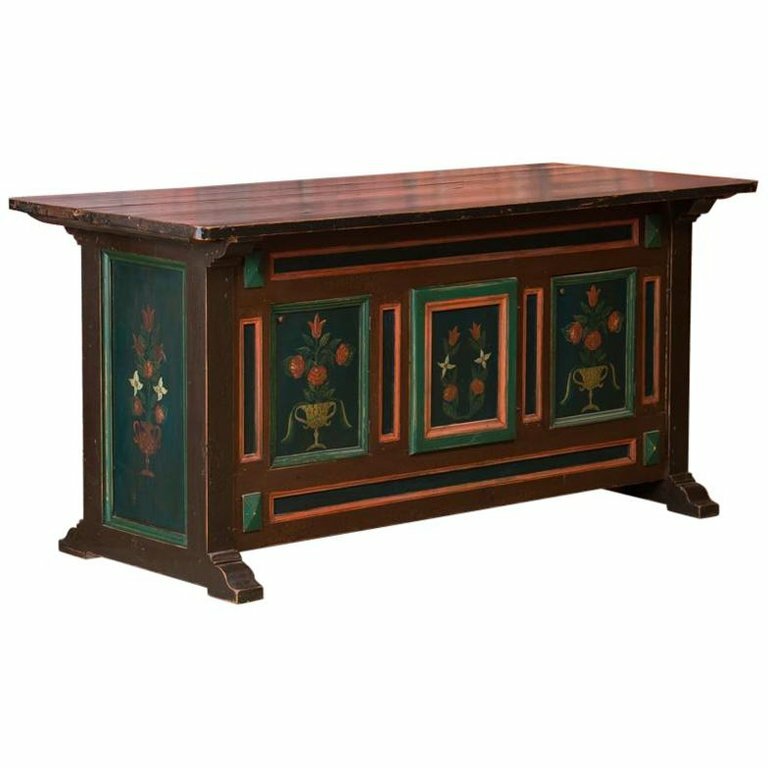 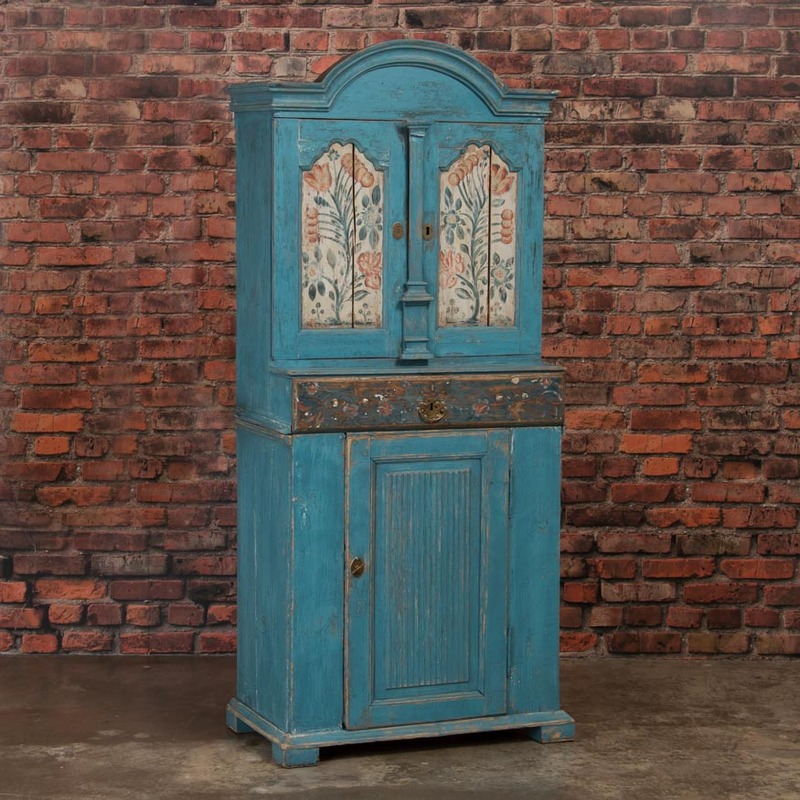 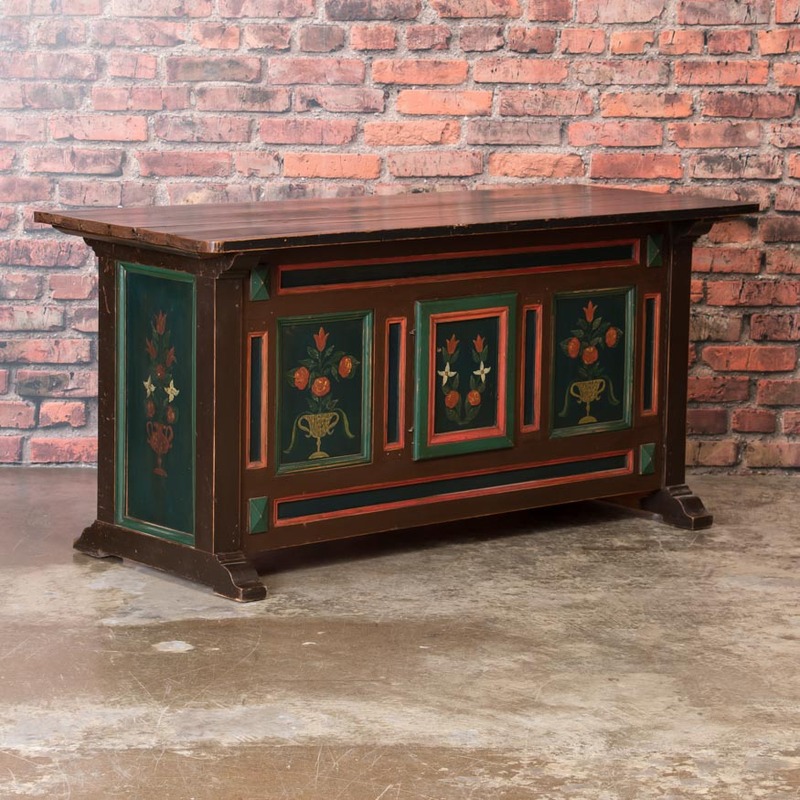 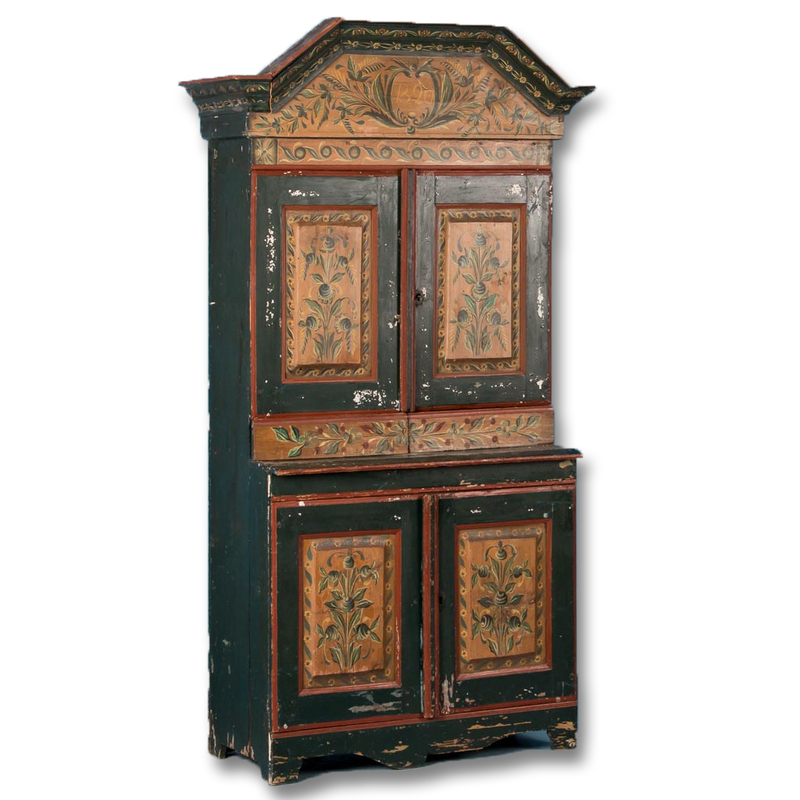 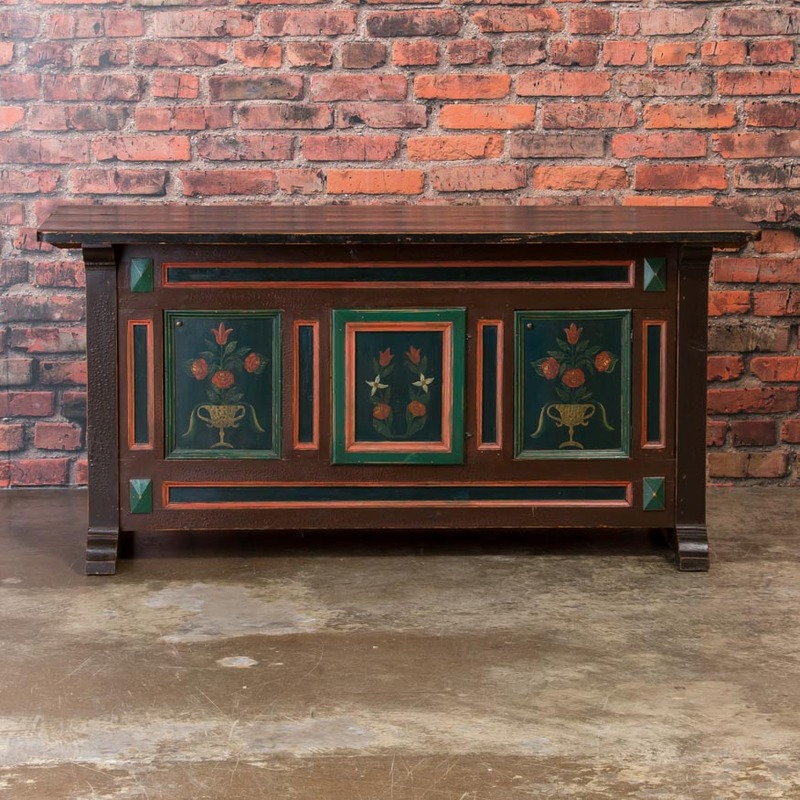 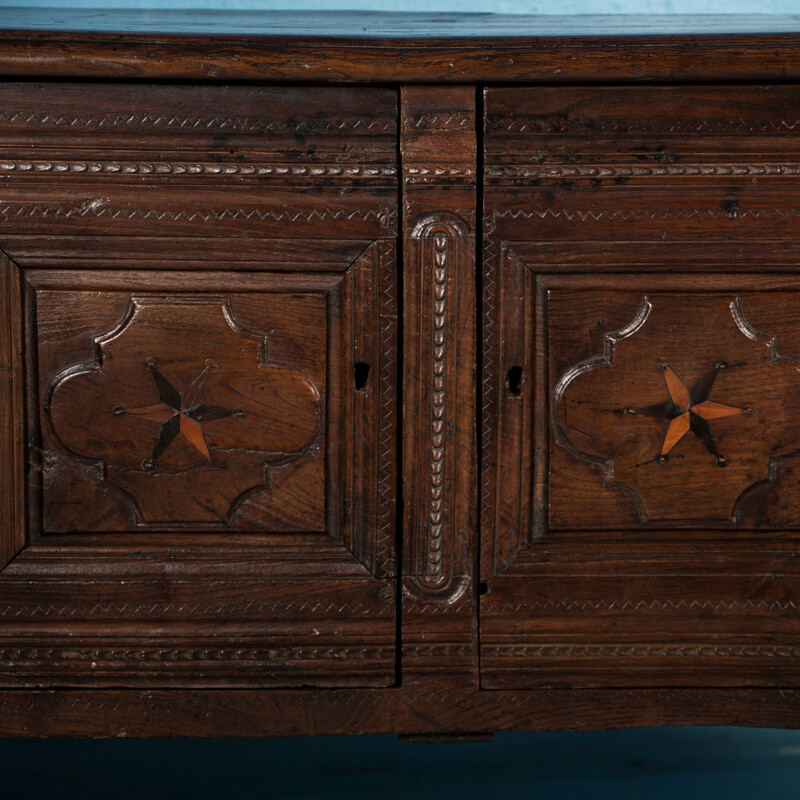 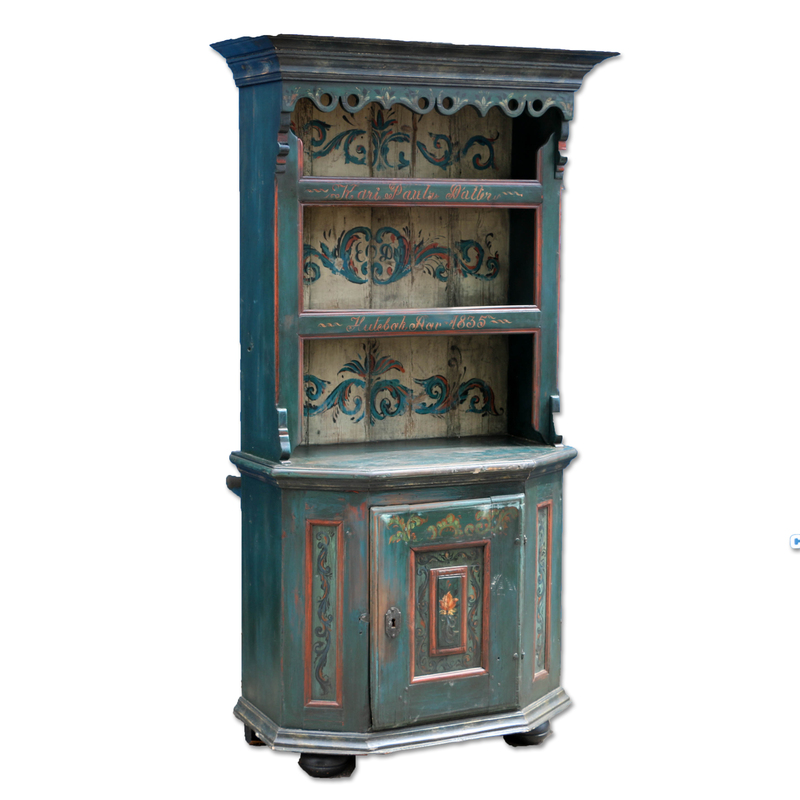 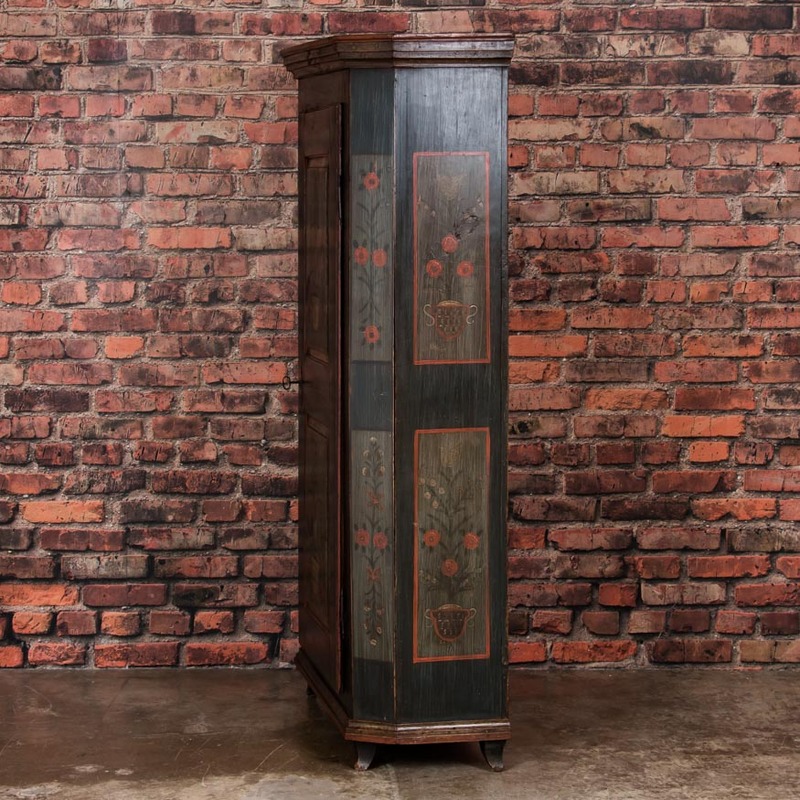 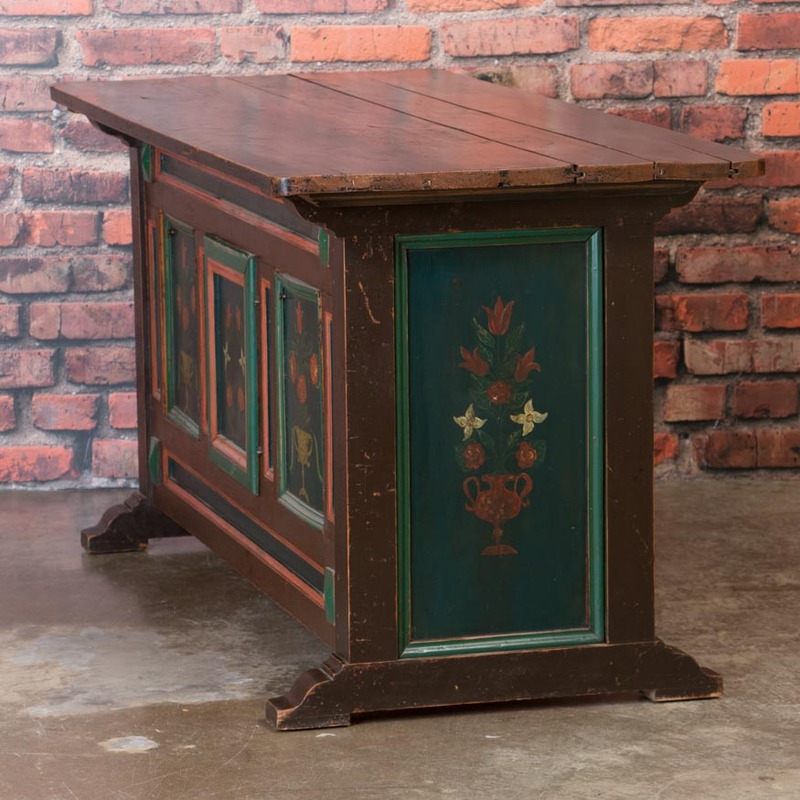 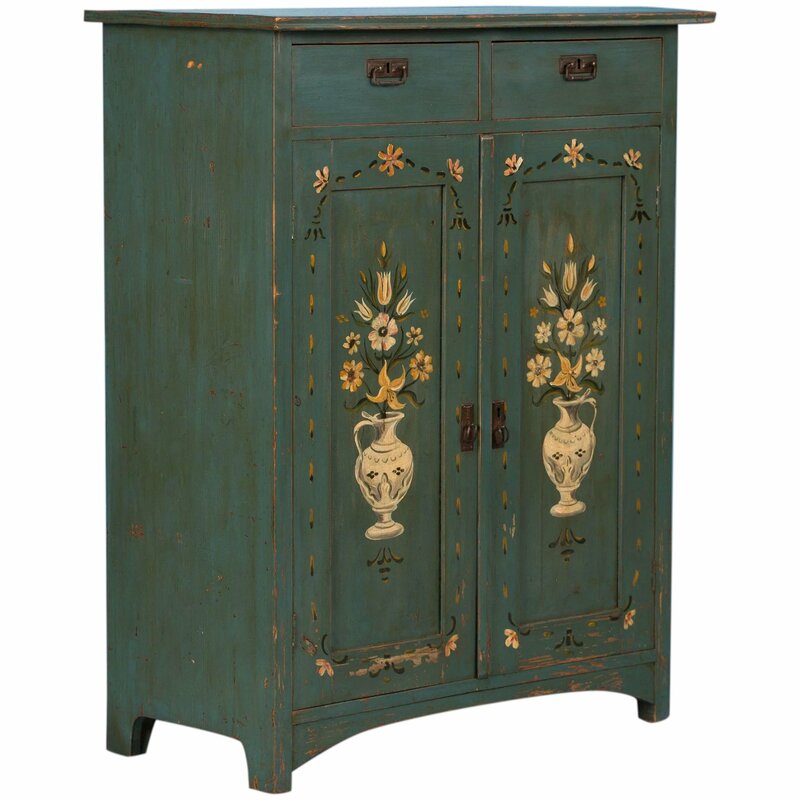 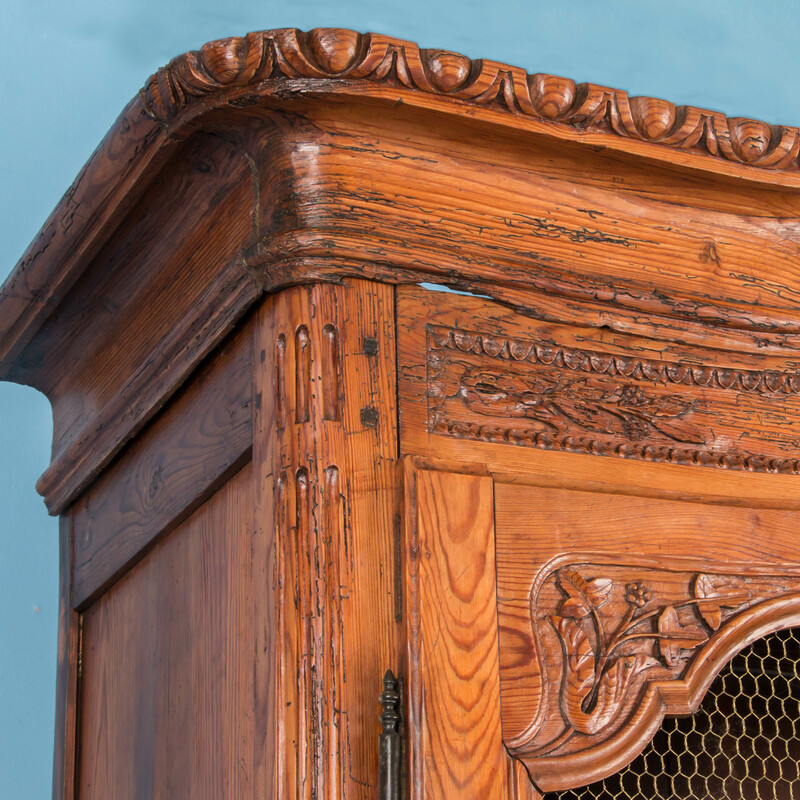 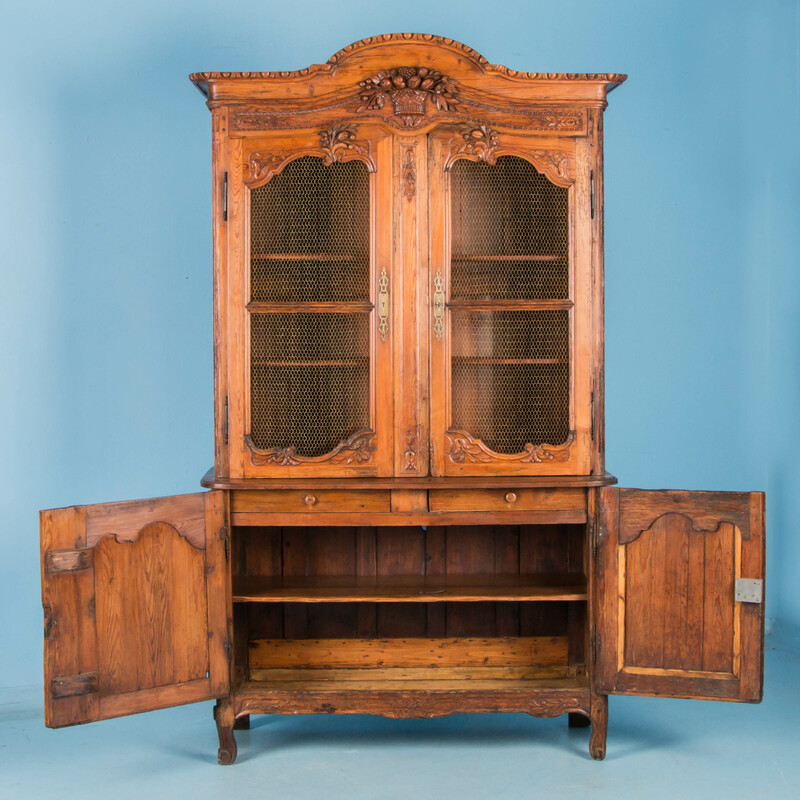 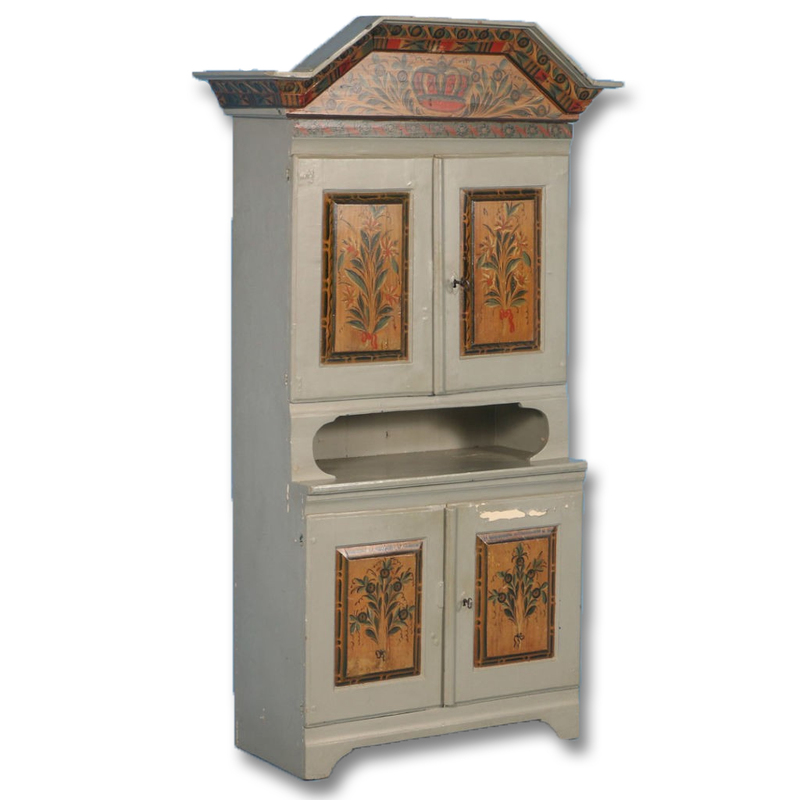 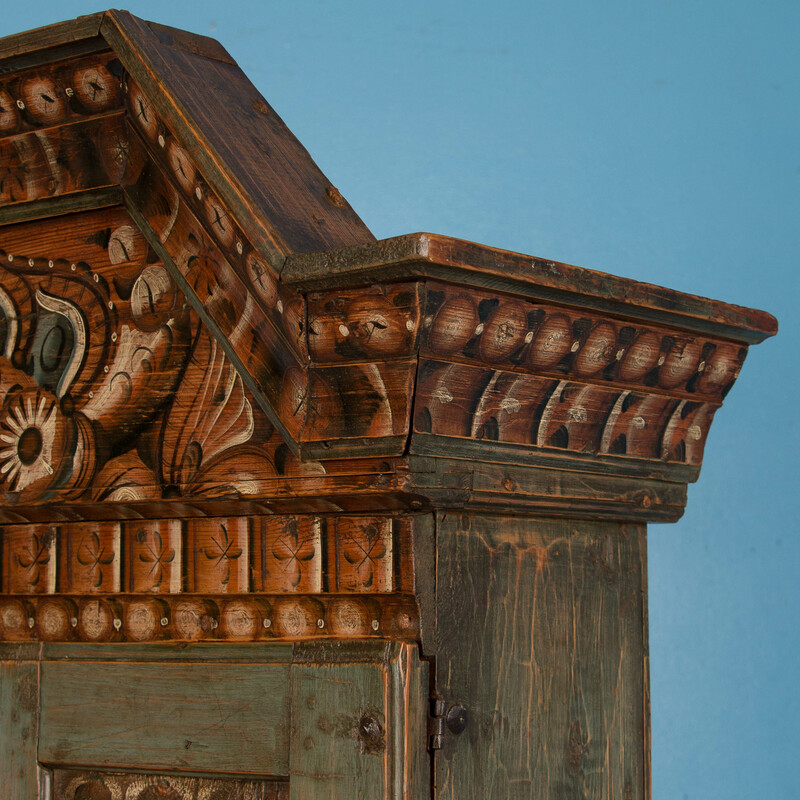 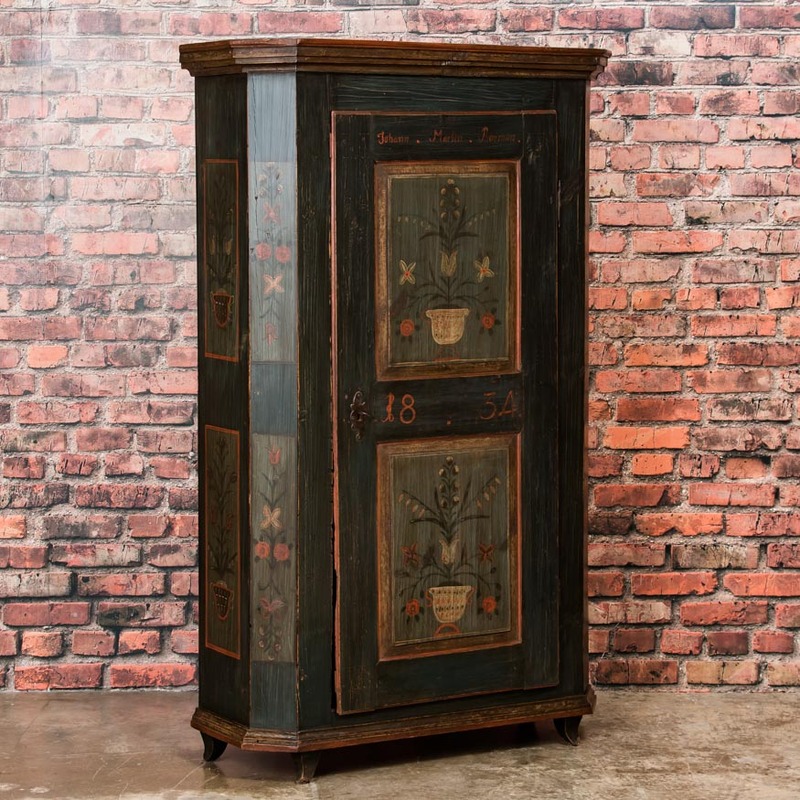 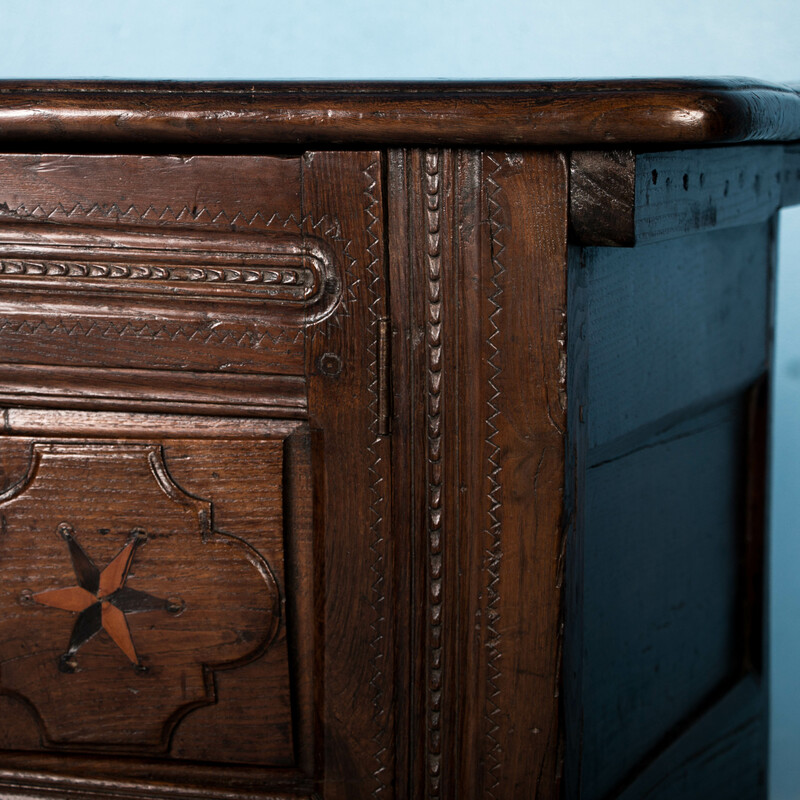 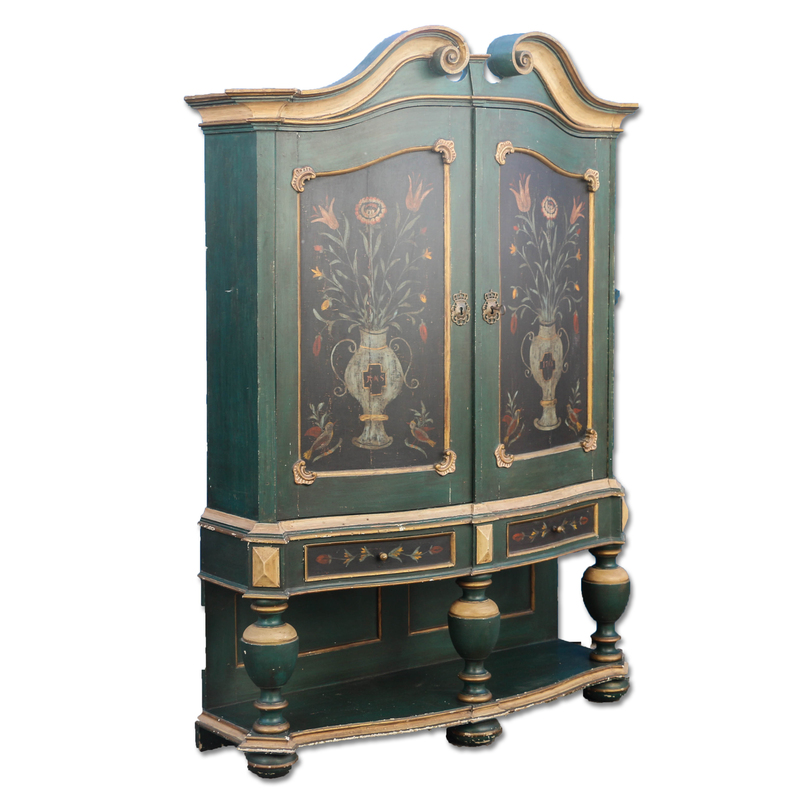 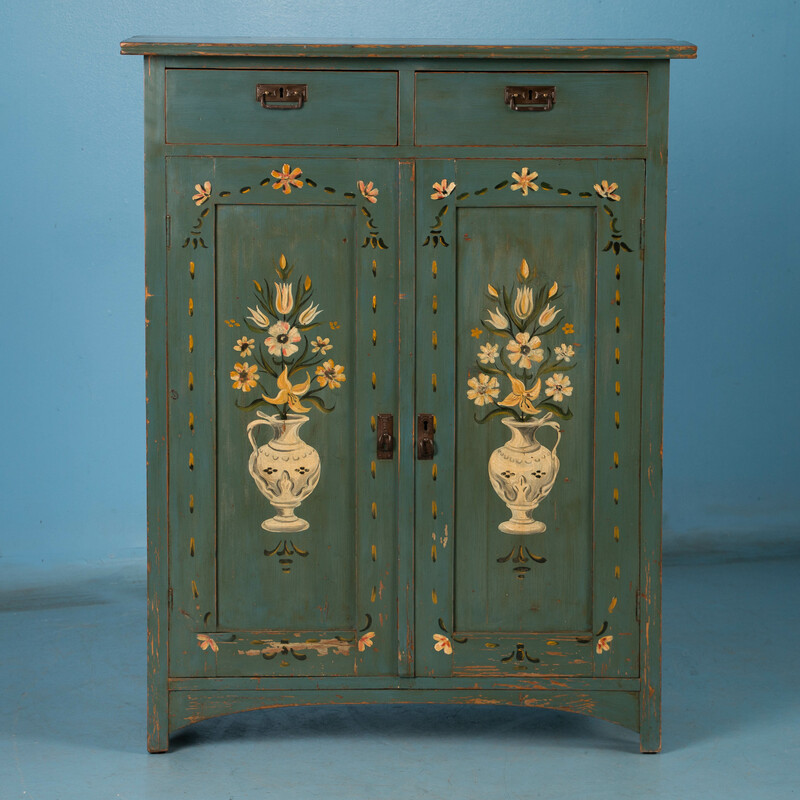 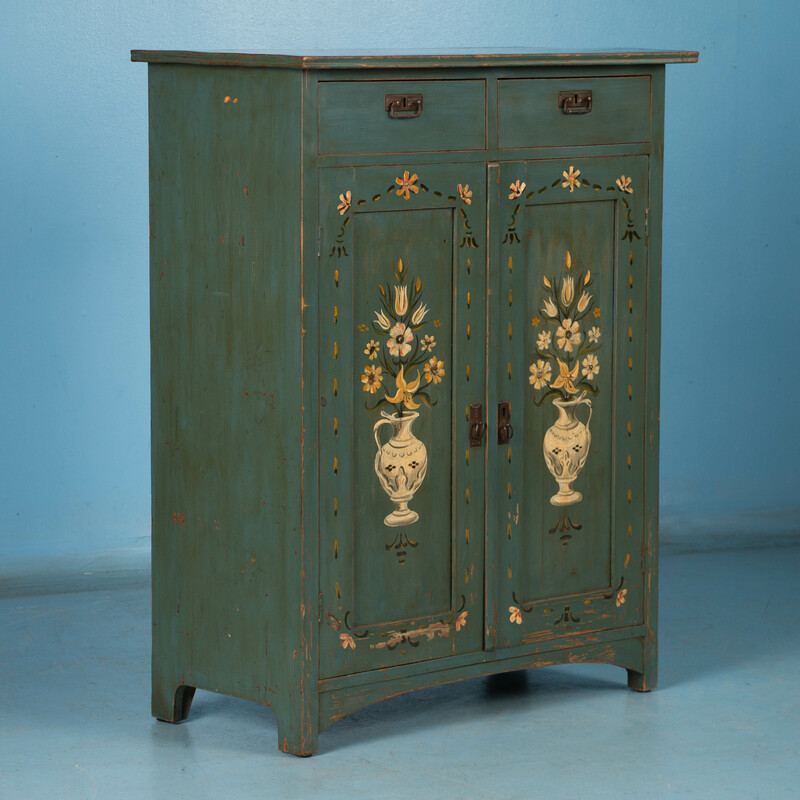 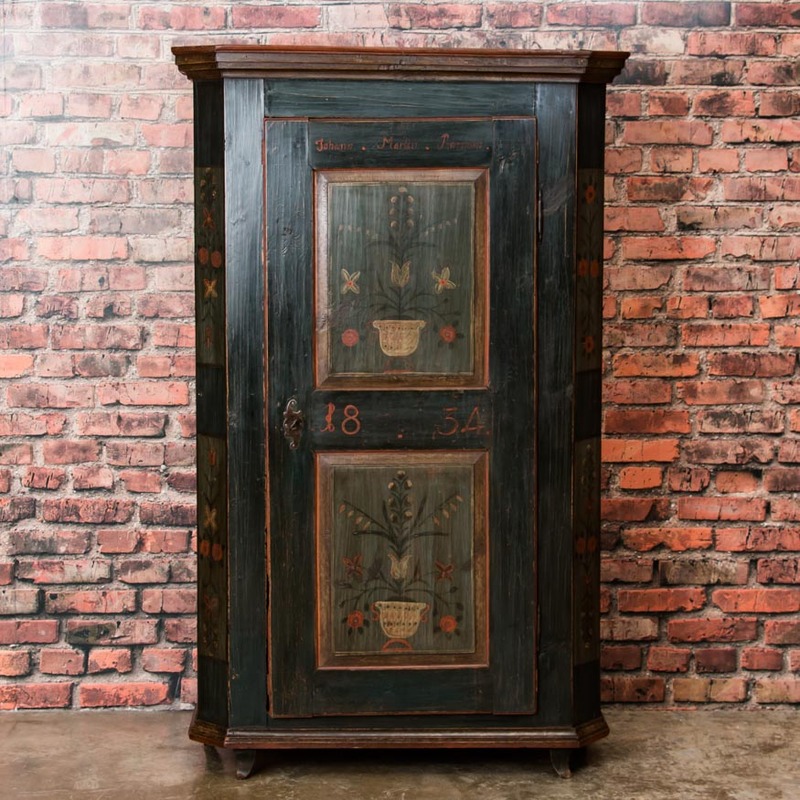 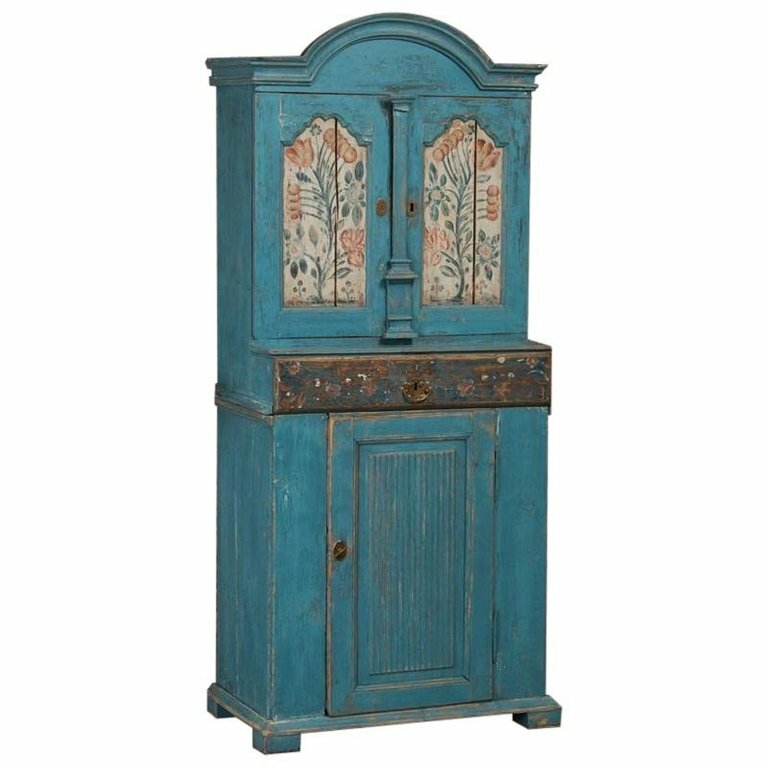 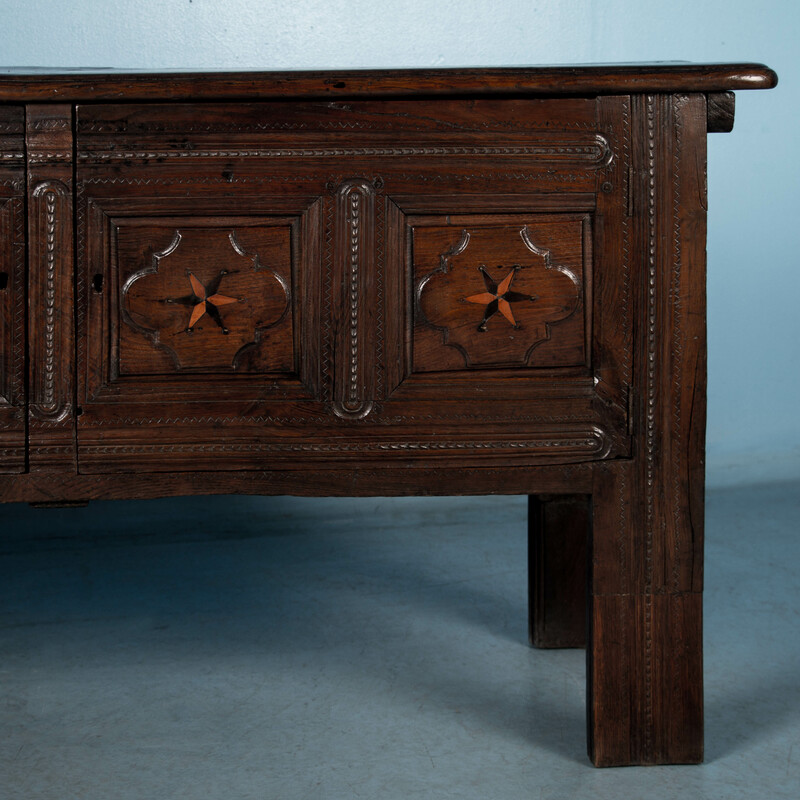 This early 19th century Swedish cabinet retains the original folk art paint with garlands of leaves and flowers. 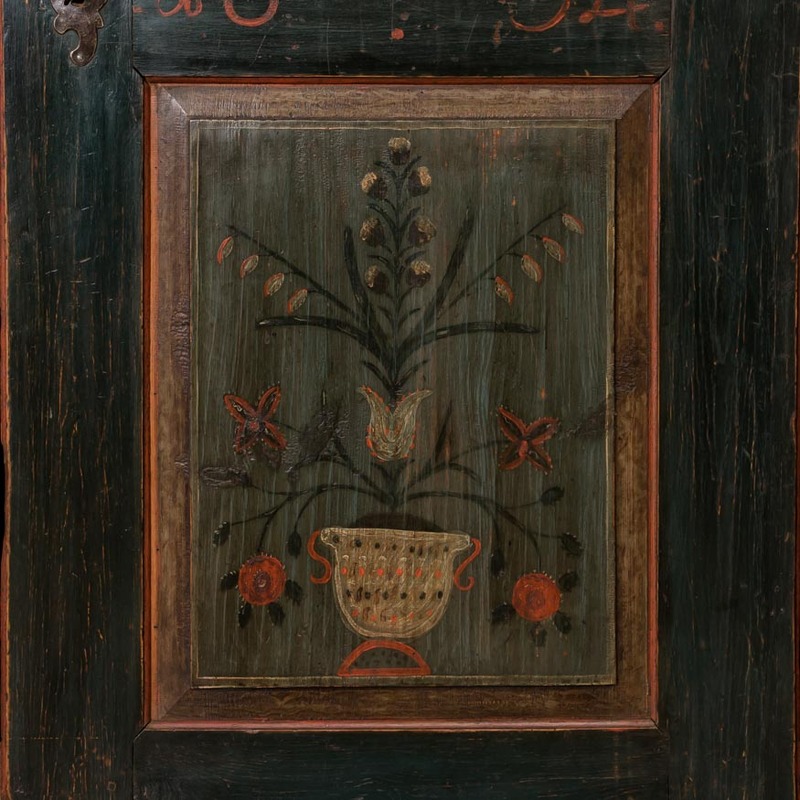 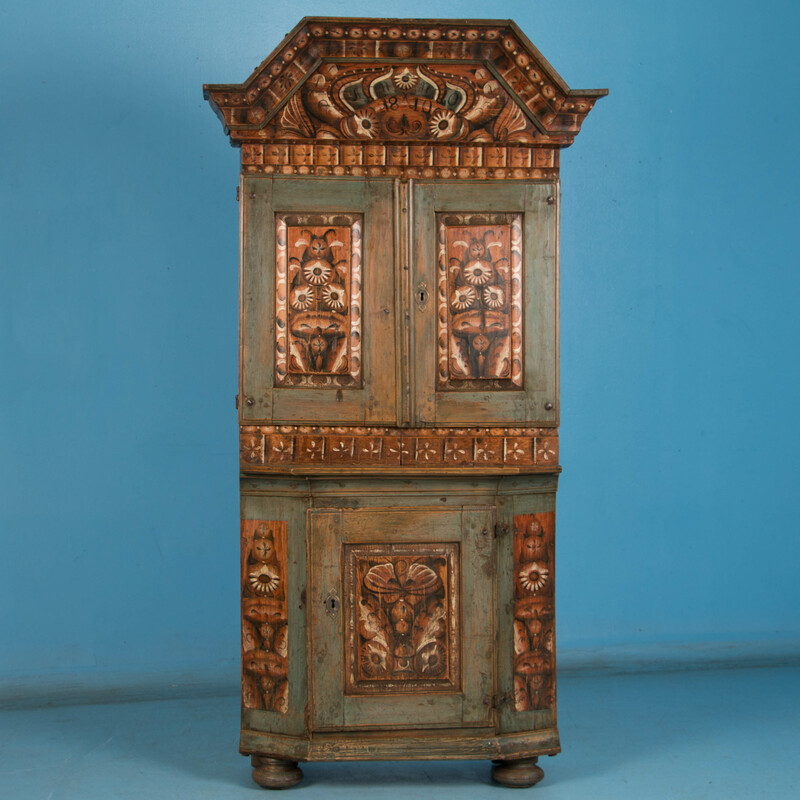 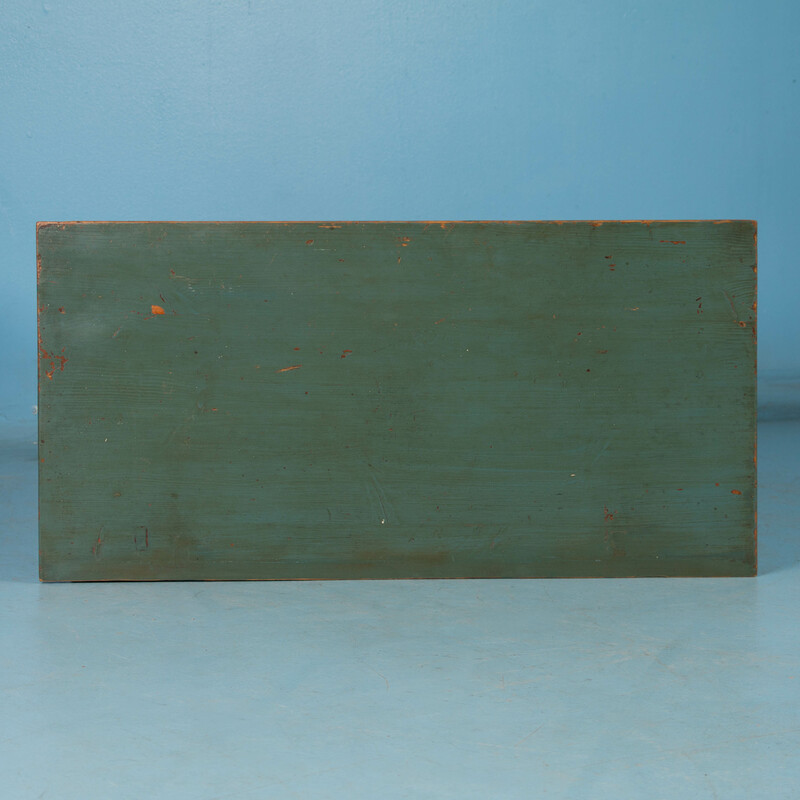 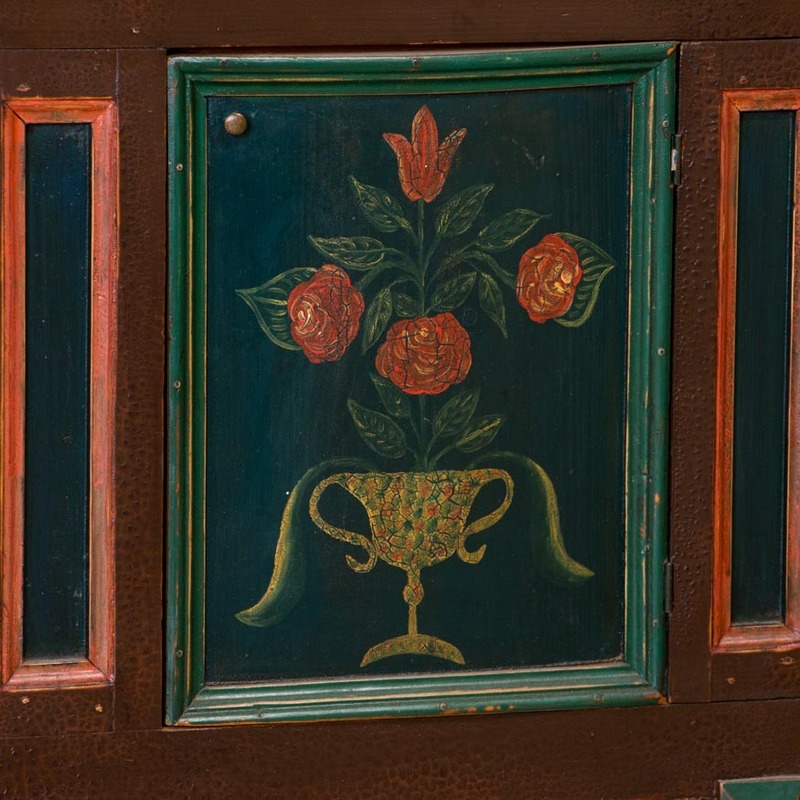 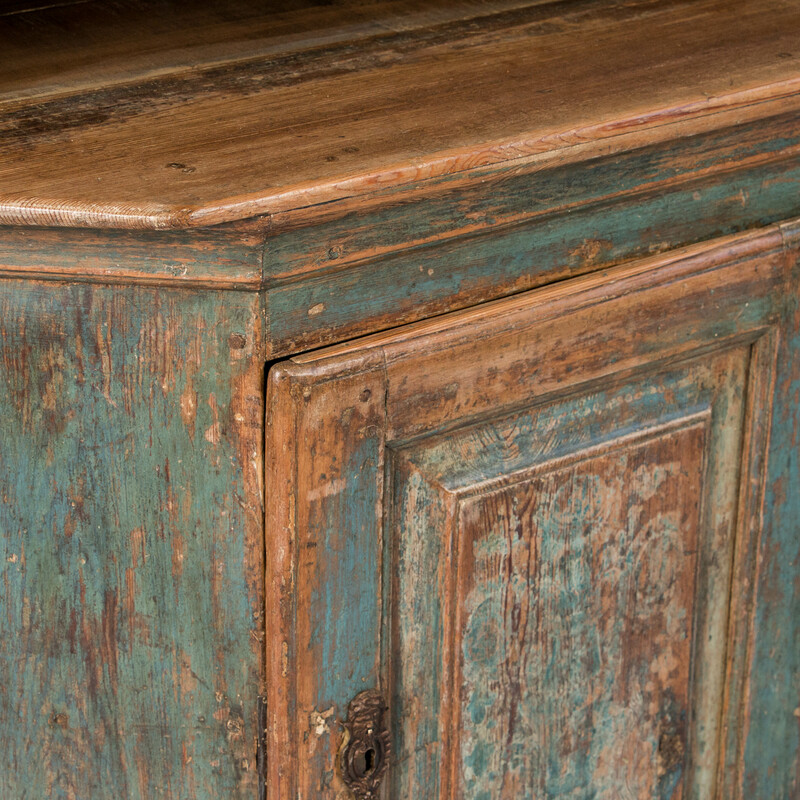 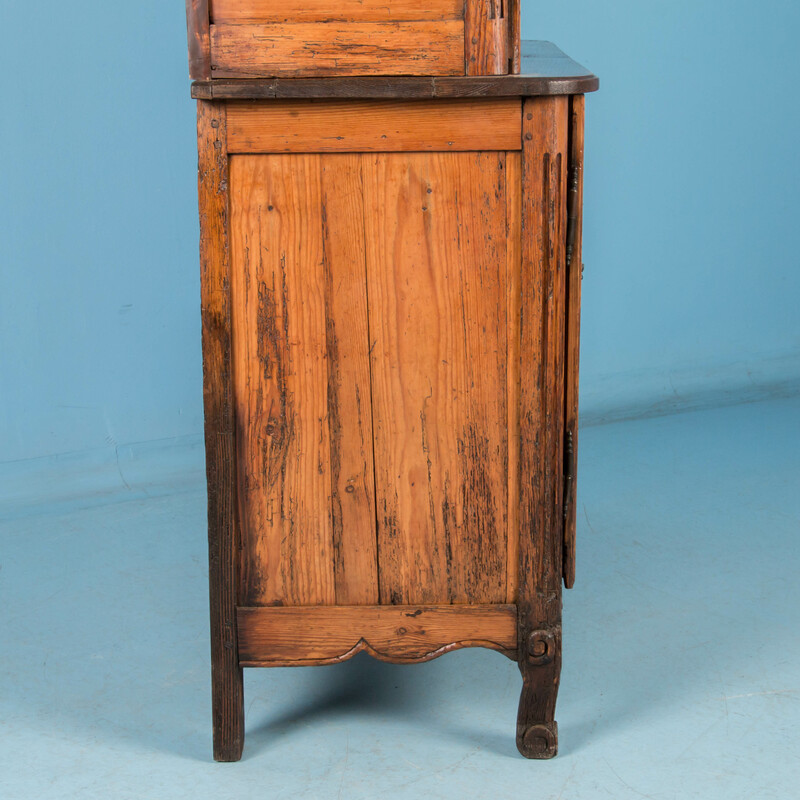 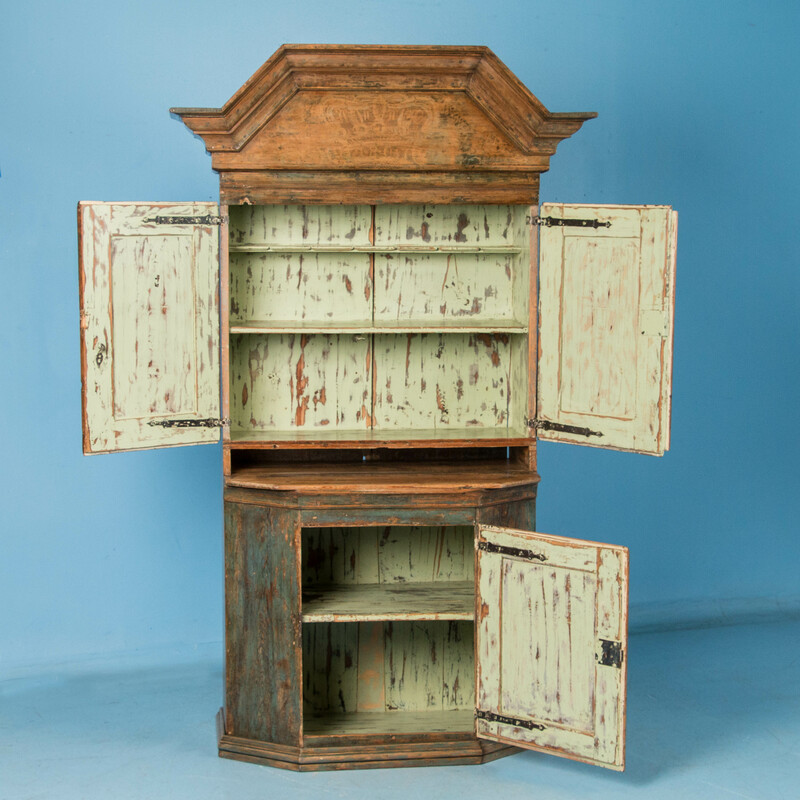 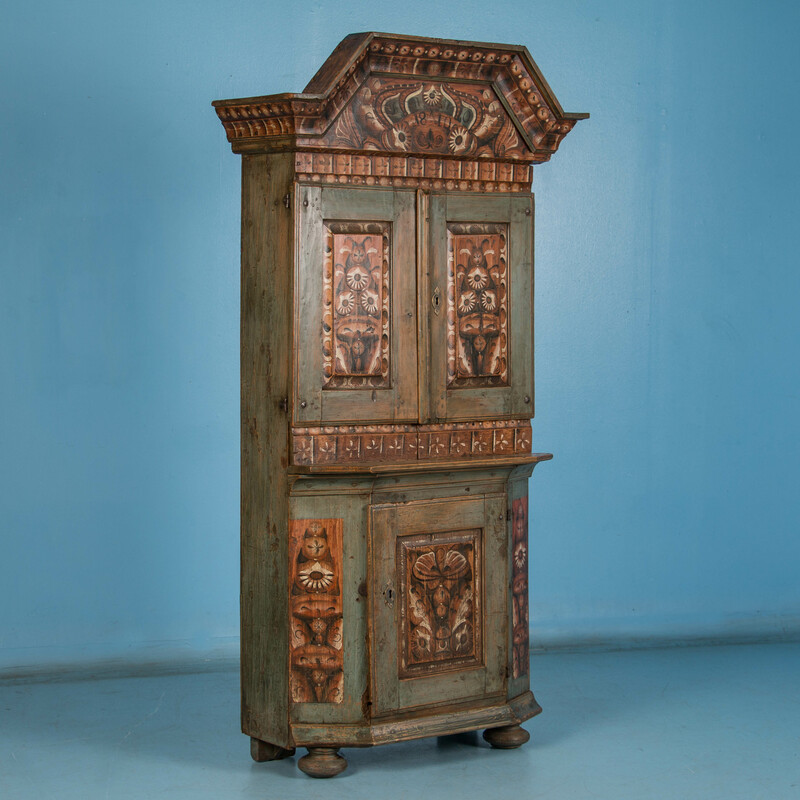 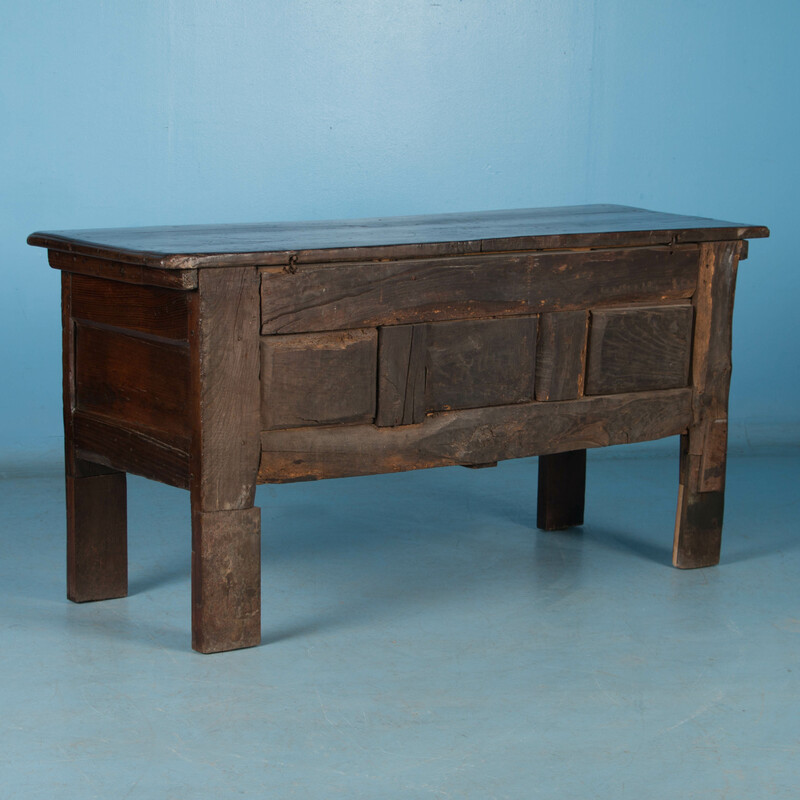 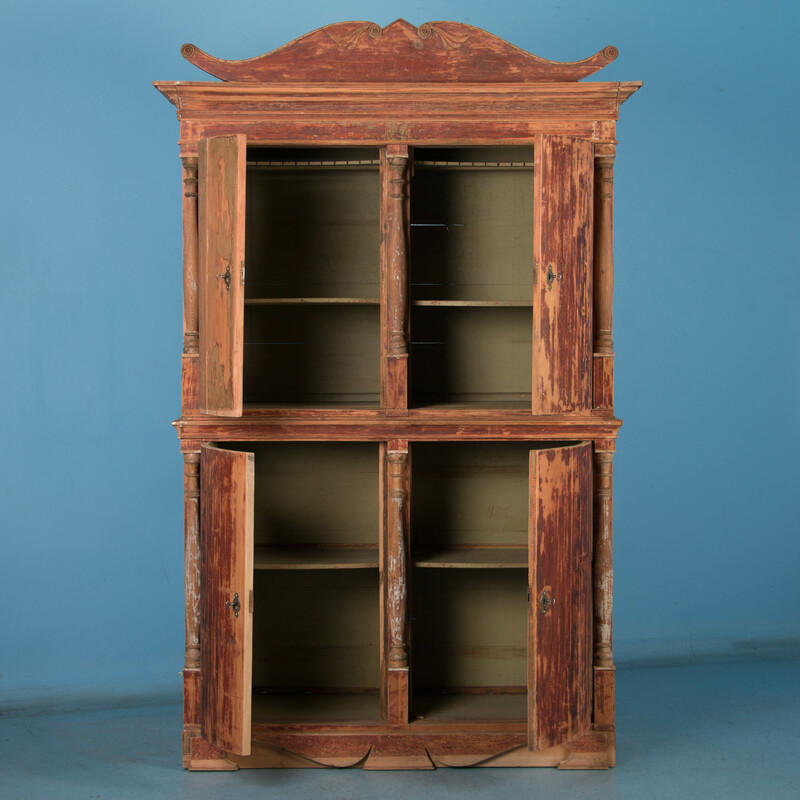 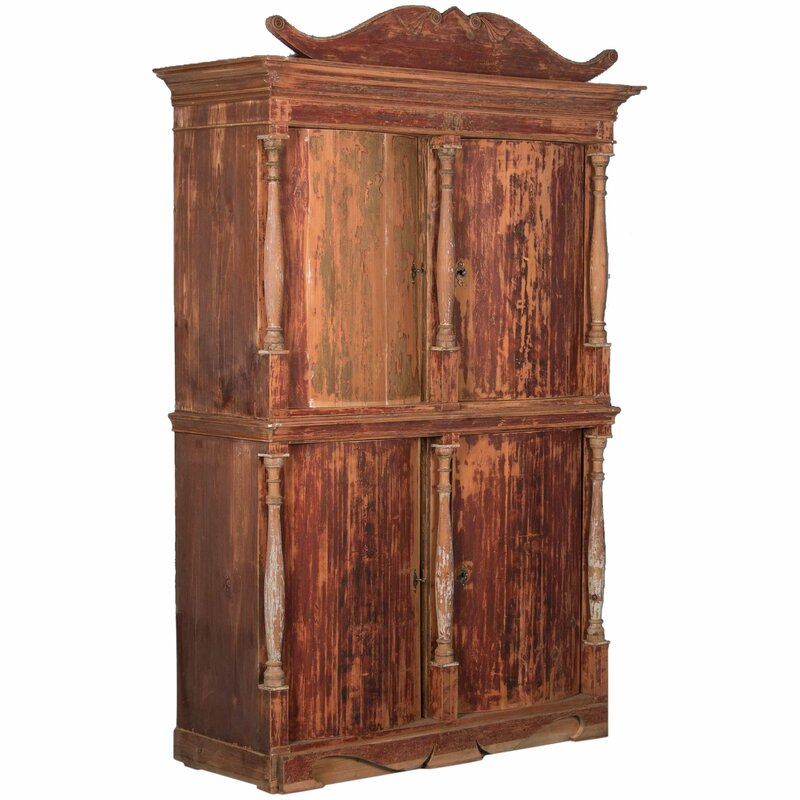 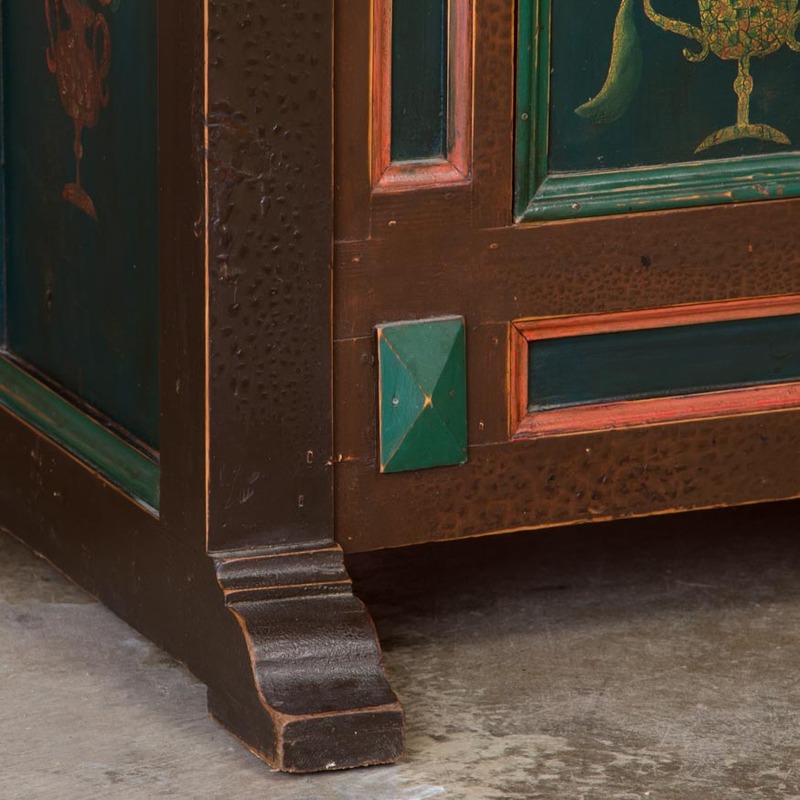 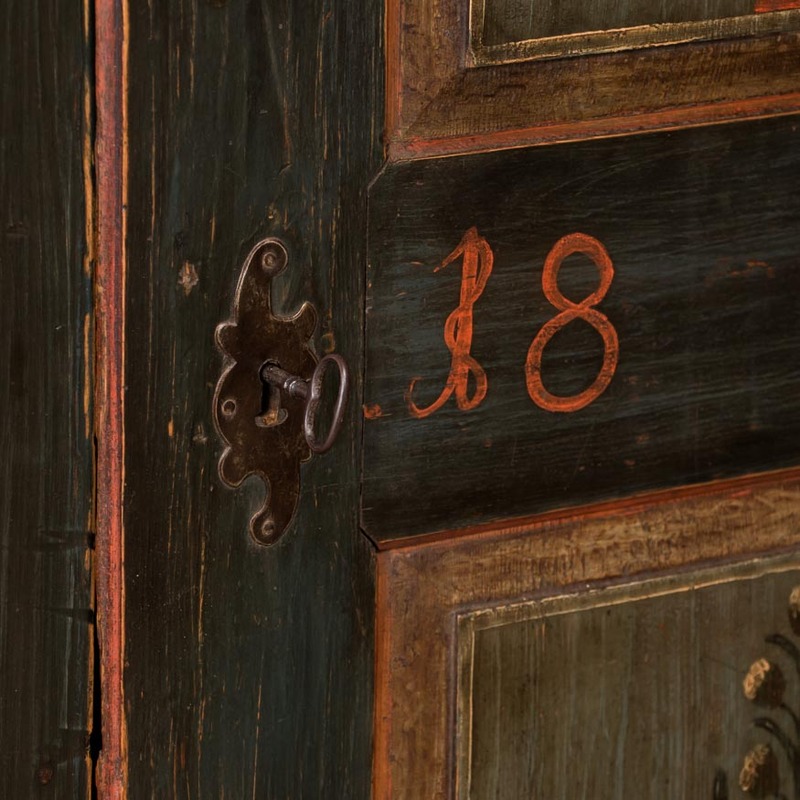 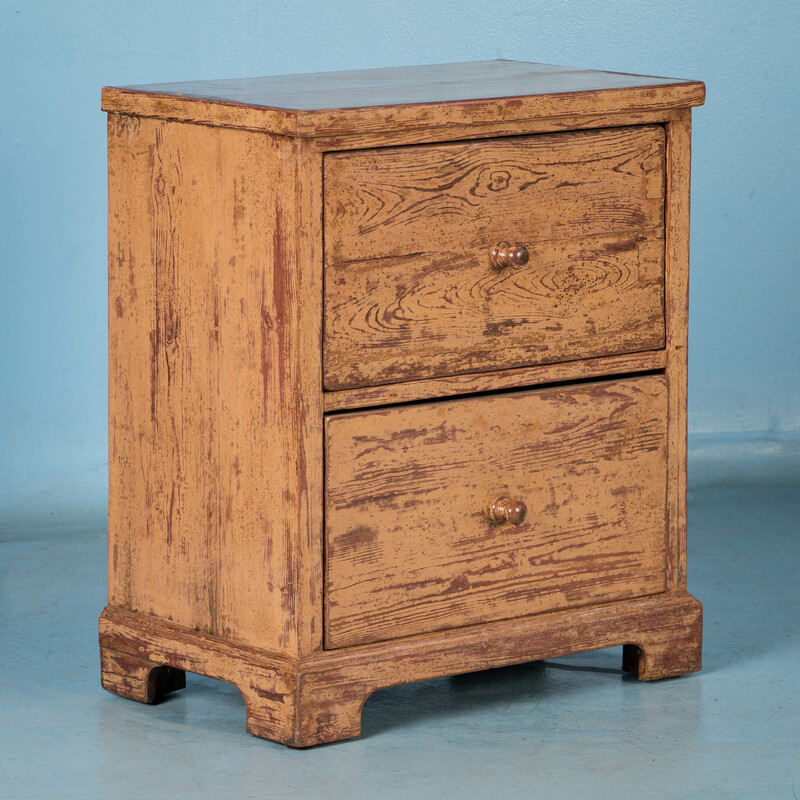 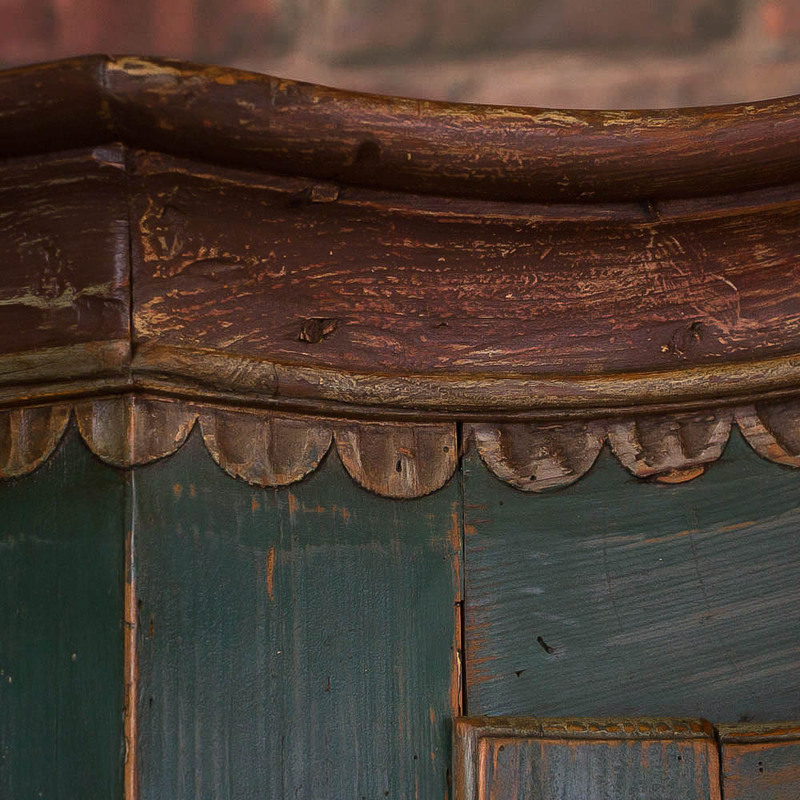 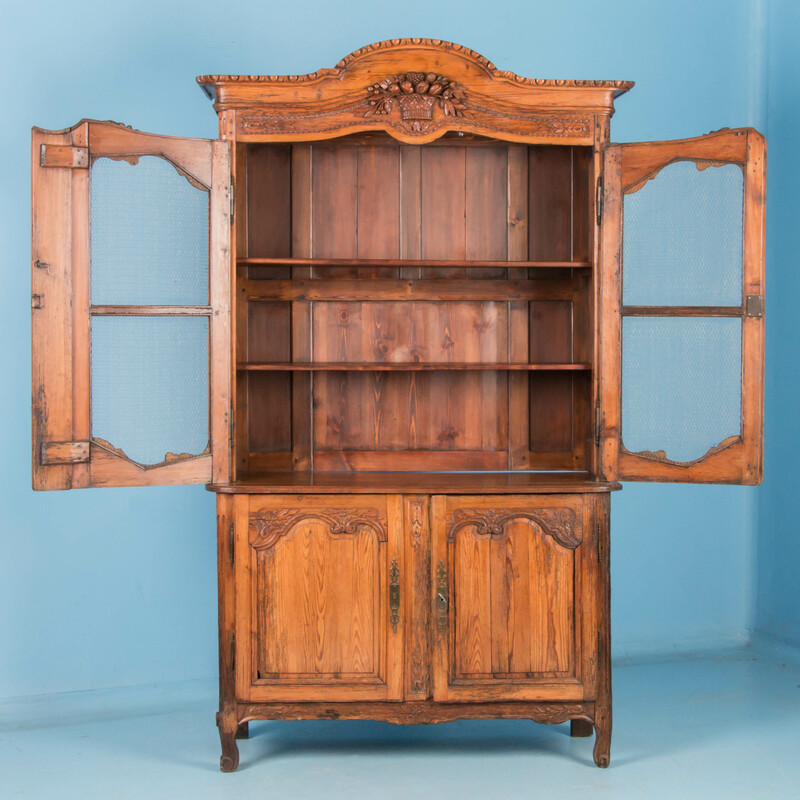 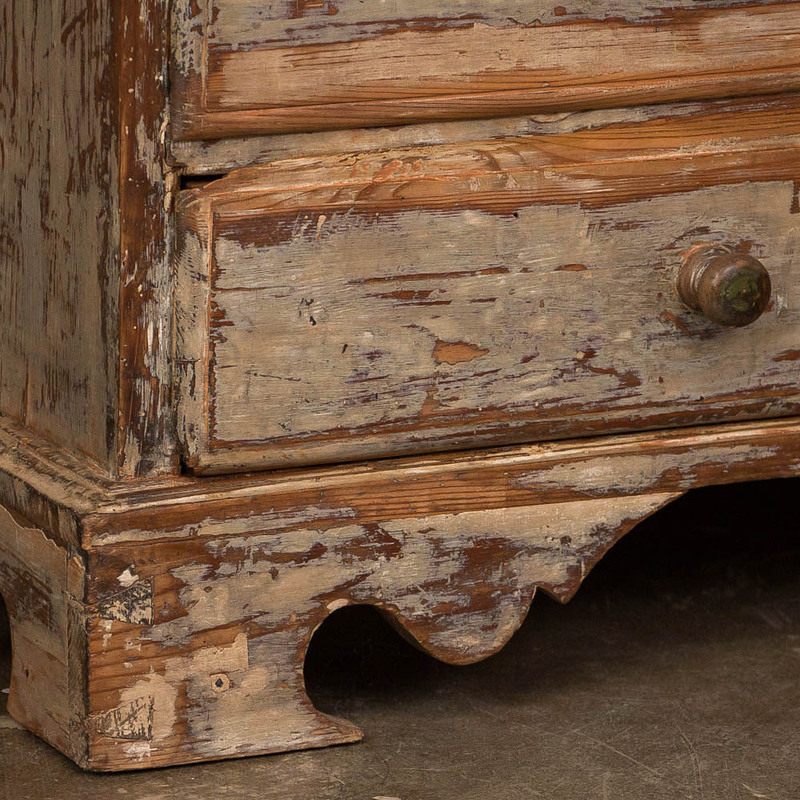 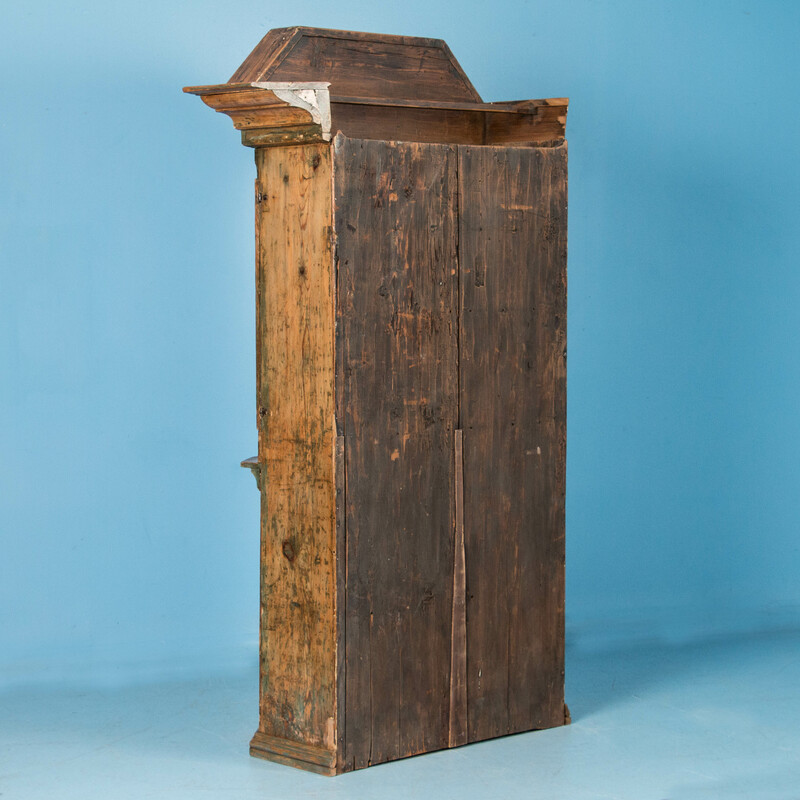 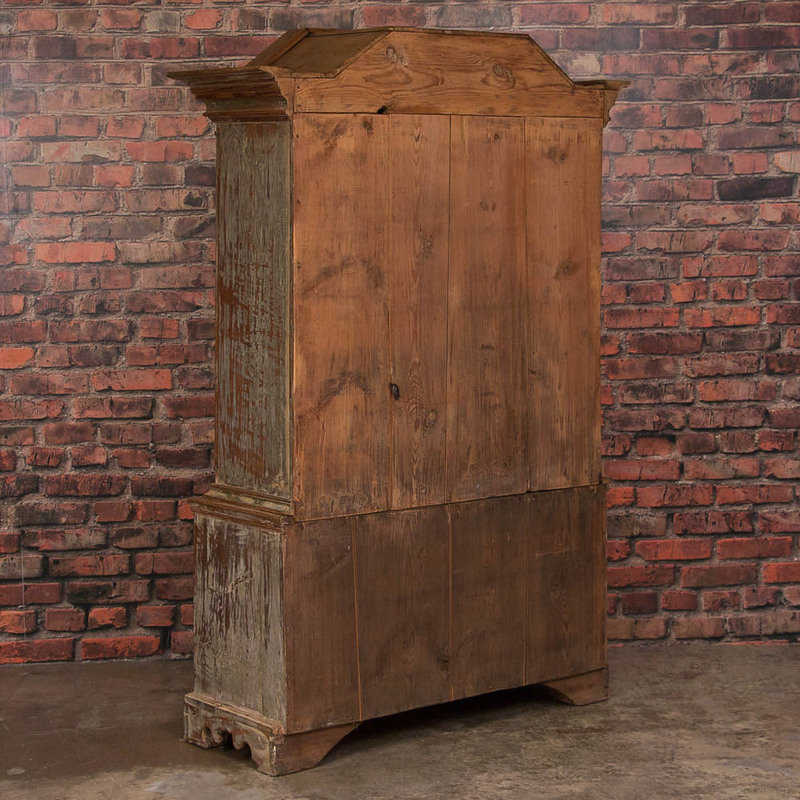 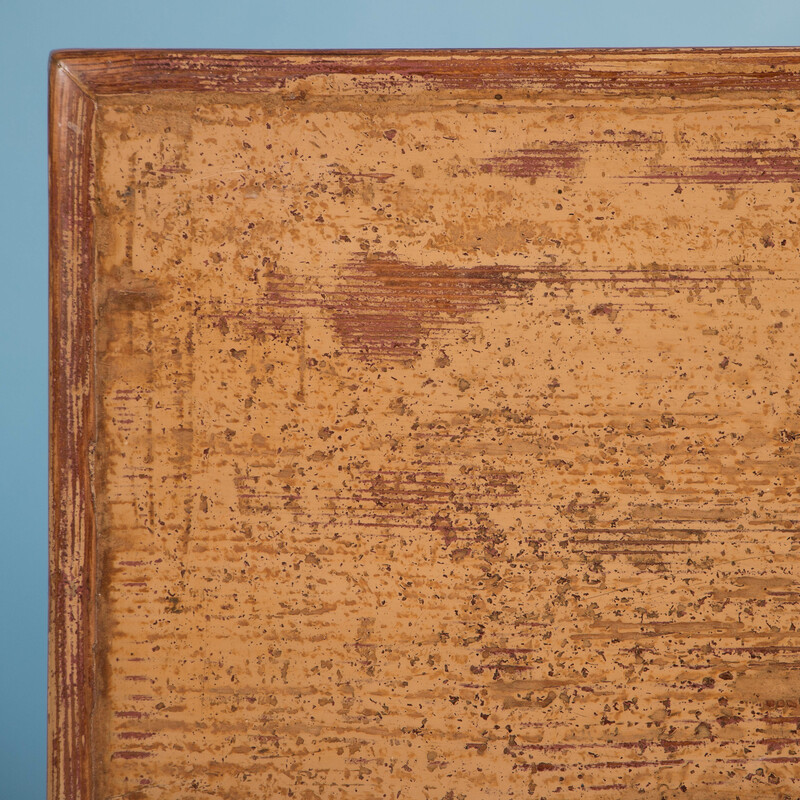 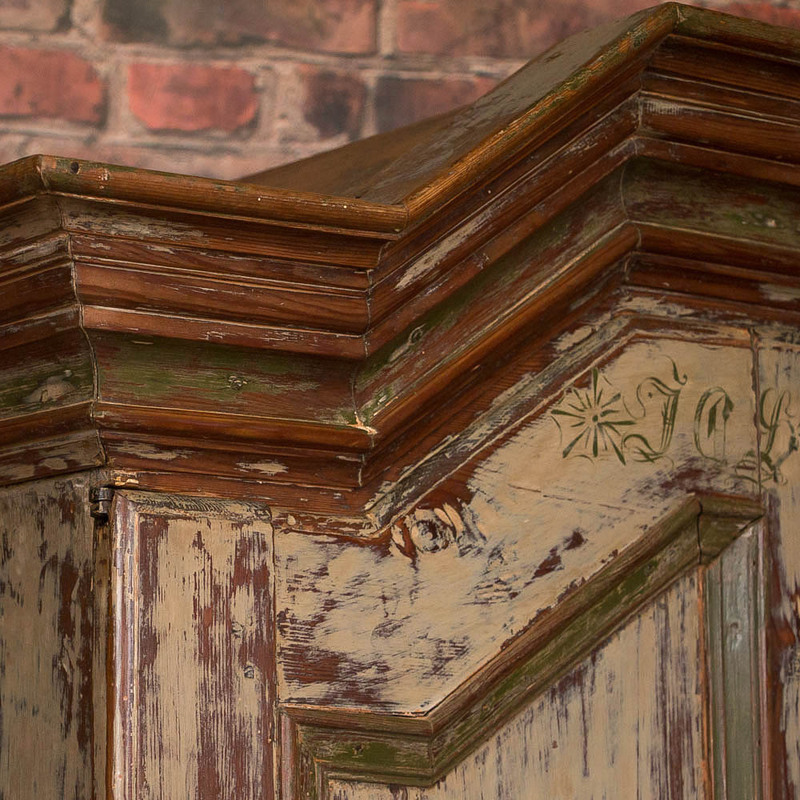 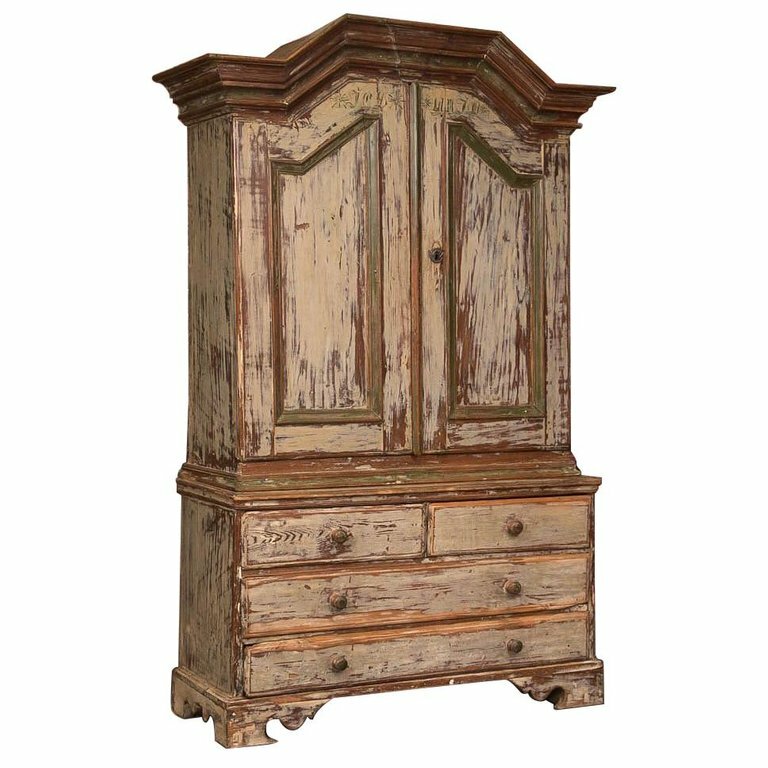 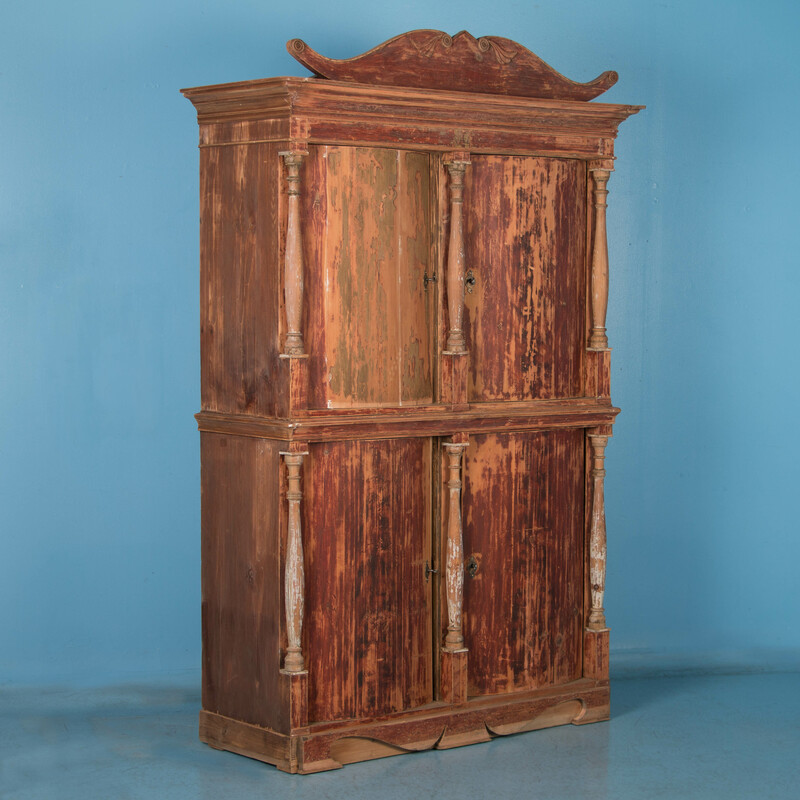 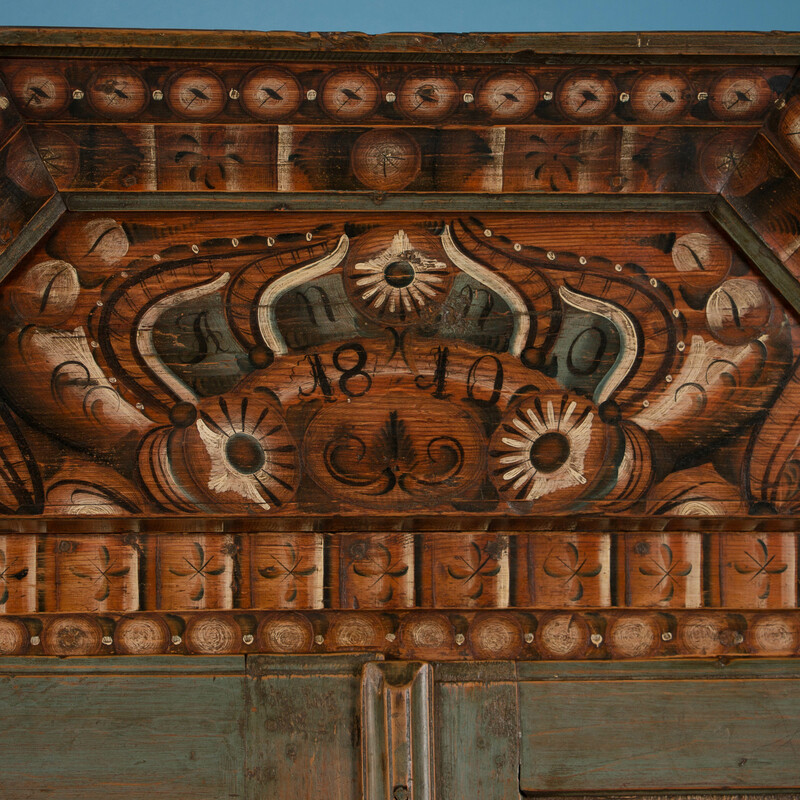 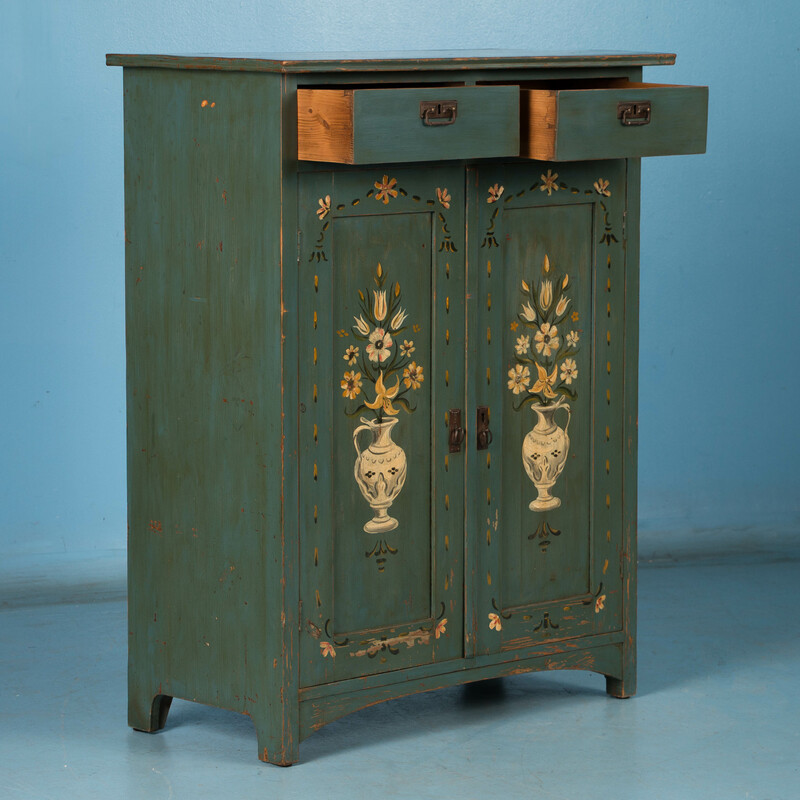 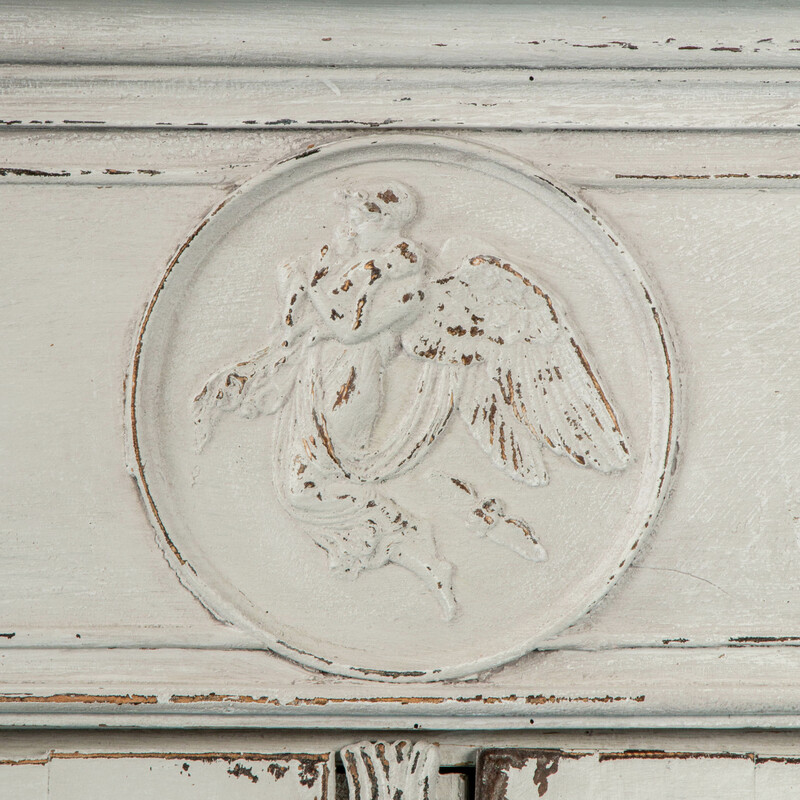 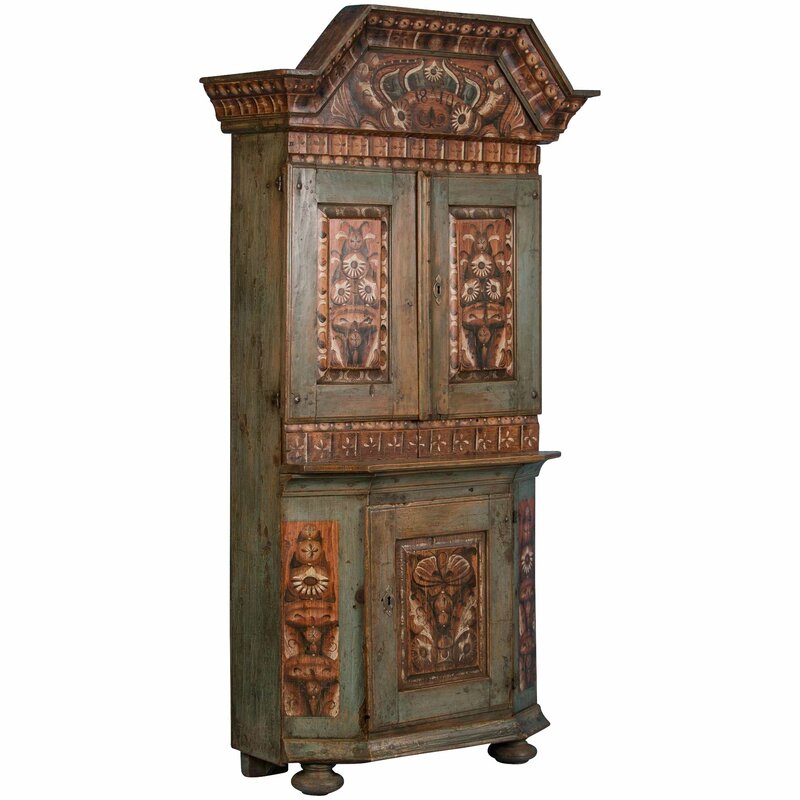 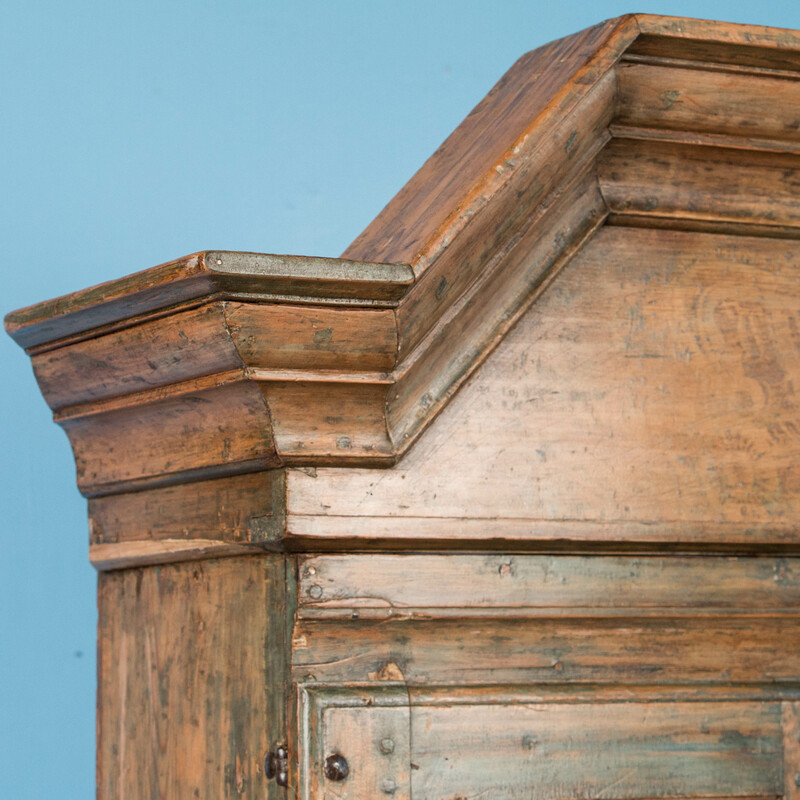 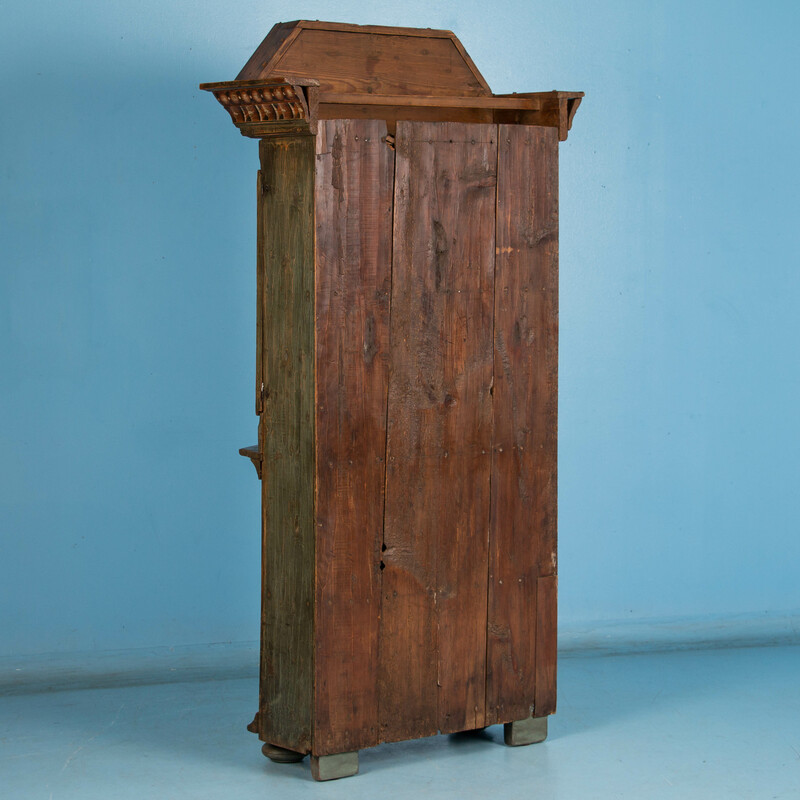 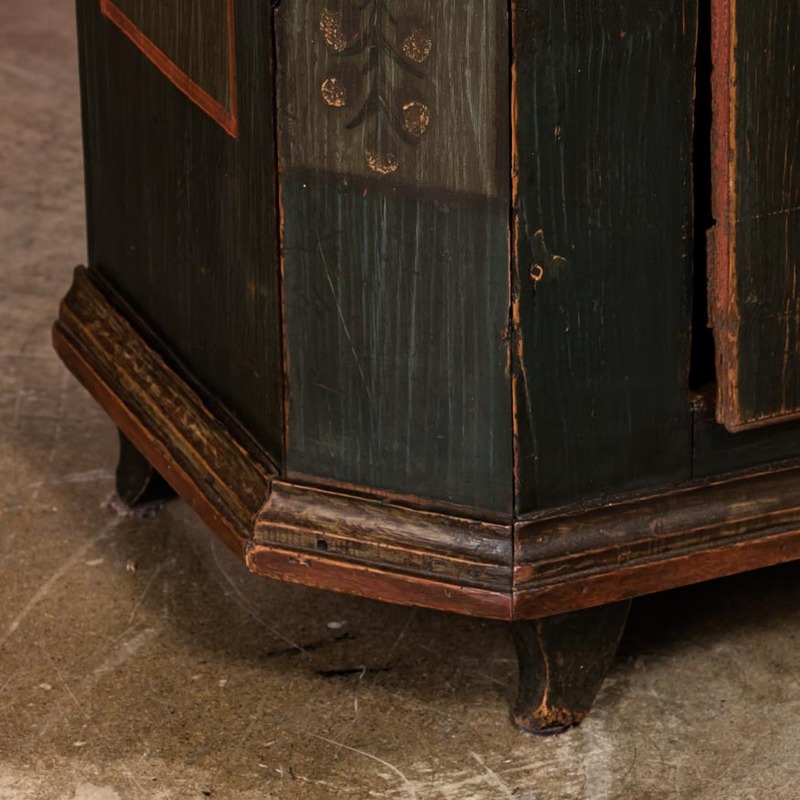 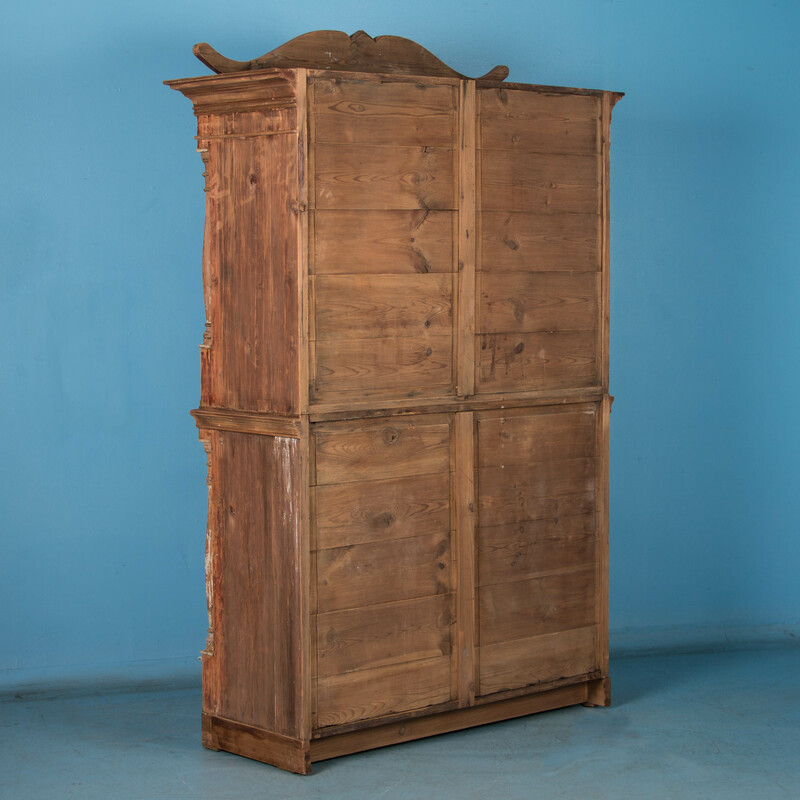 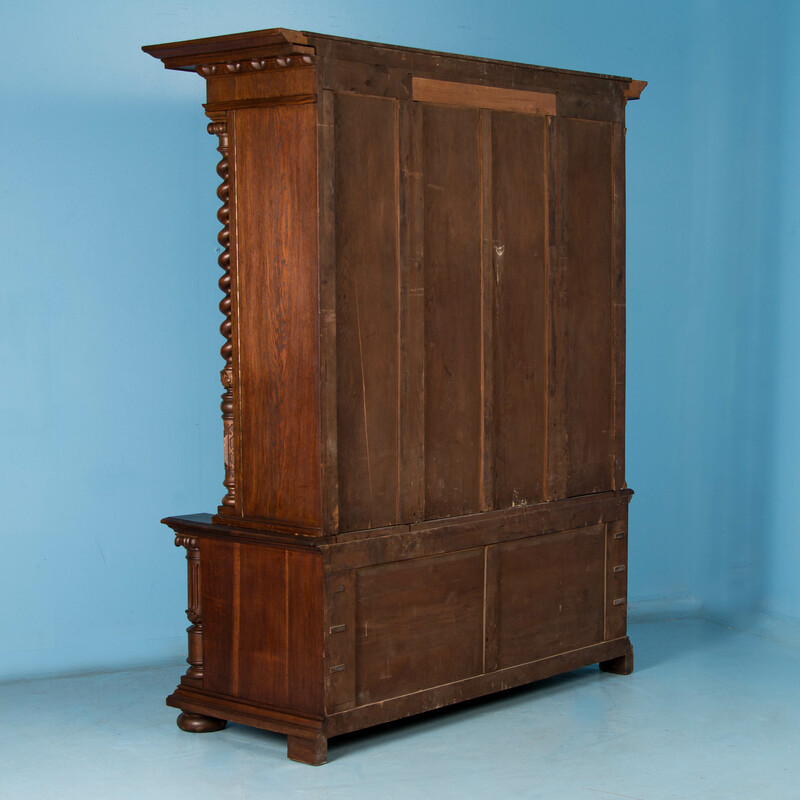 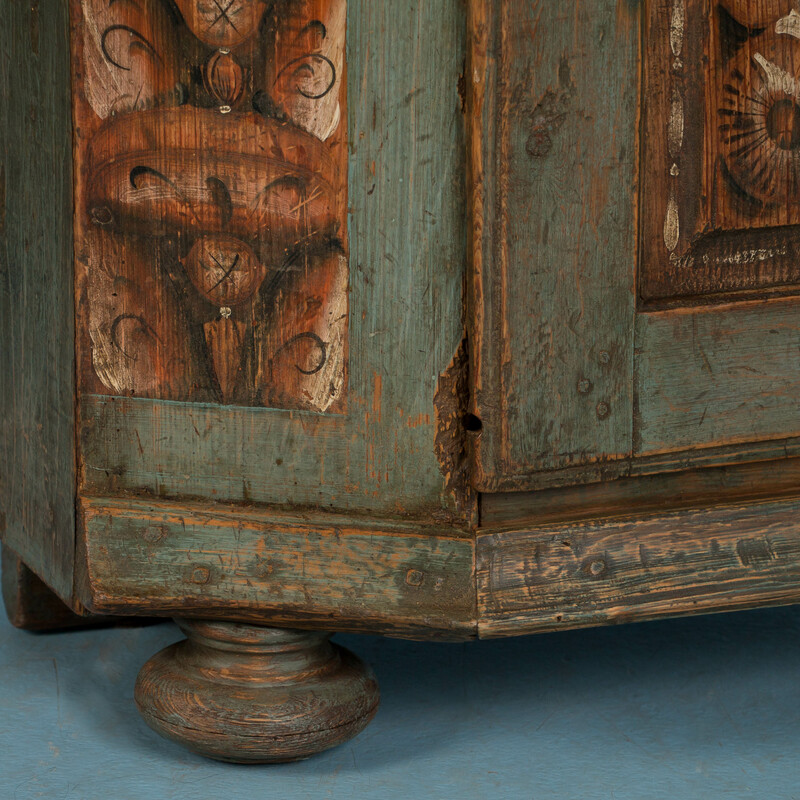 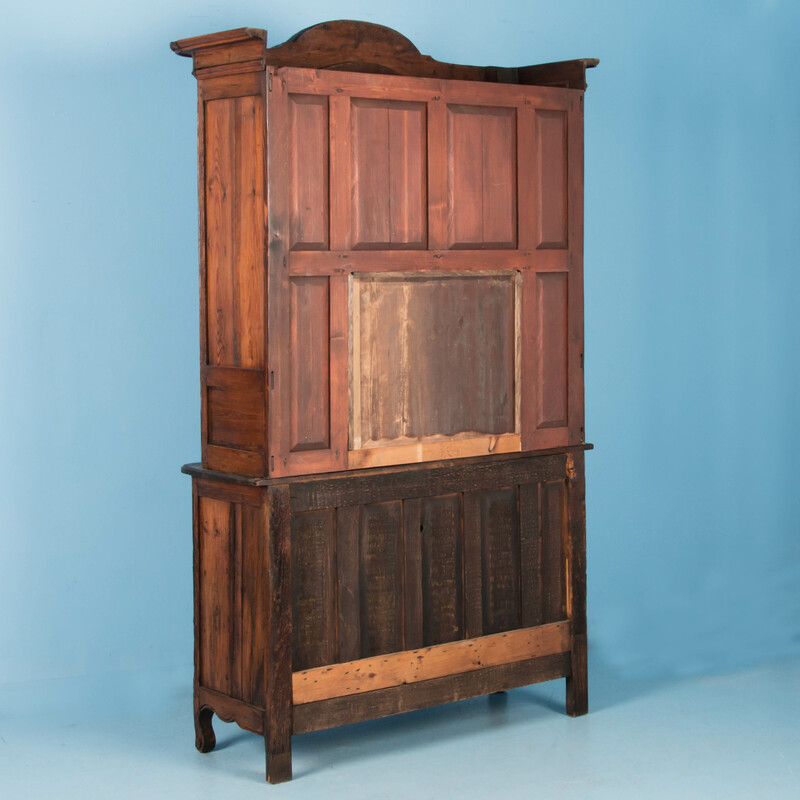 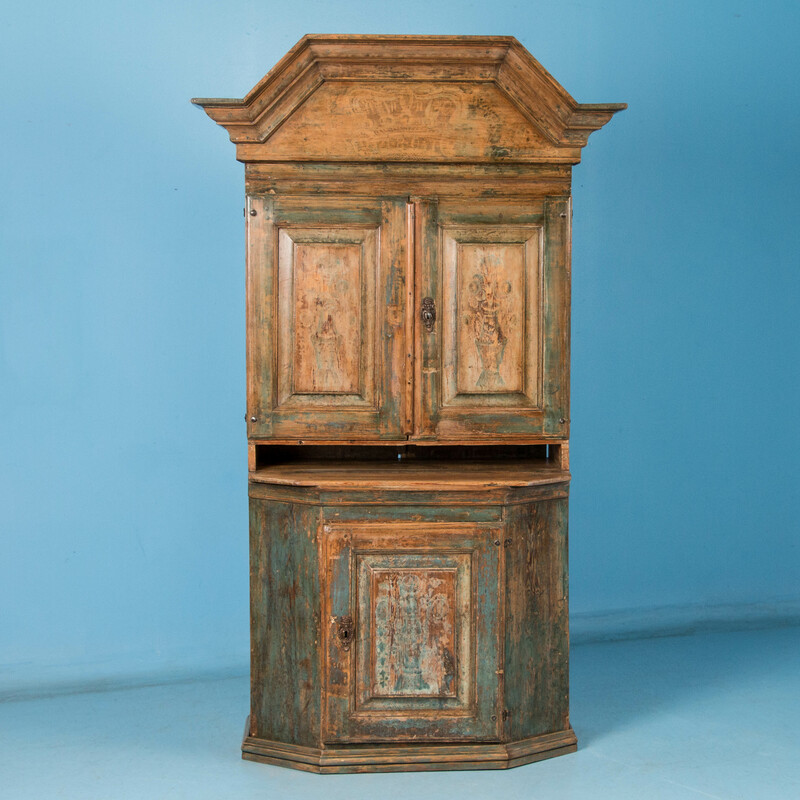 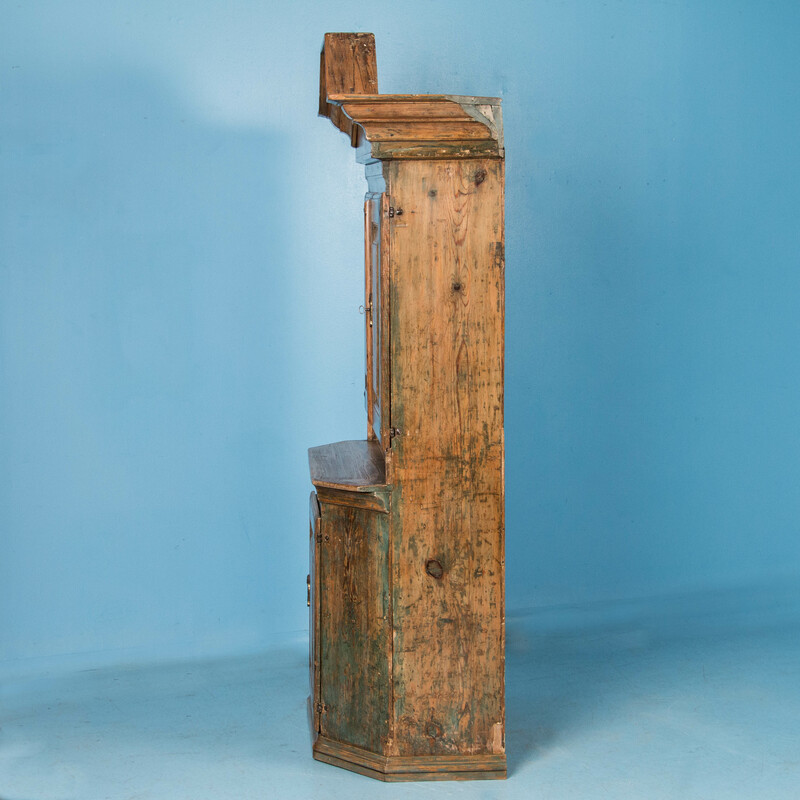 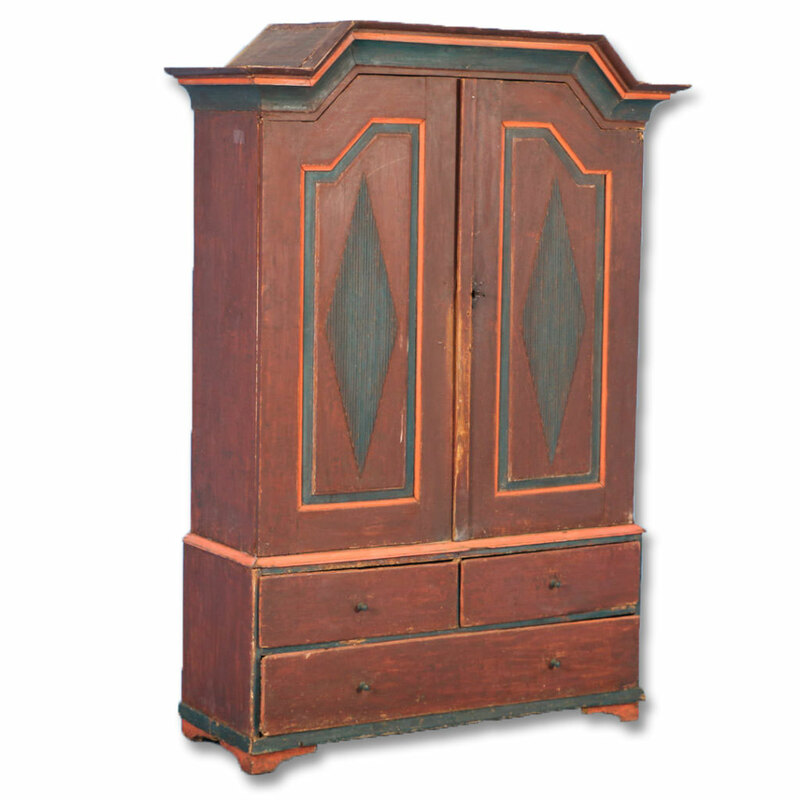 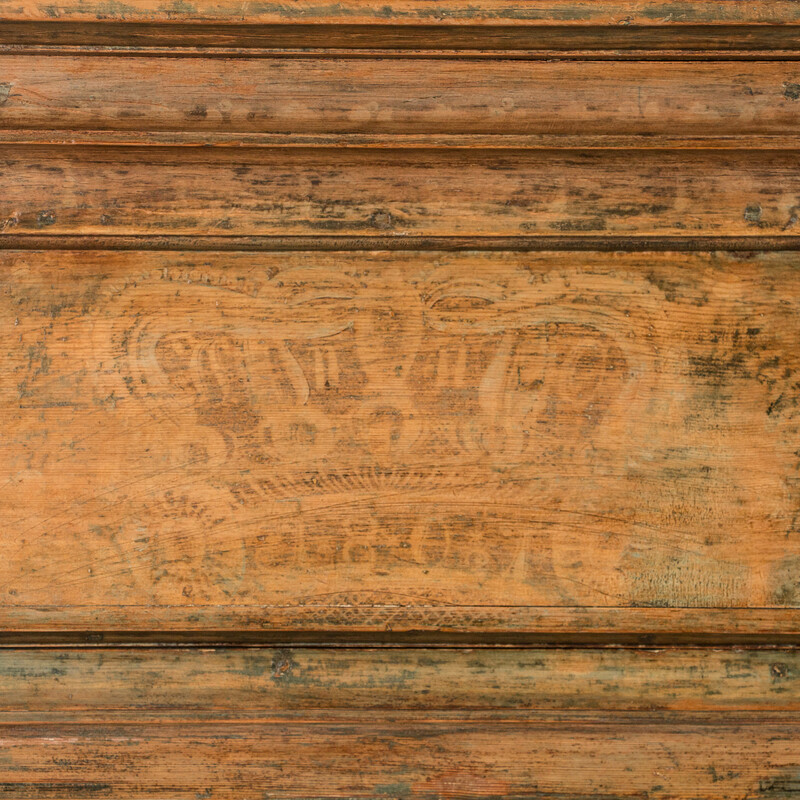 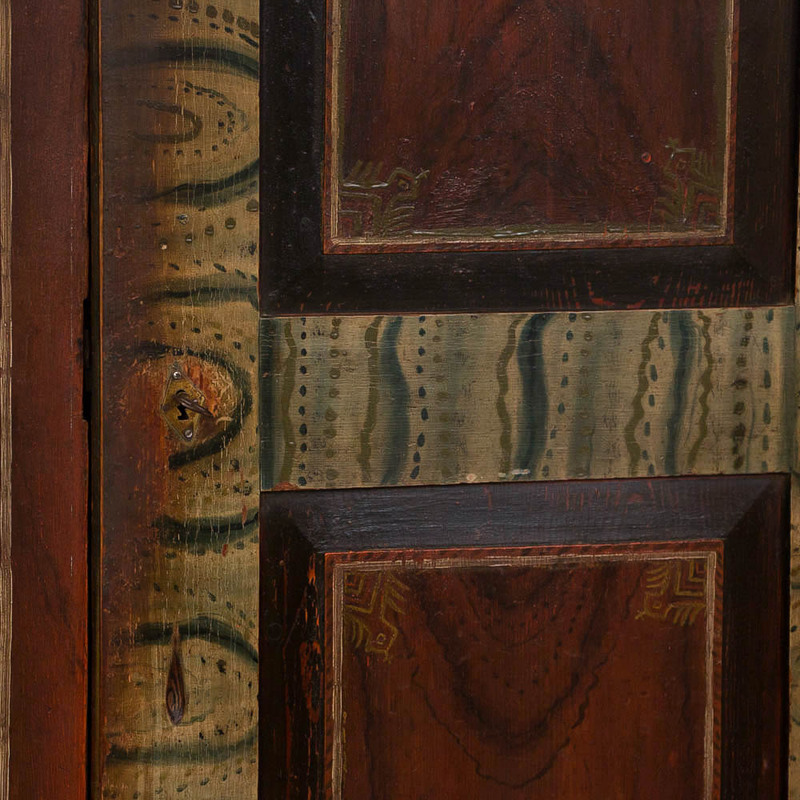 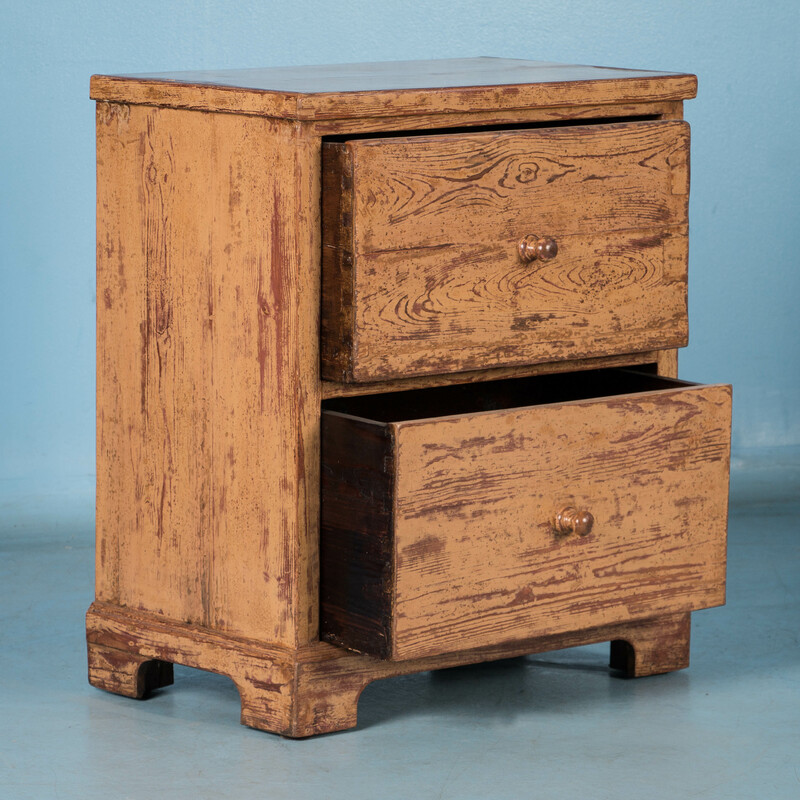 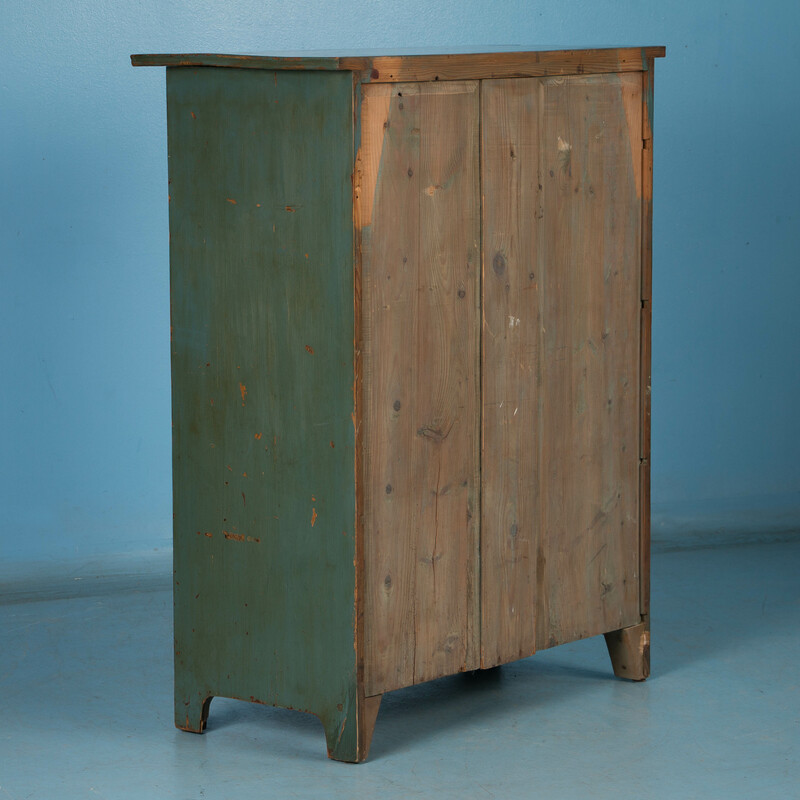 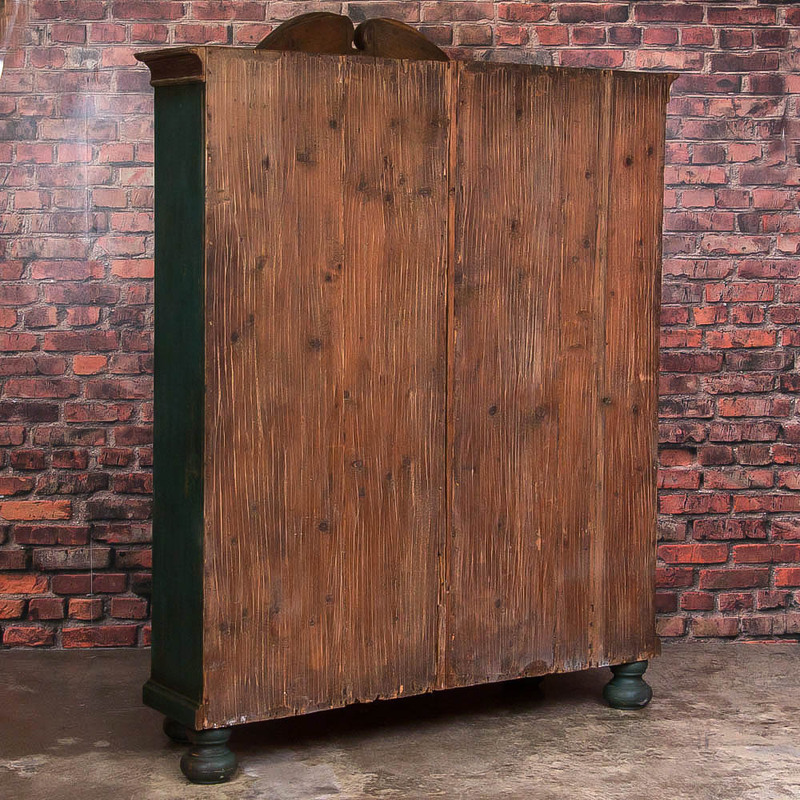 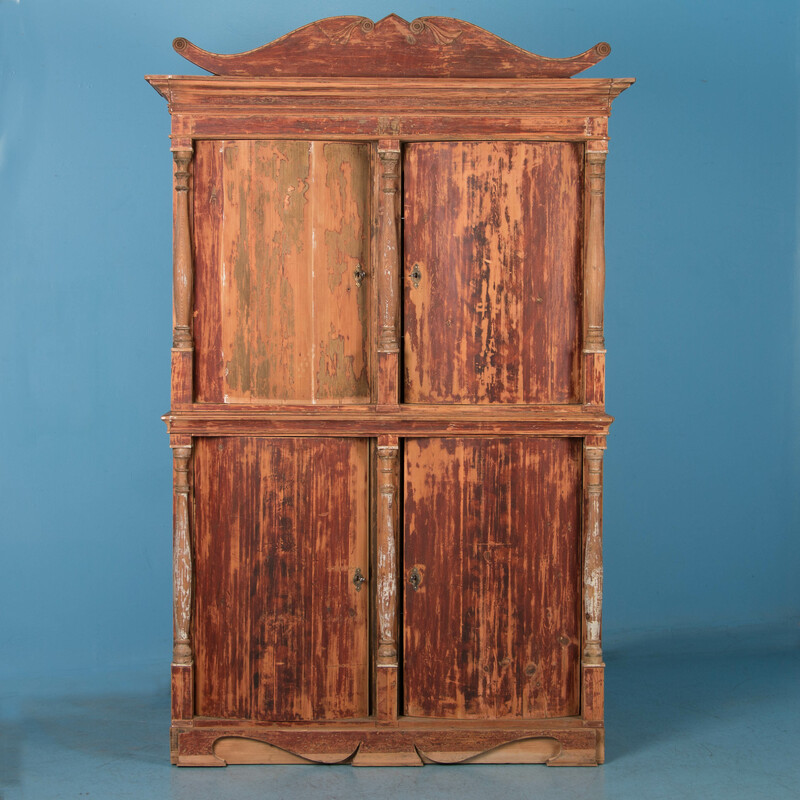 This early 19th century cabinet / cupboard from Sweden retains the original folk art paint in green and earth tones. 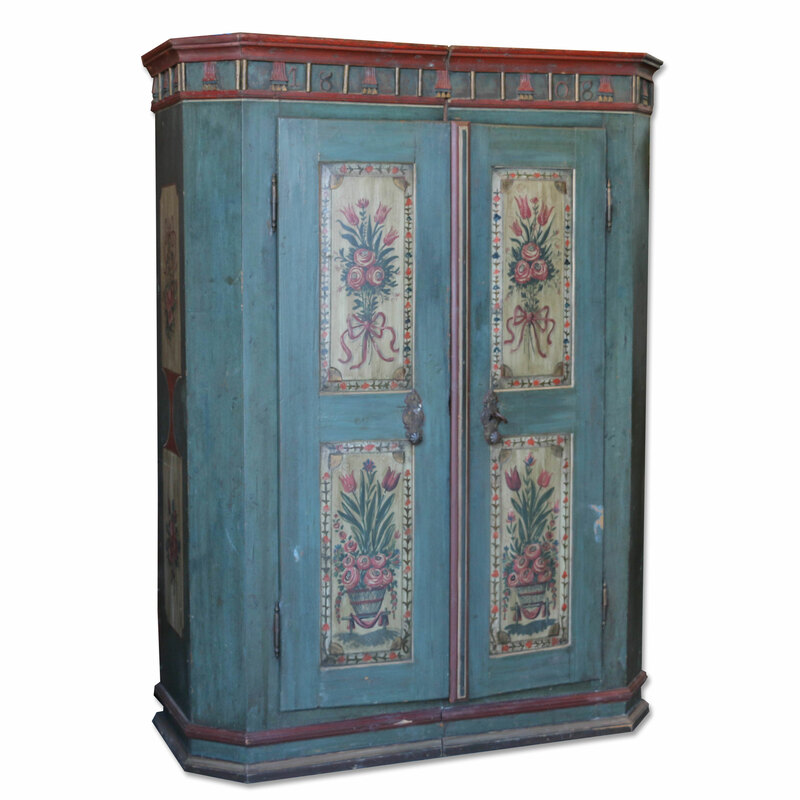 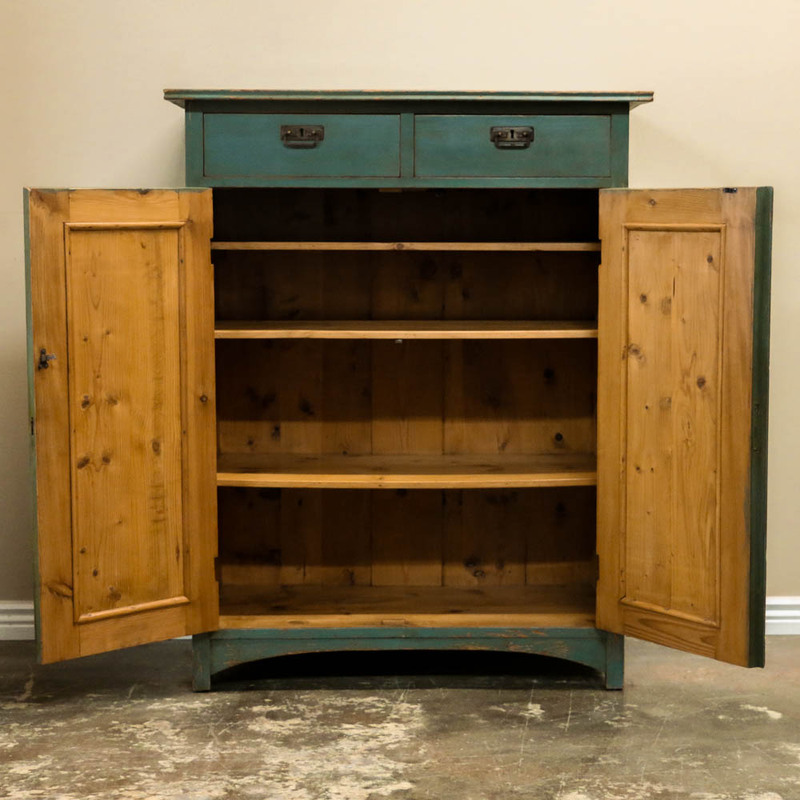 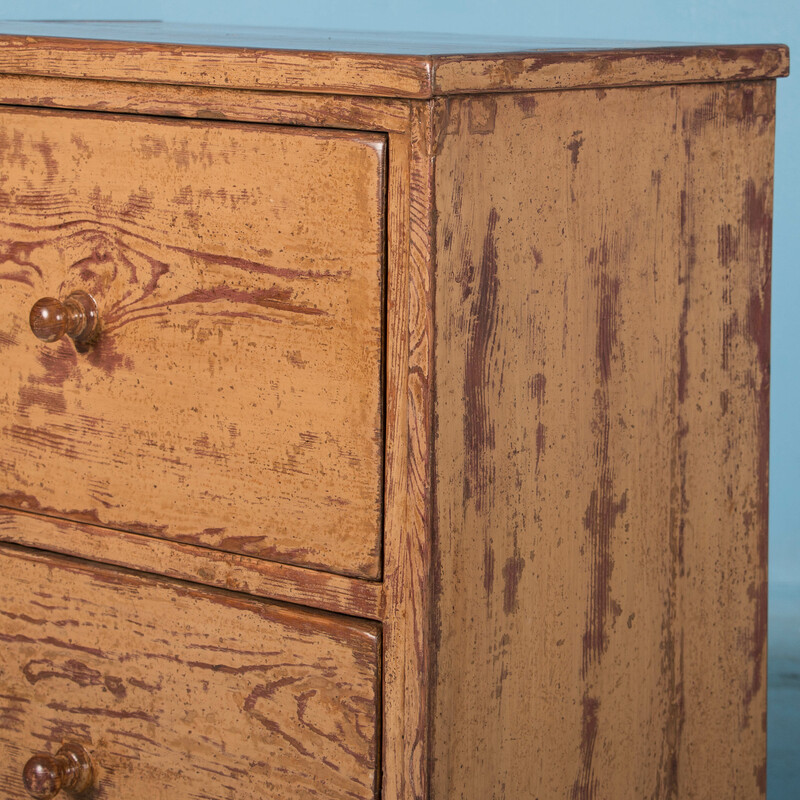 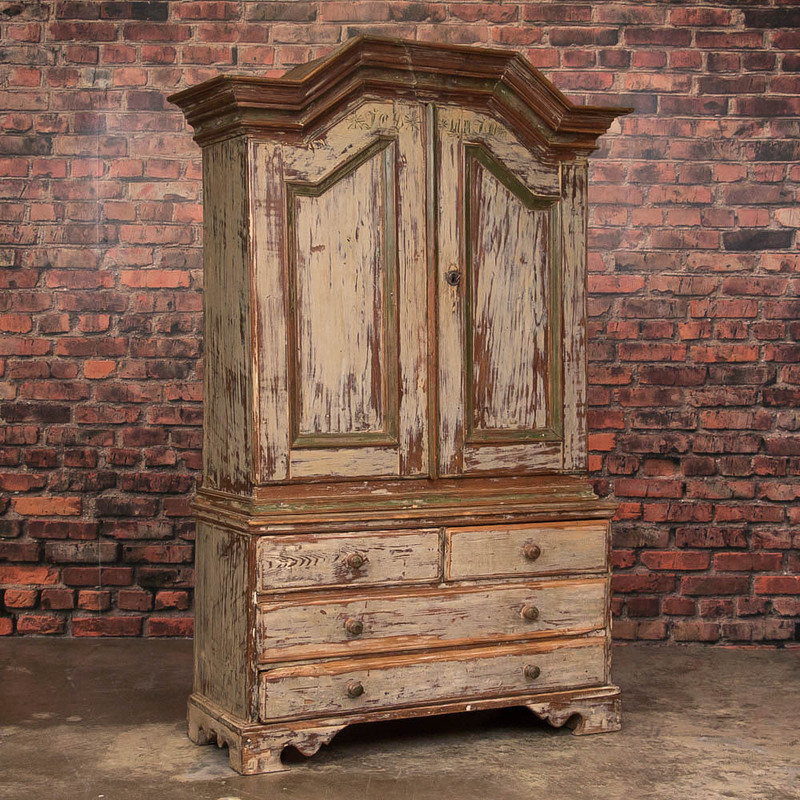 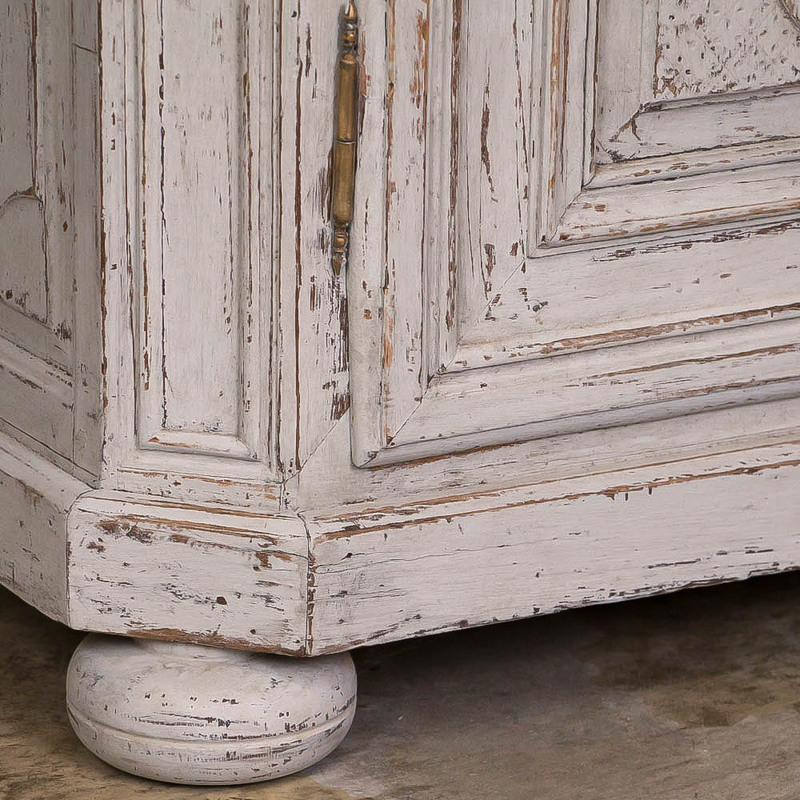 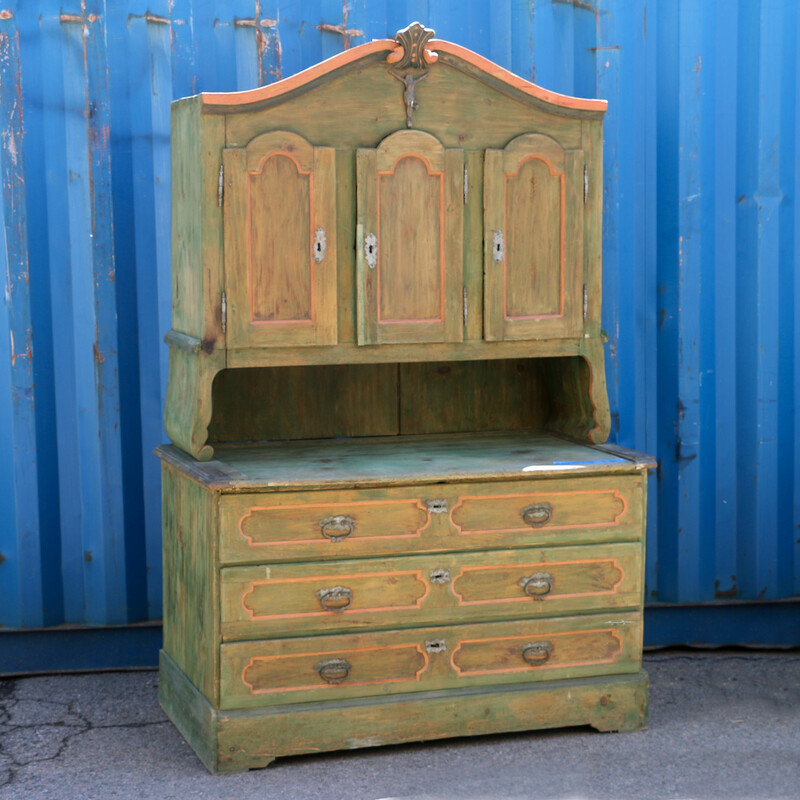 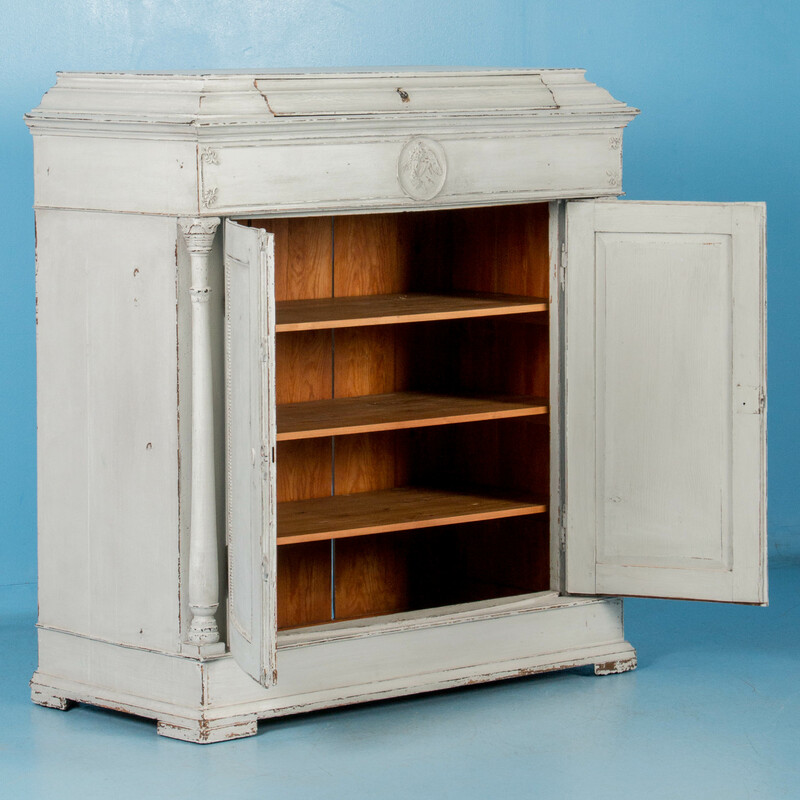 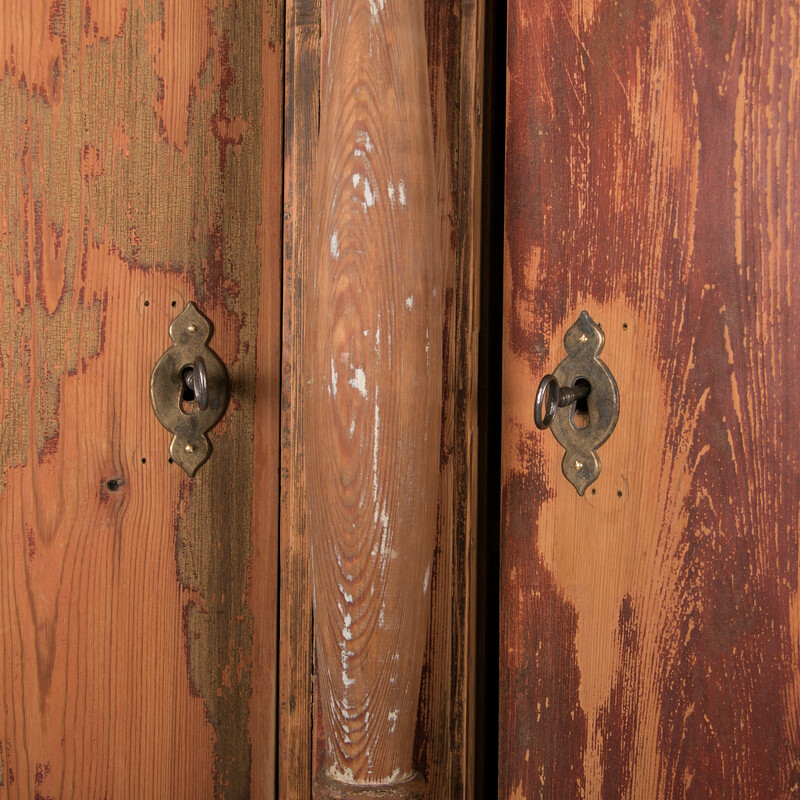 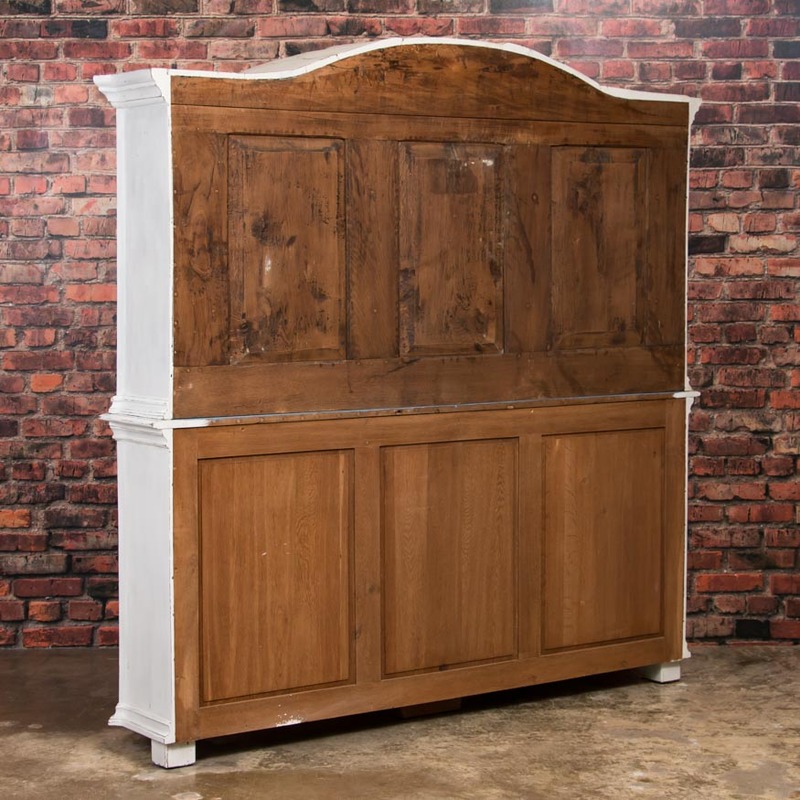 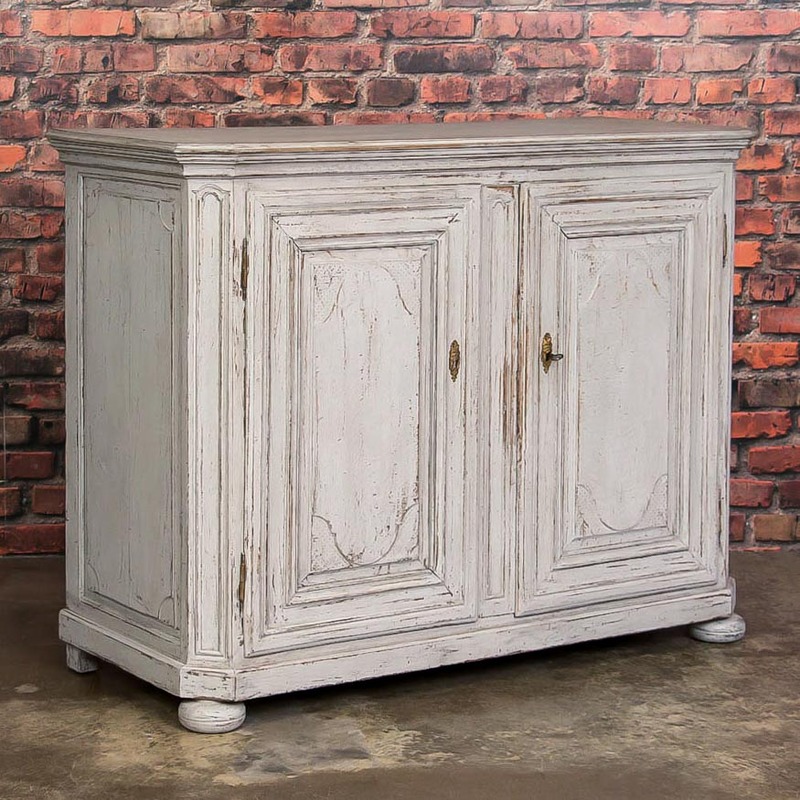 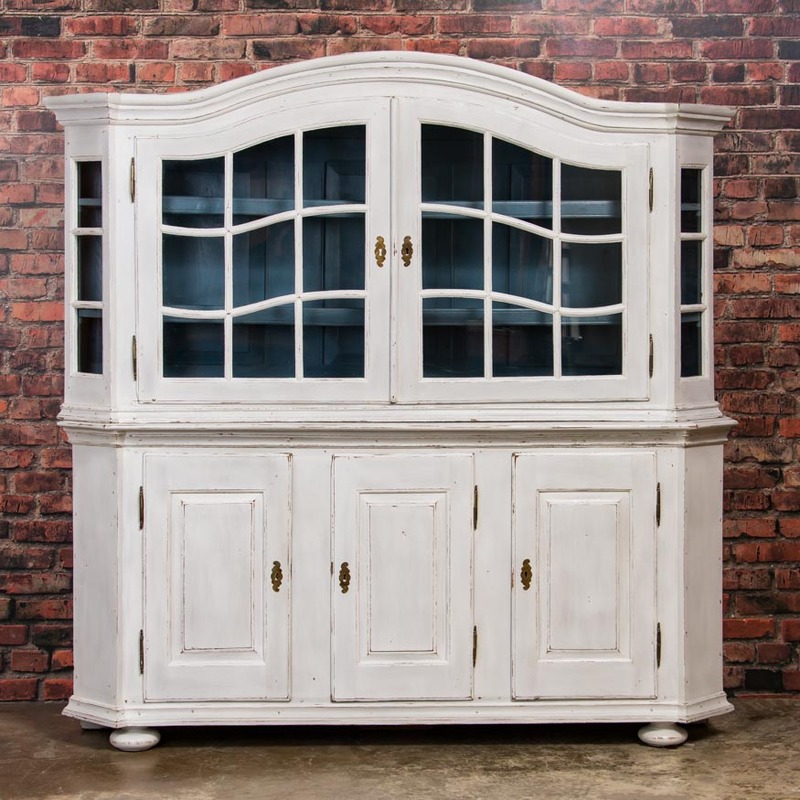 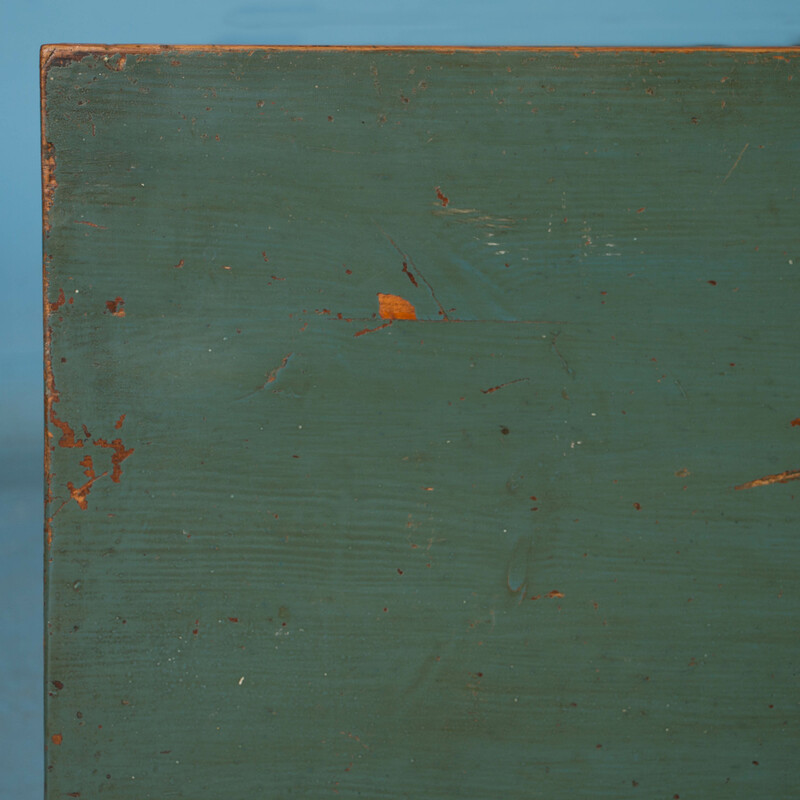 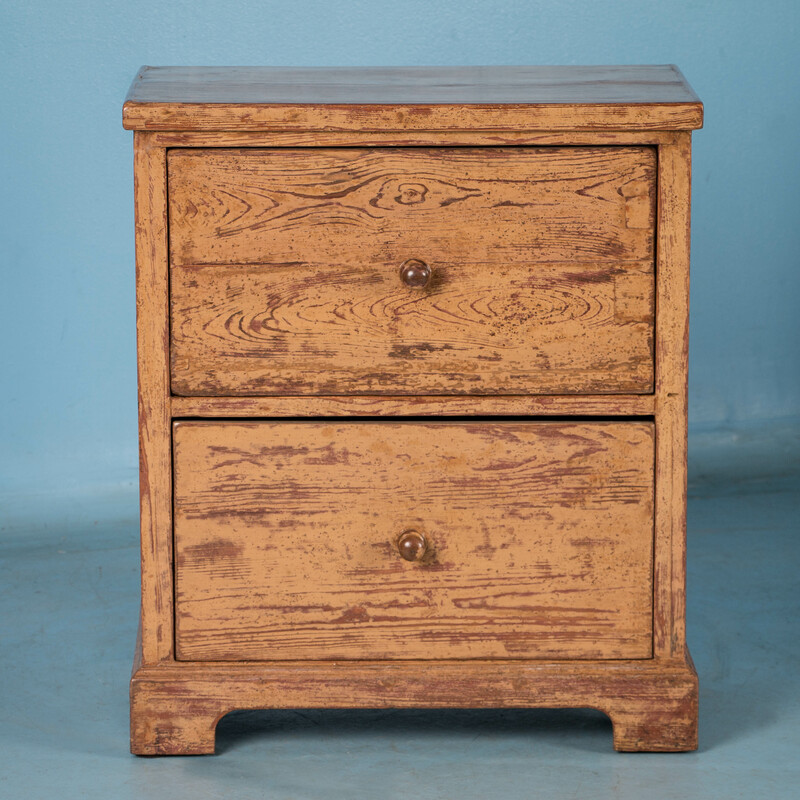 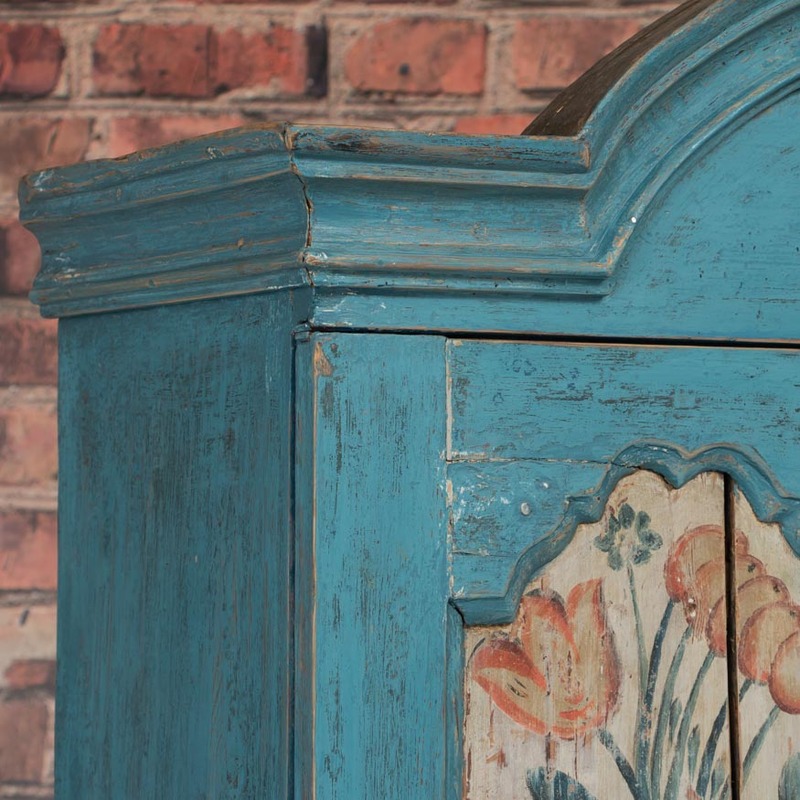 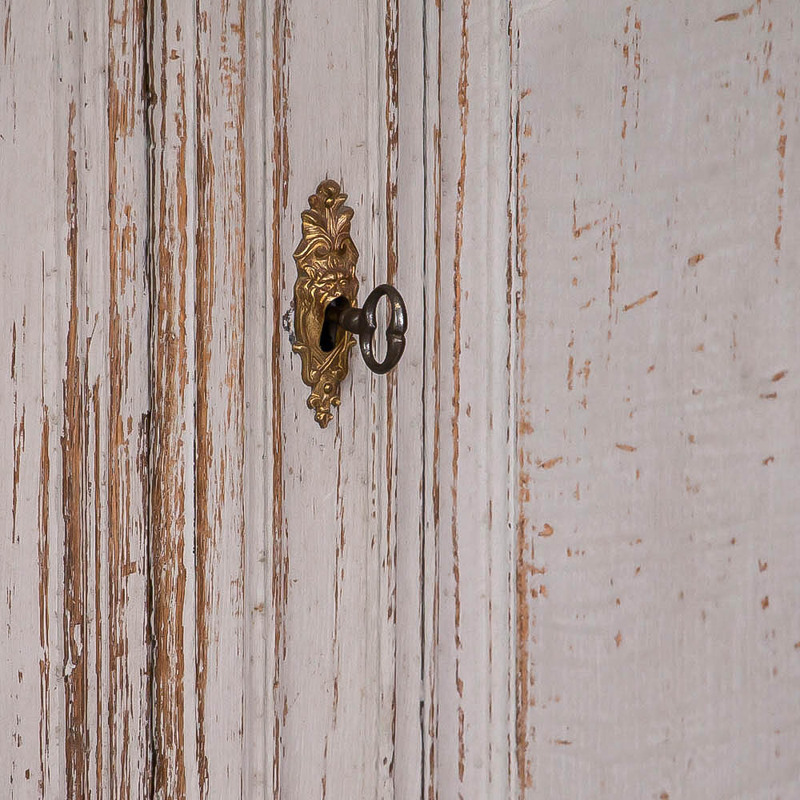 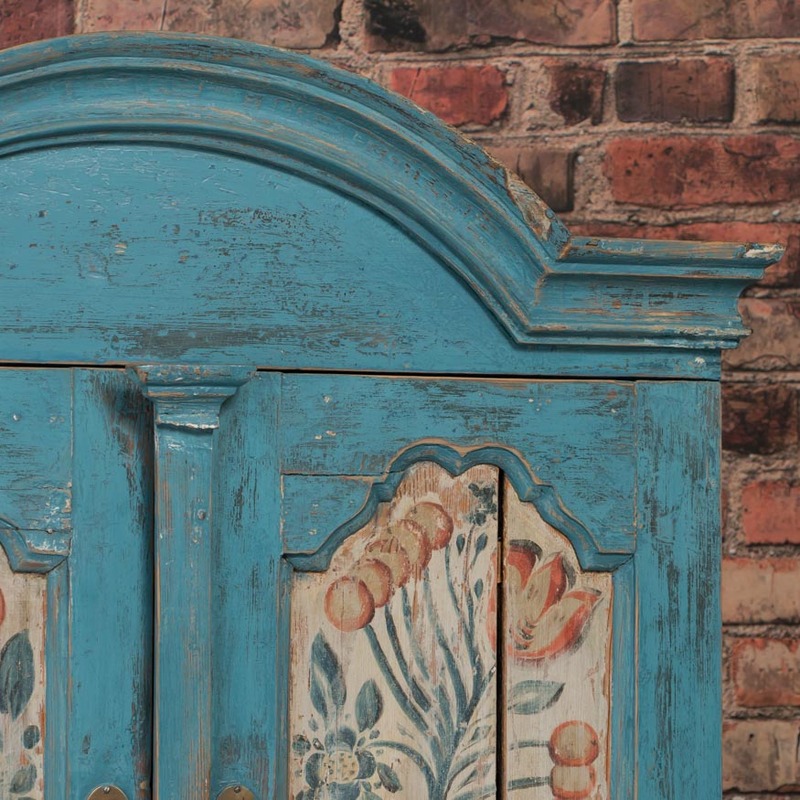 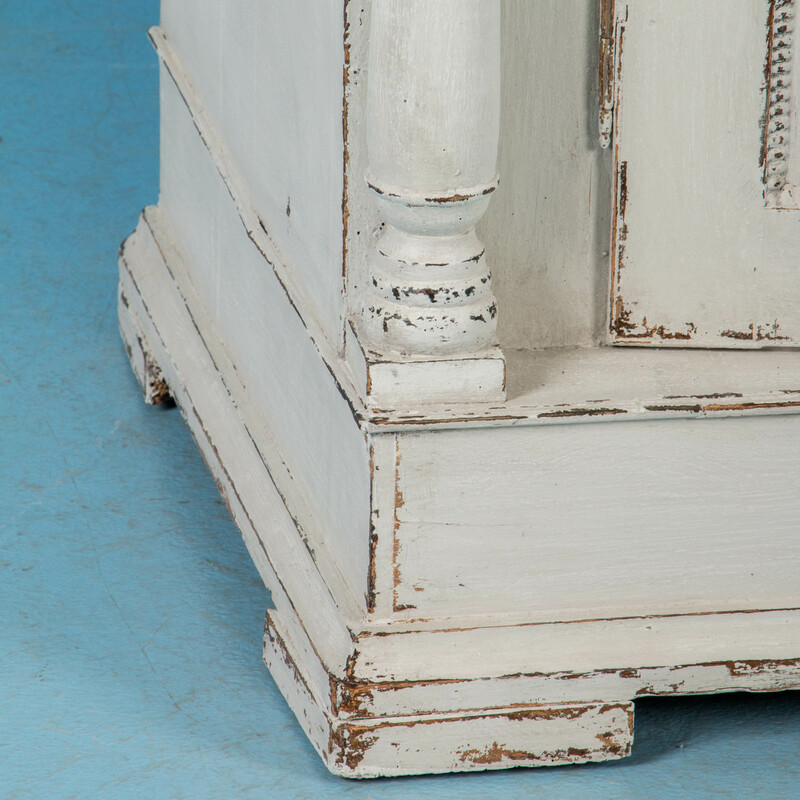 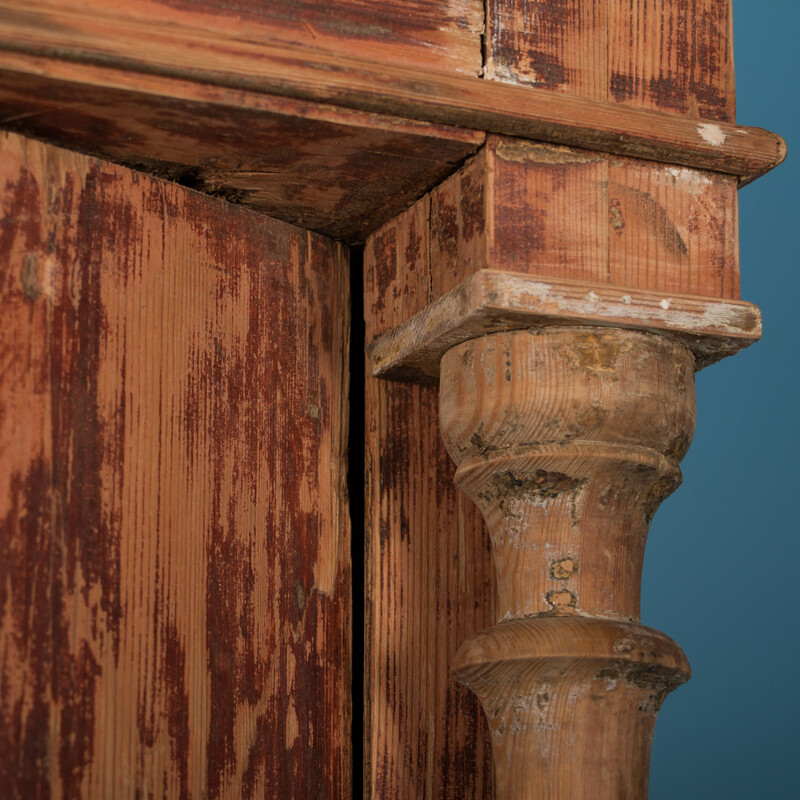 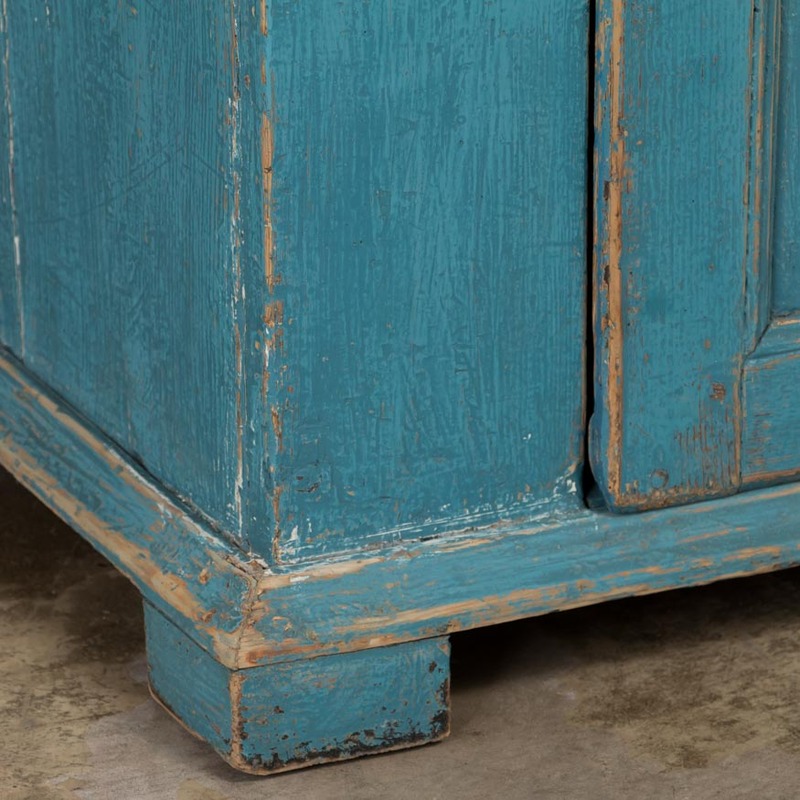 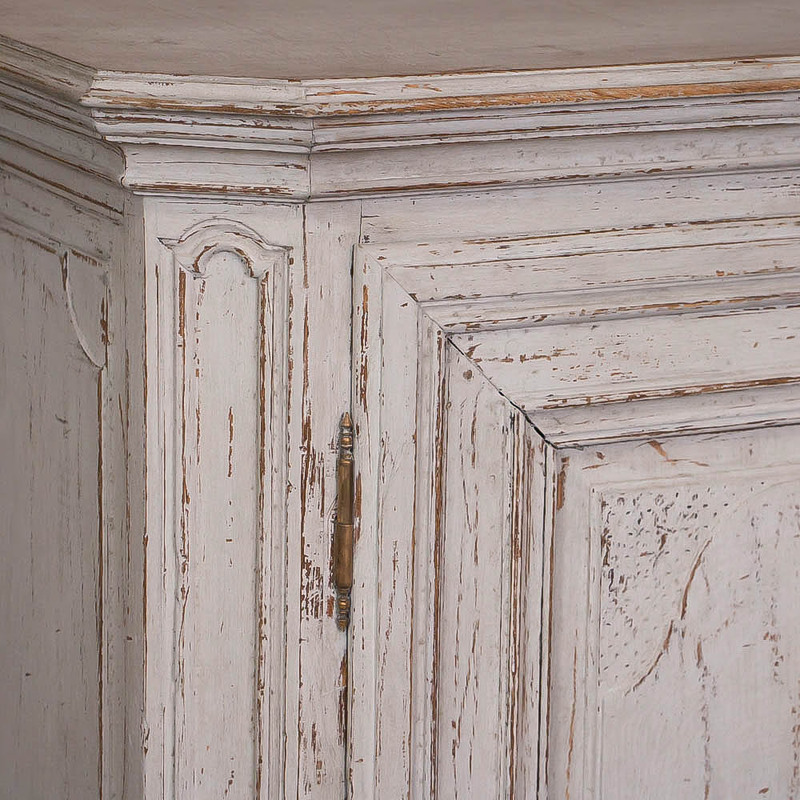 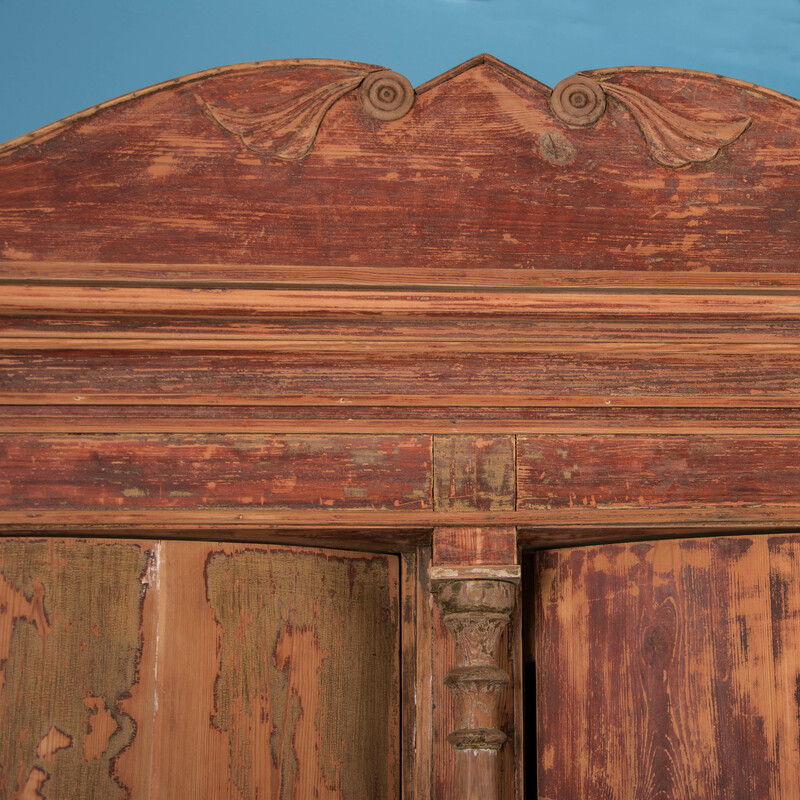 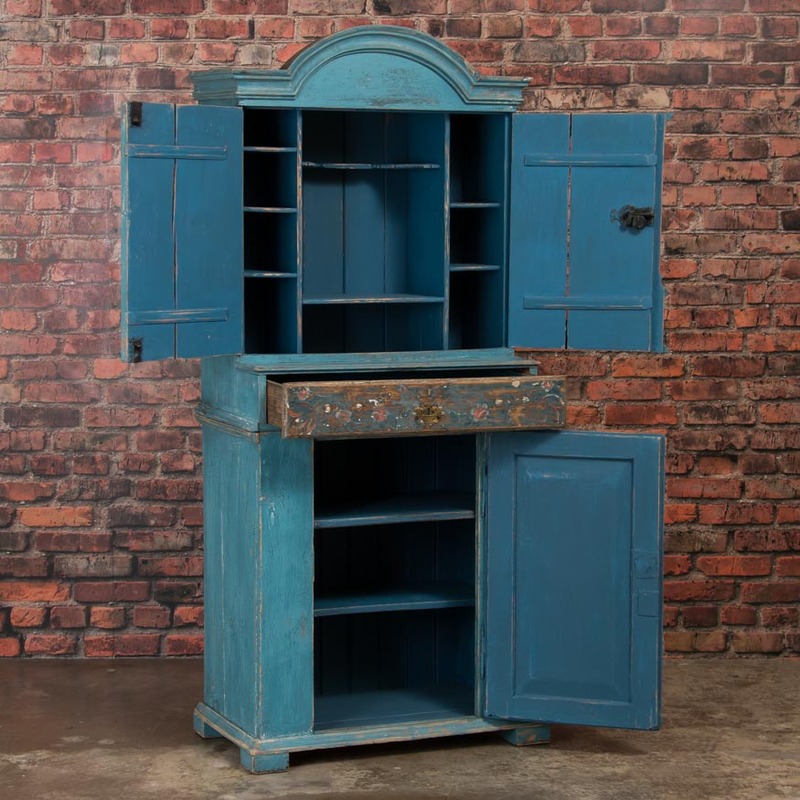 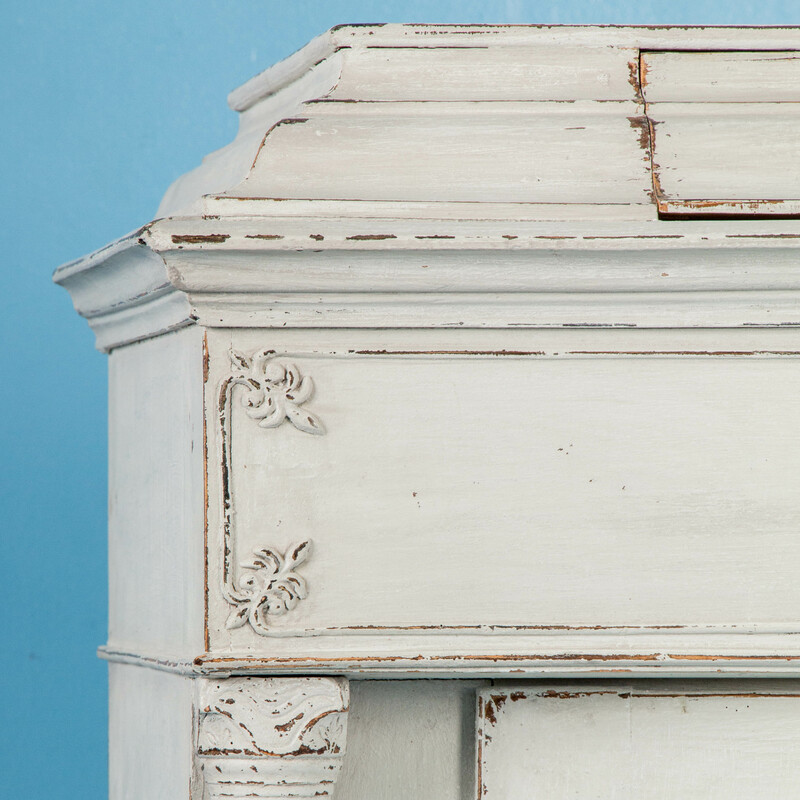 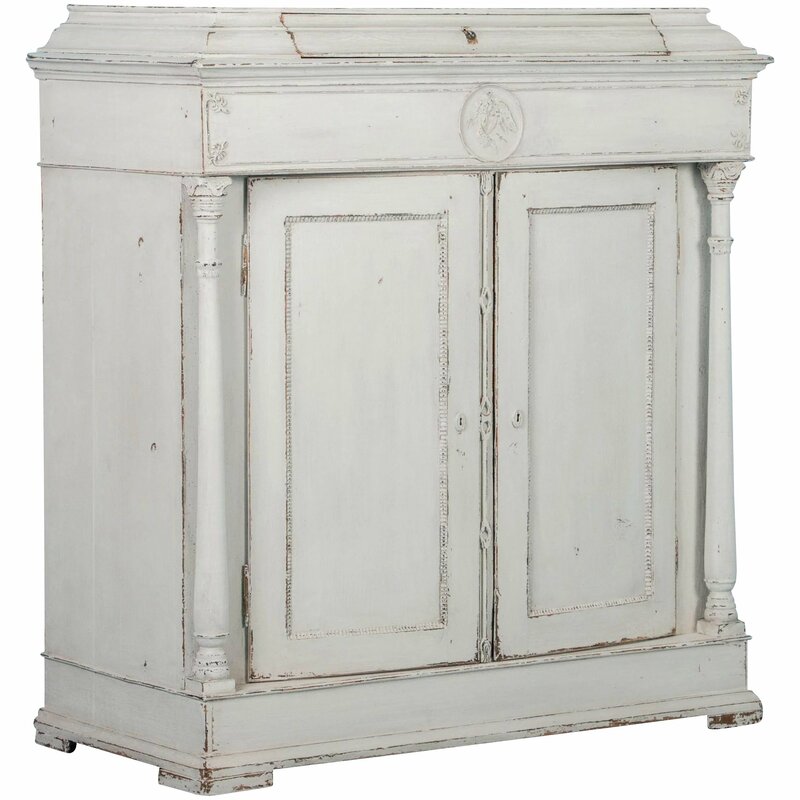 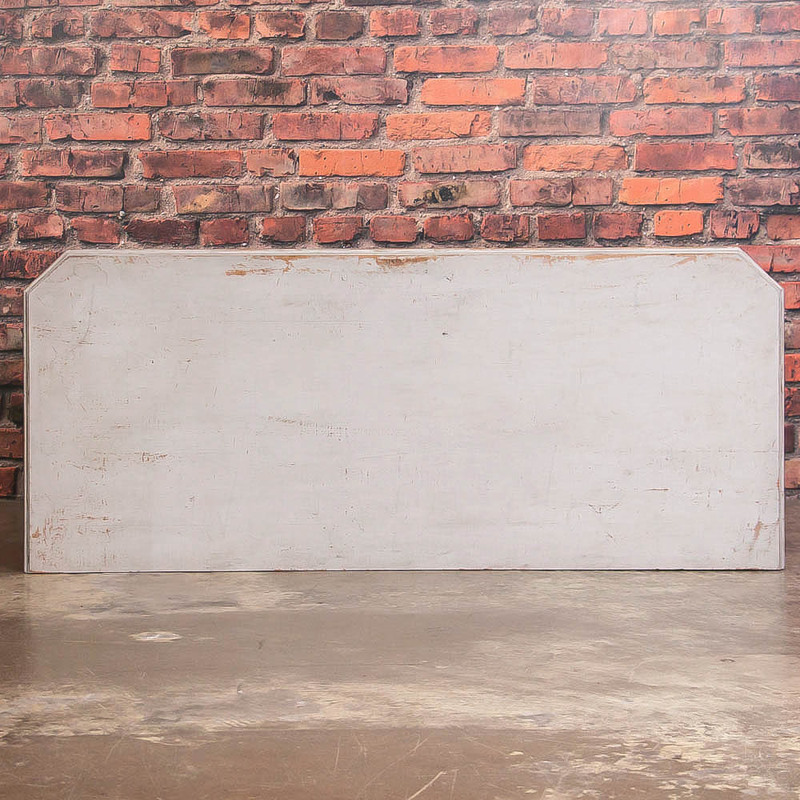 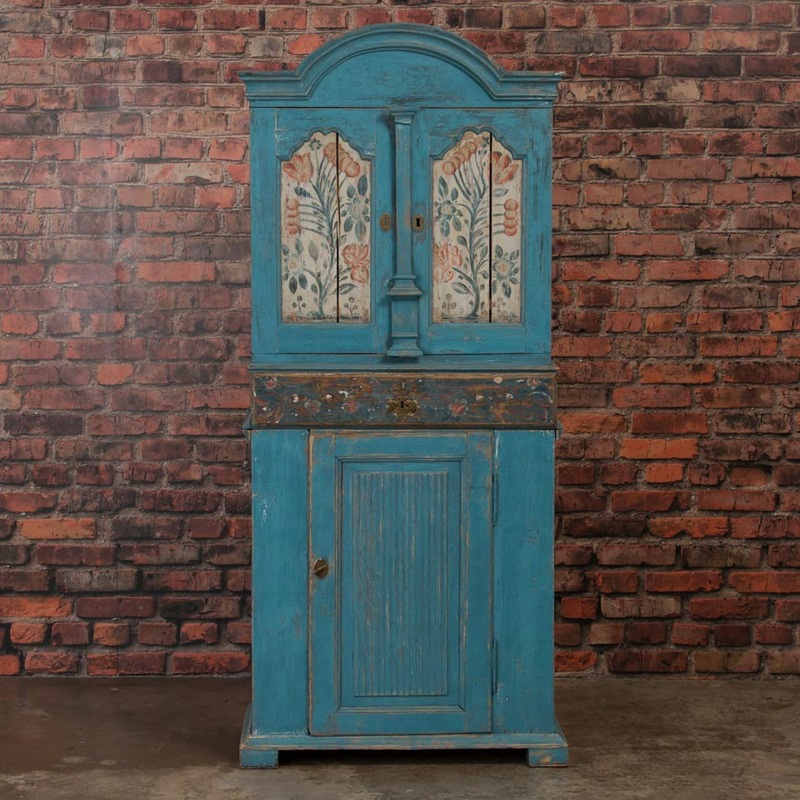 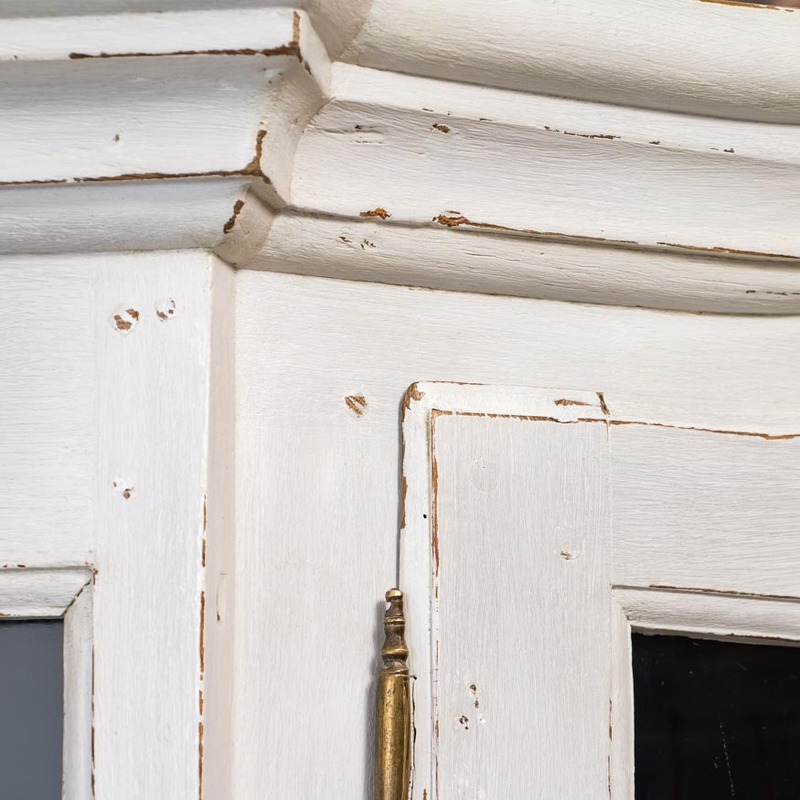 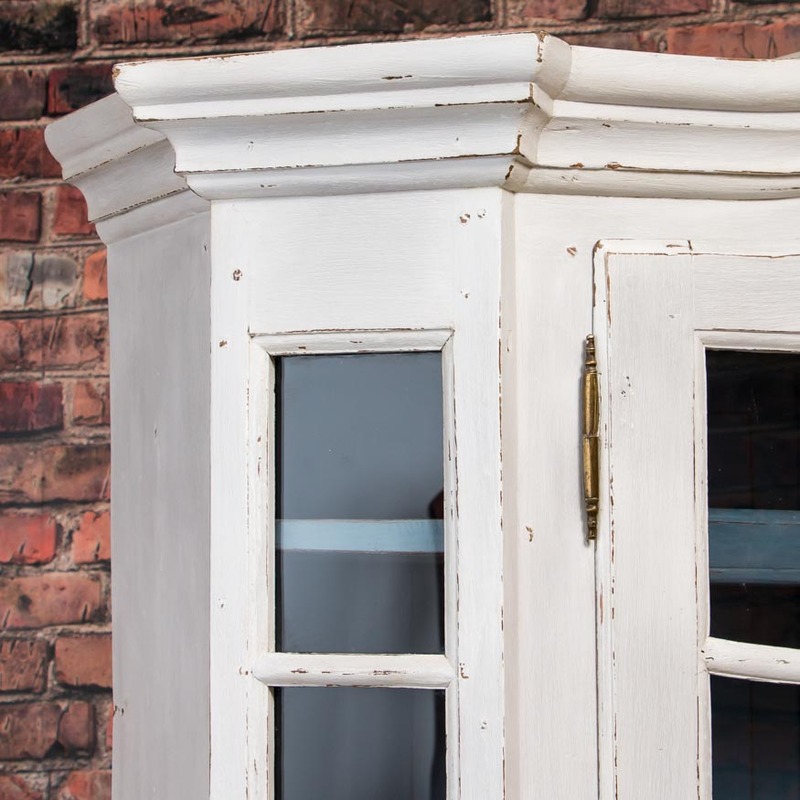 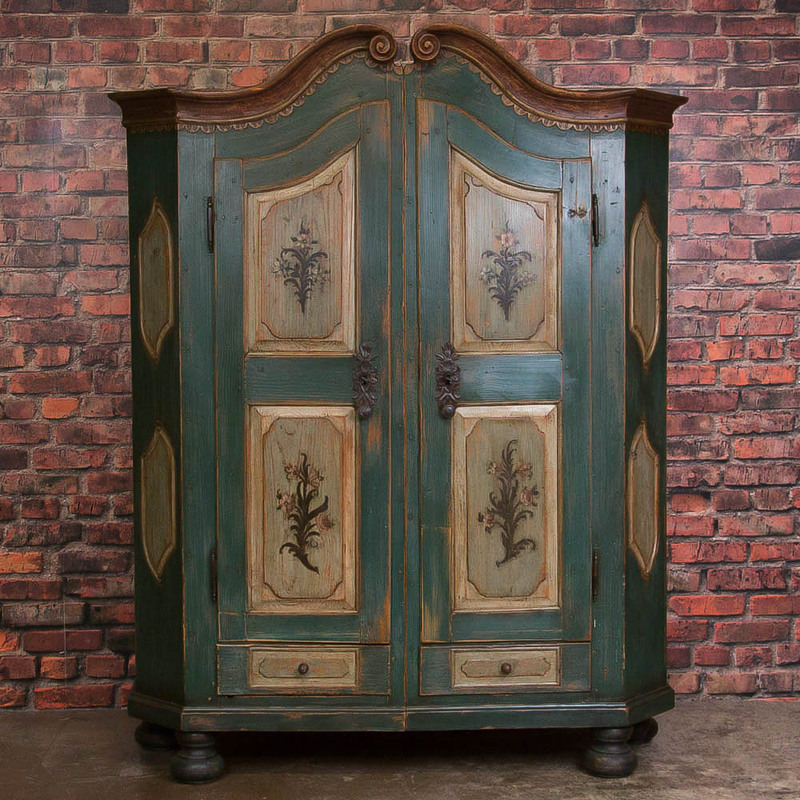 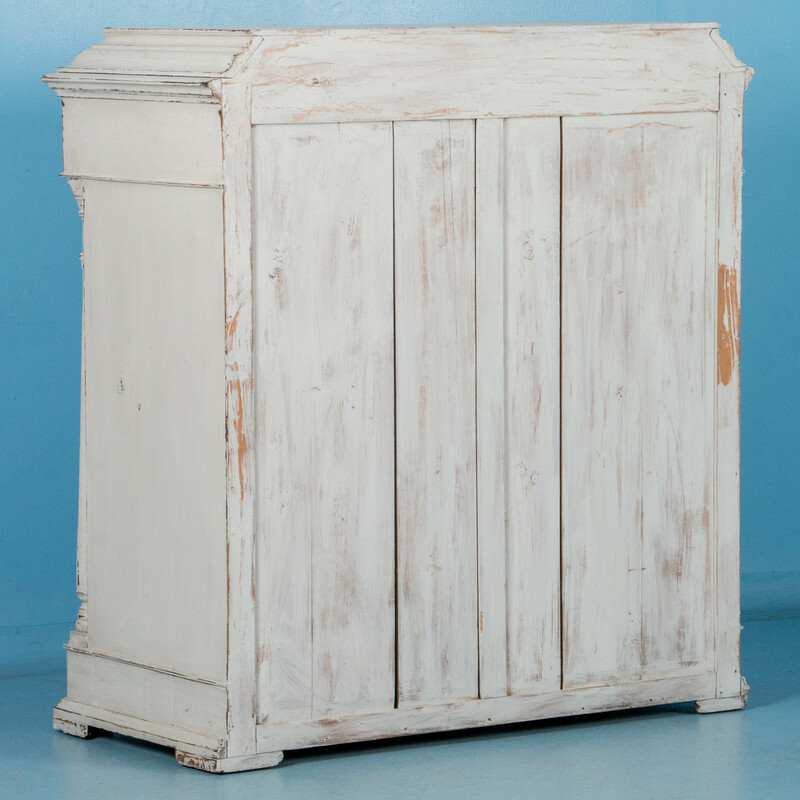 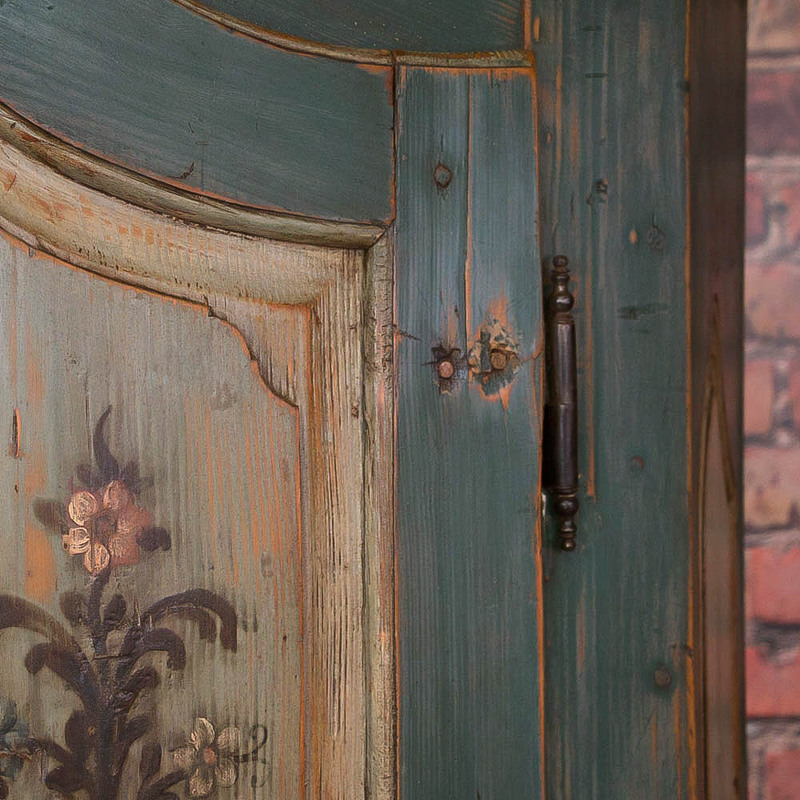 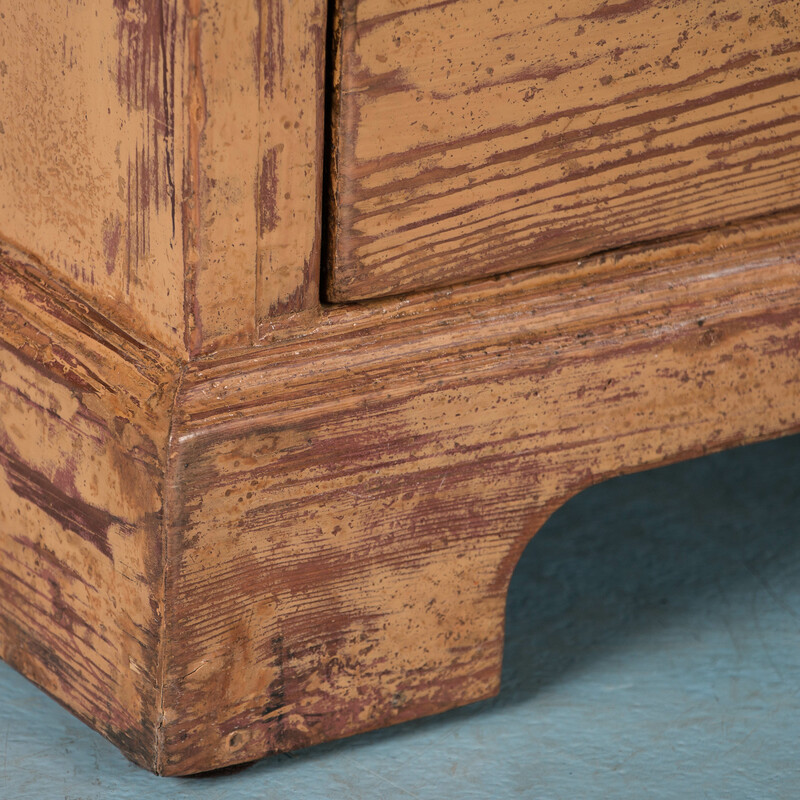 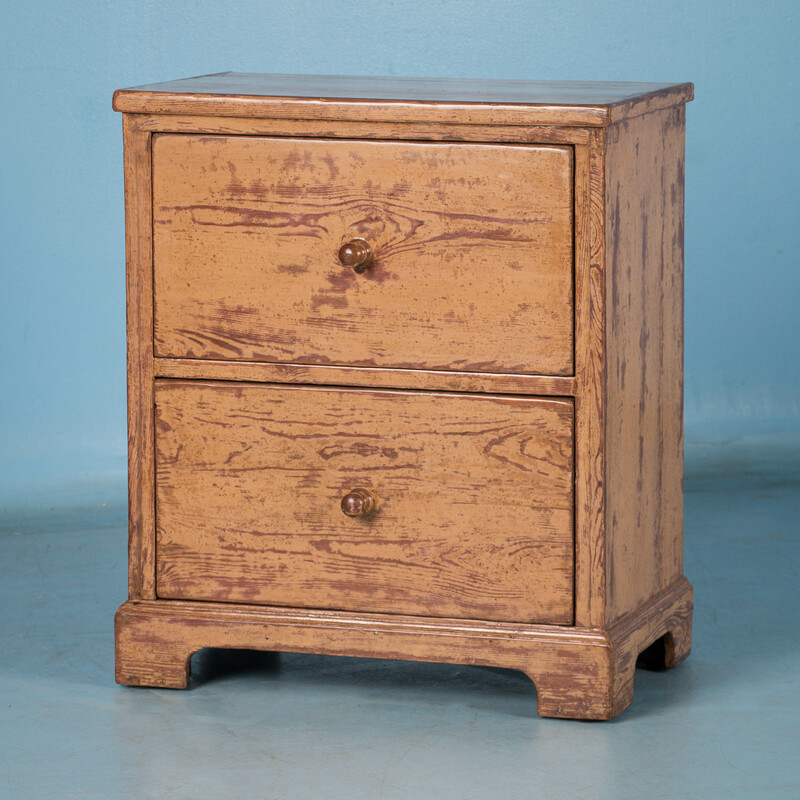 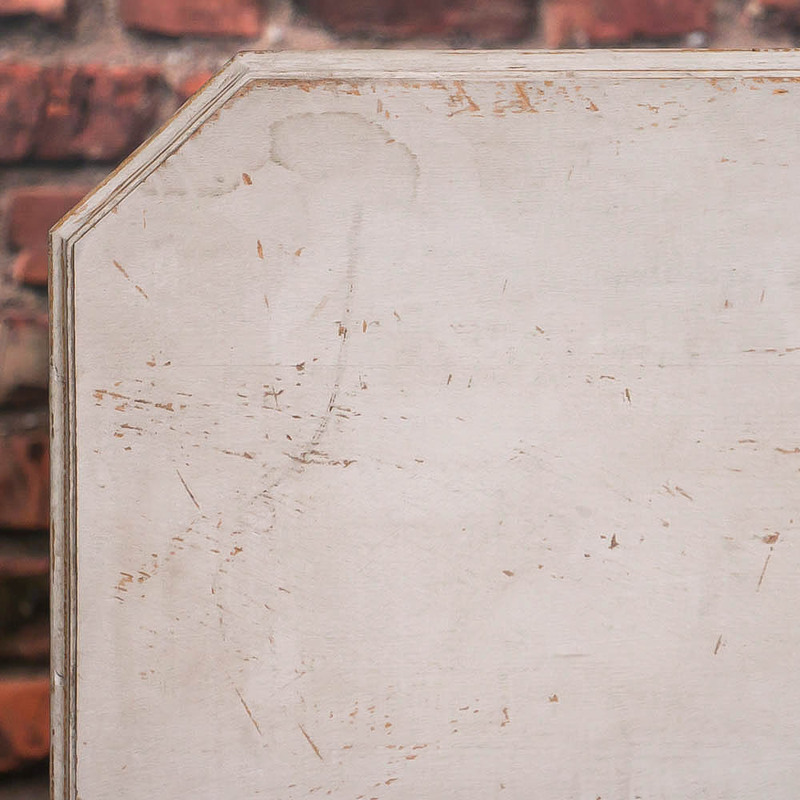 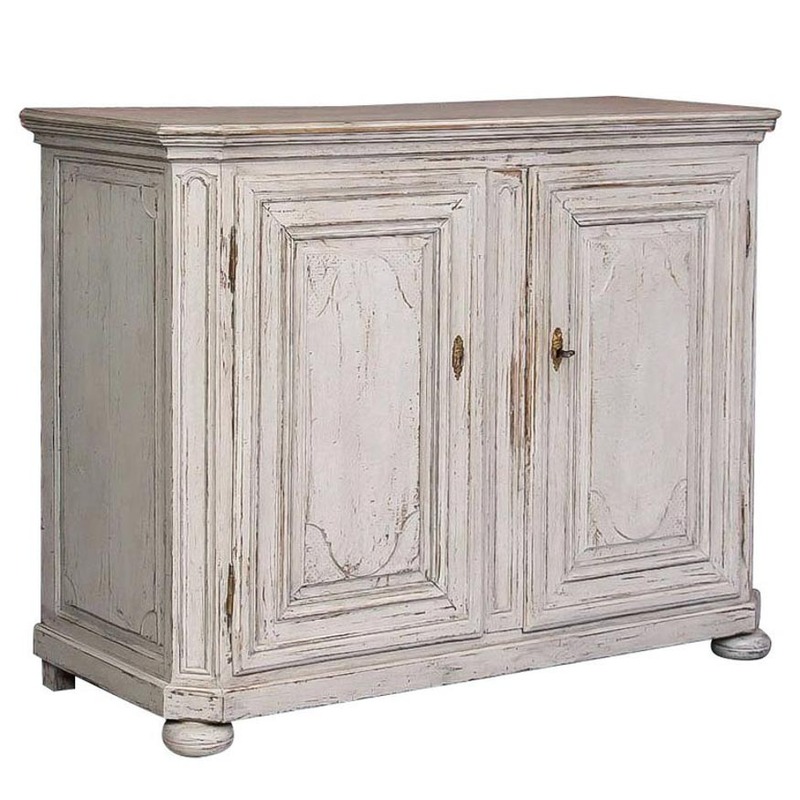 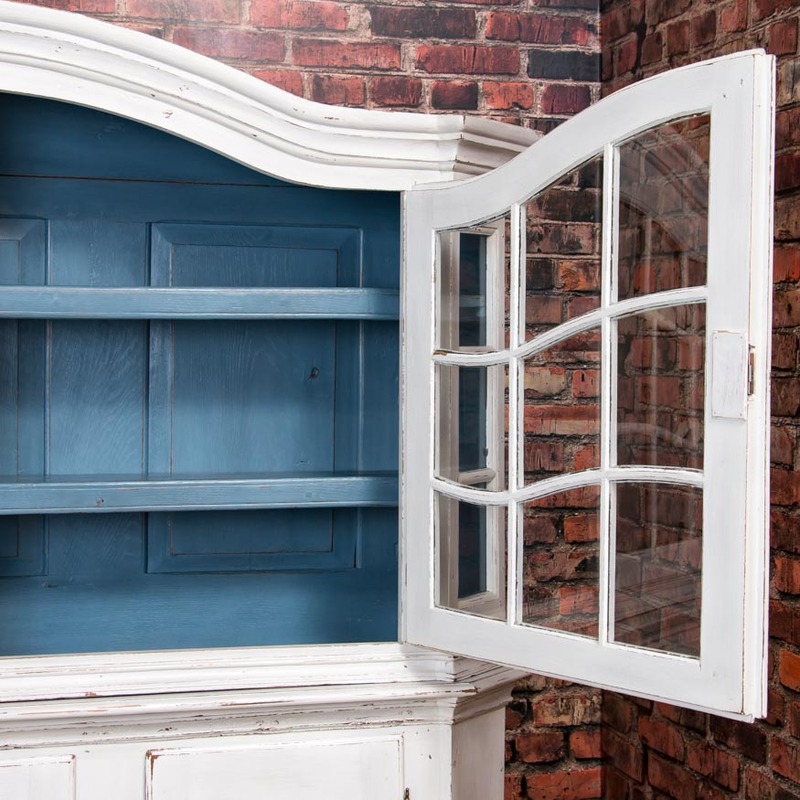 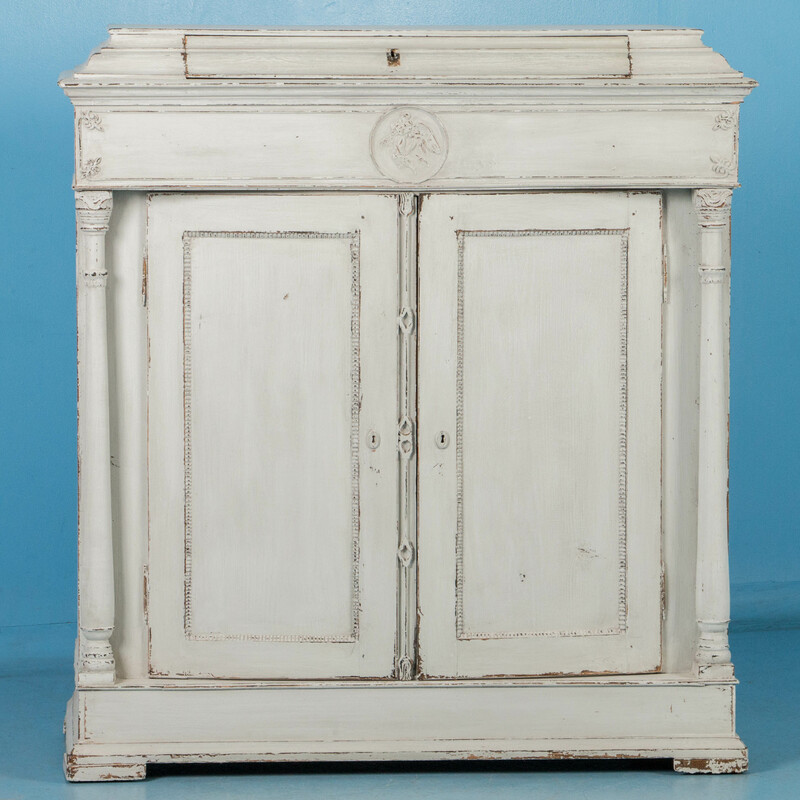 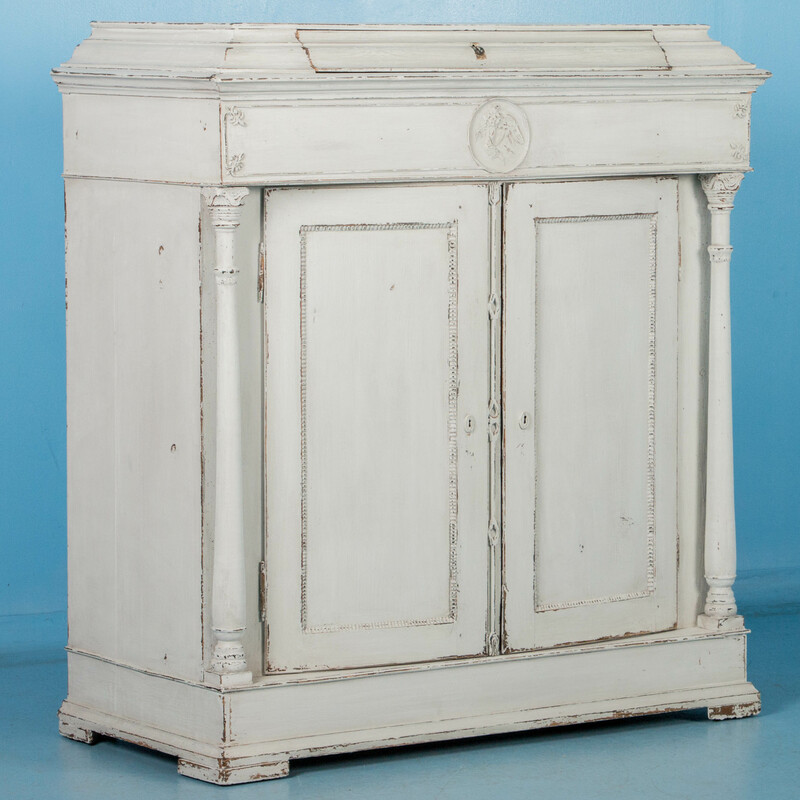 Beautiful antique Swedish cupboard with the original paint. 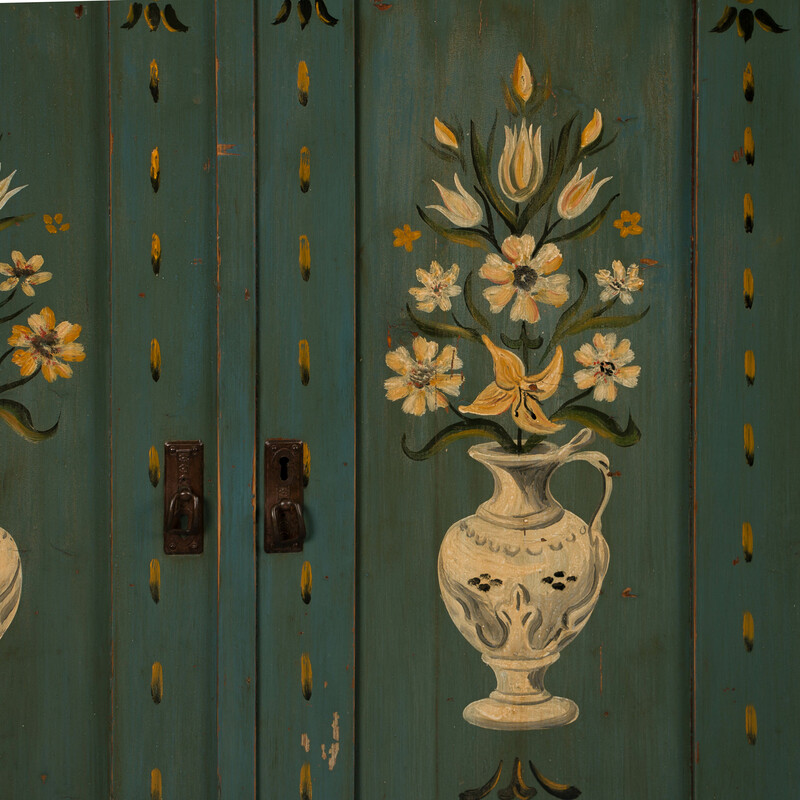 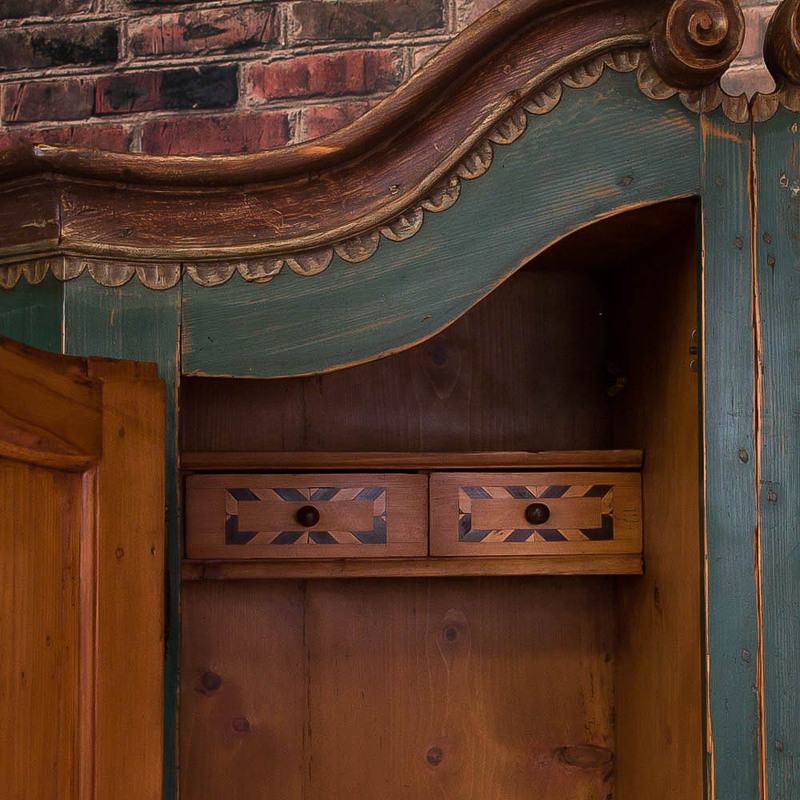 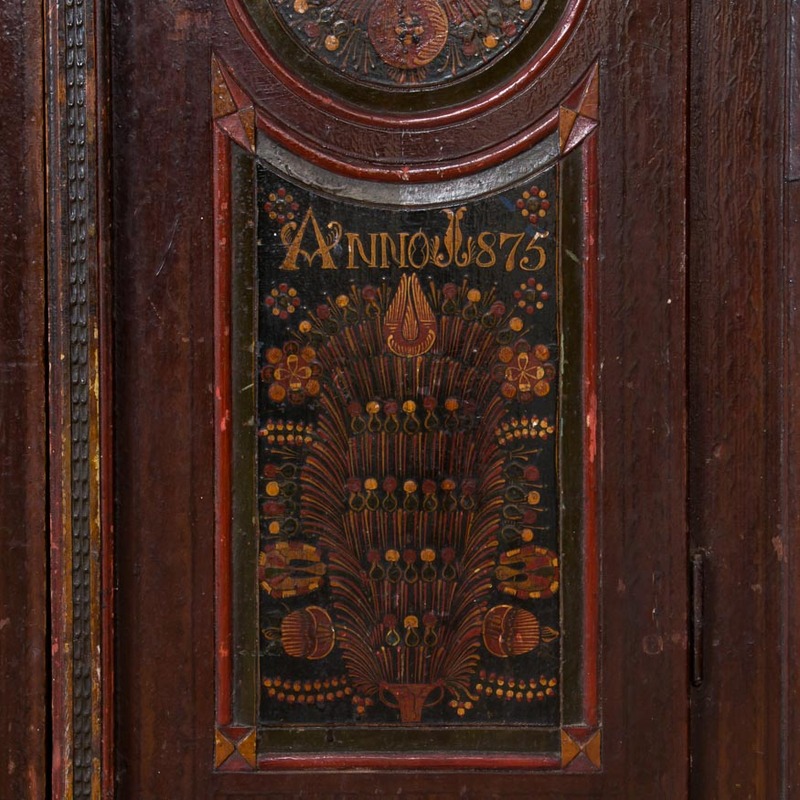 The crown and two upper & lower door panels are covered in traditional folk art floral patterns of the region.